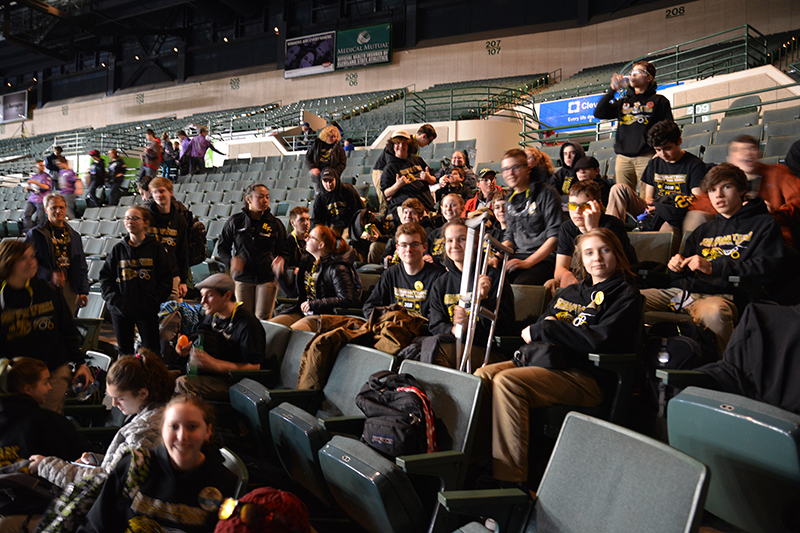 We had a great time at our first competition. 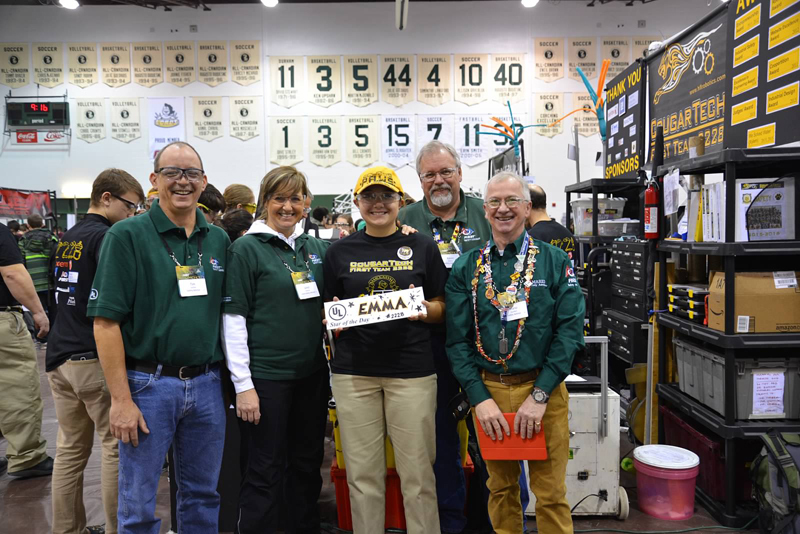 We made it to the playoffs, won an award for Innovation in Control, and we had a FIRST Dean's List Finalist Award winner, Ellie Fairchild! 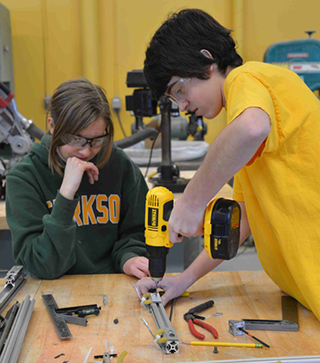 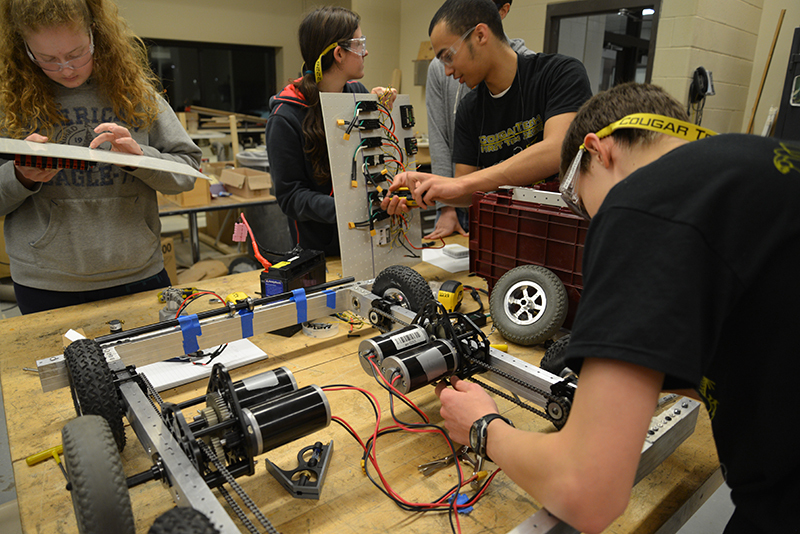 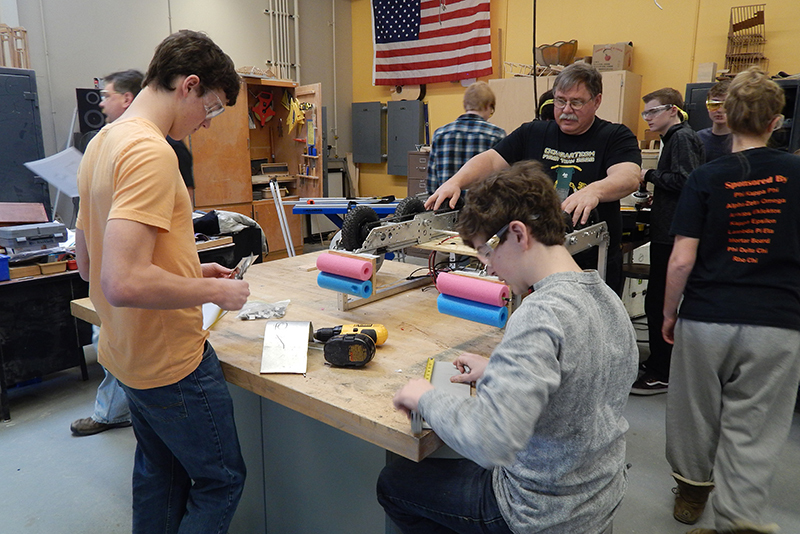 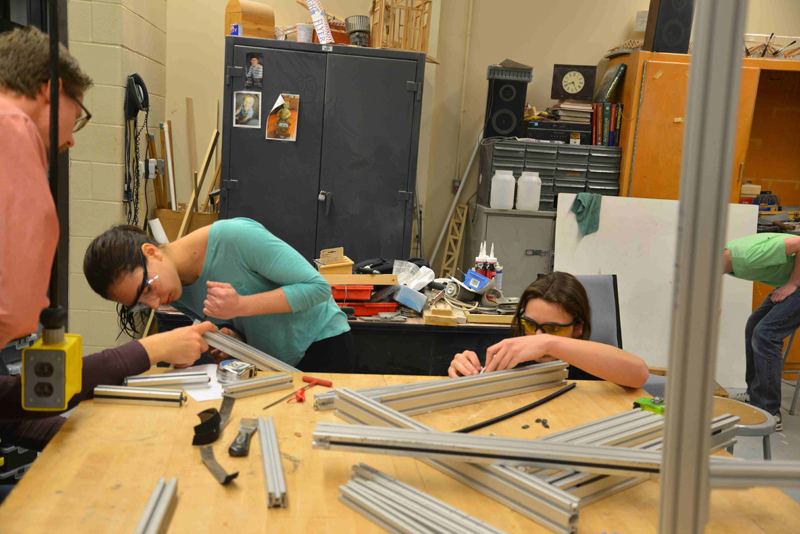 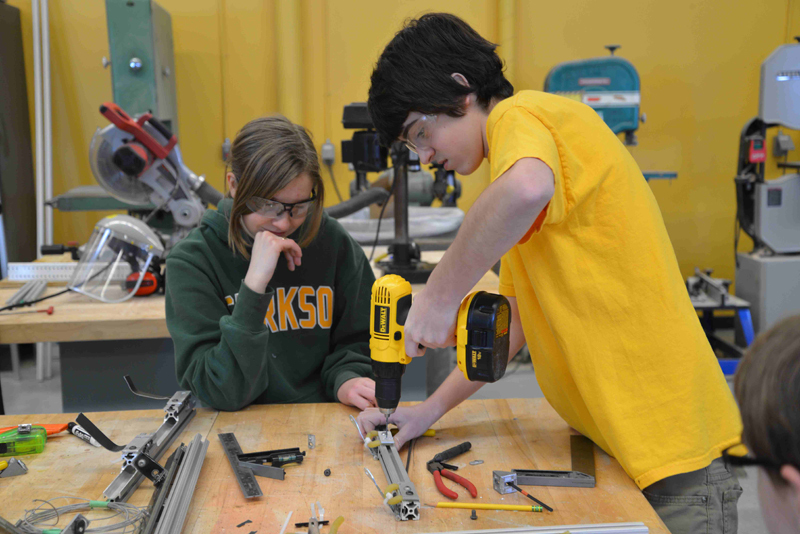 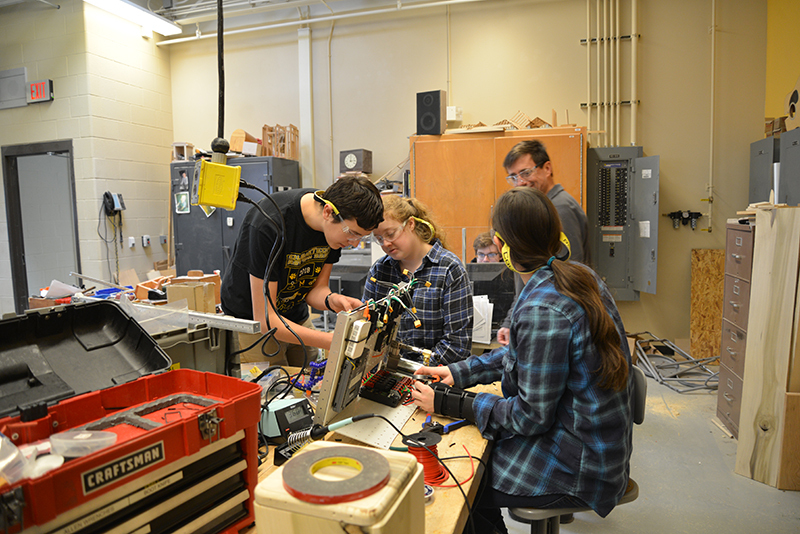 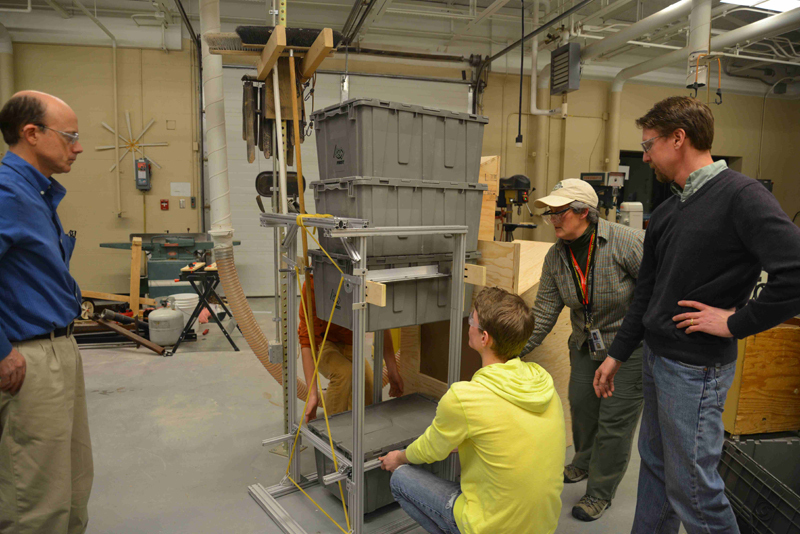 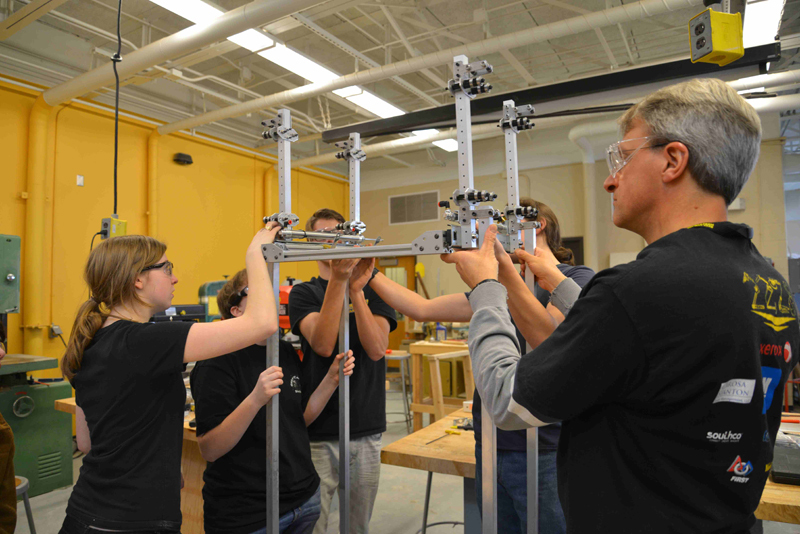 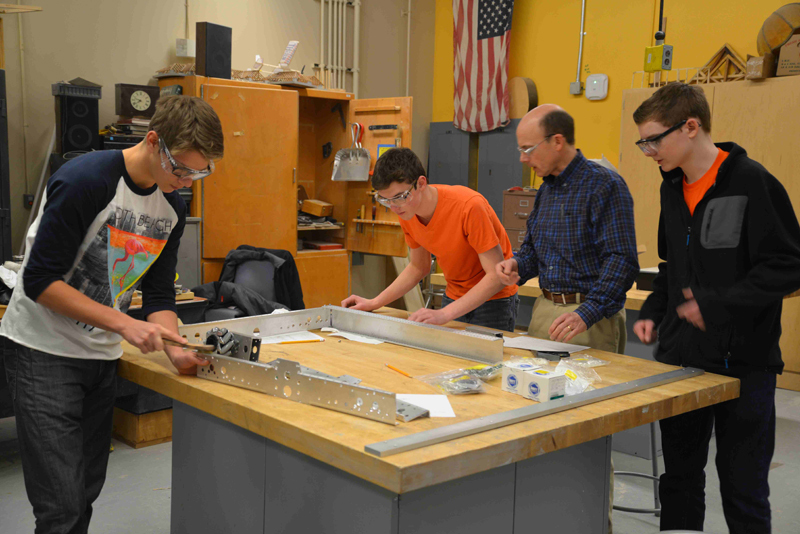 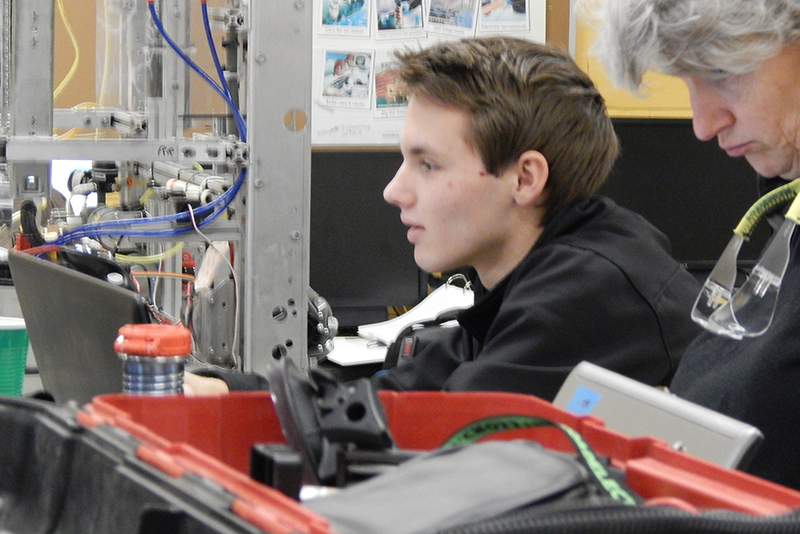 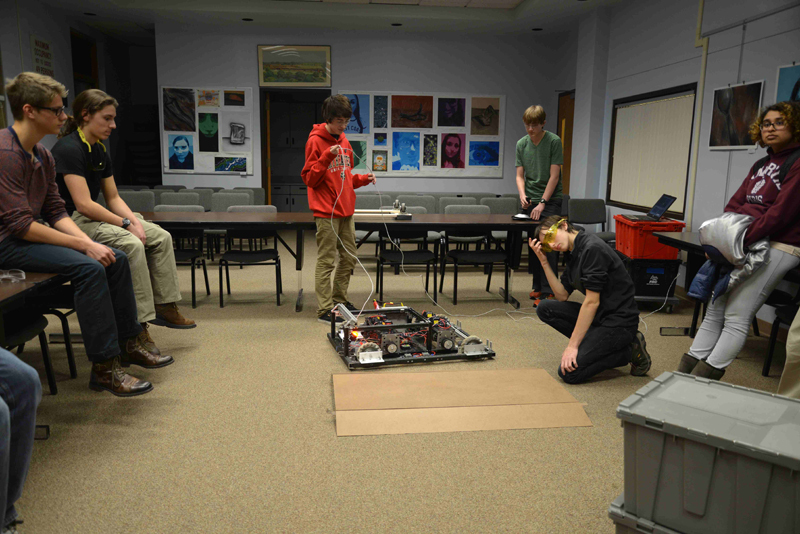 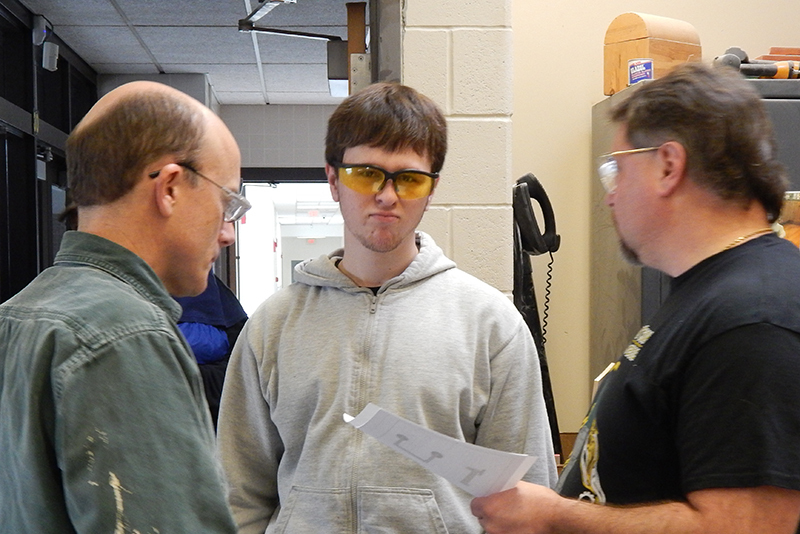 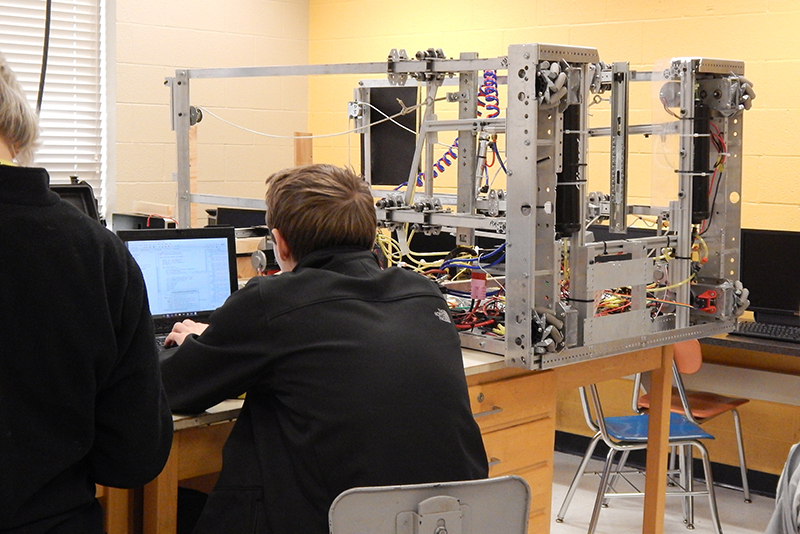 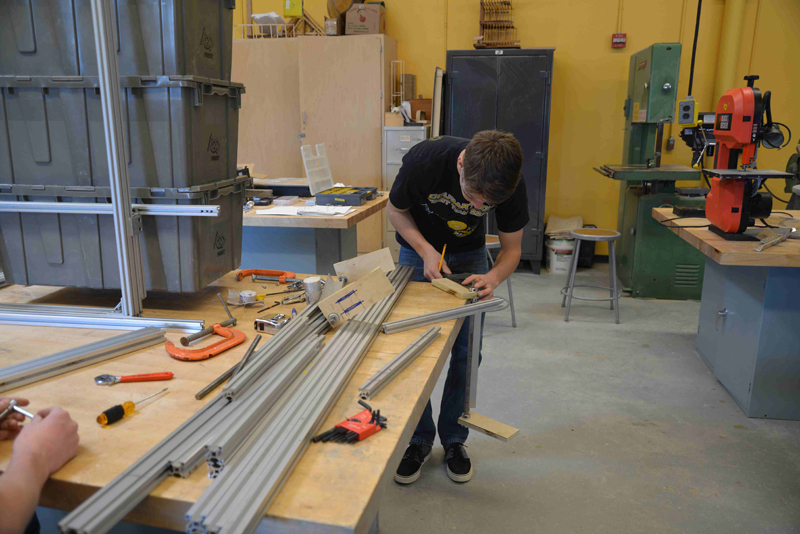 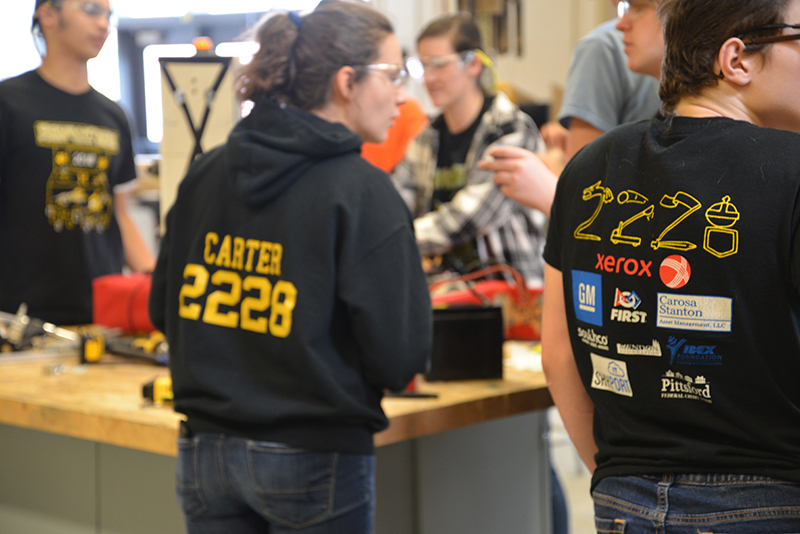 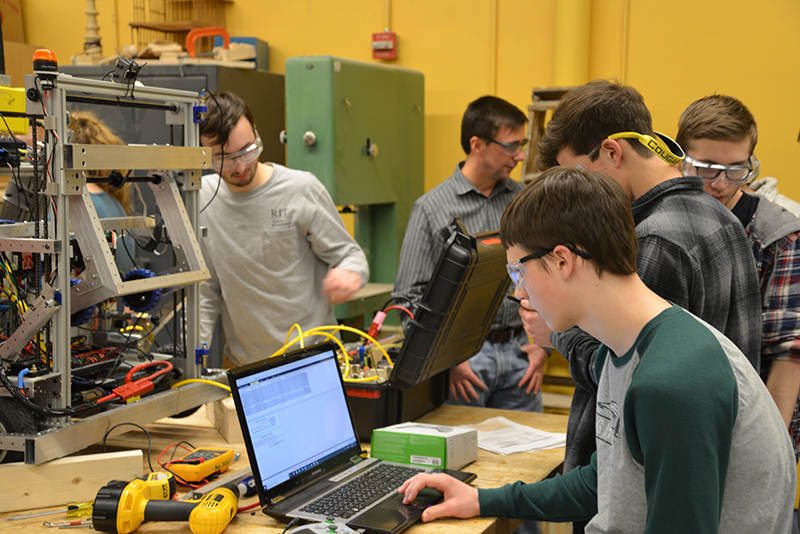 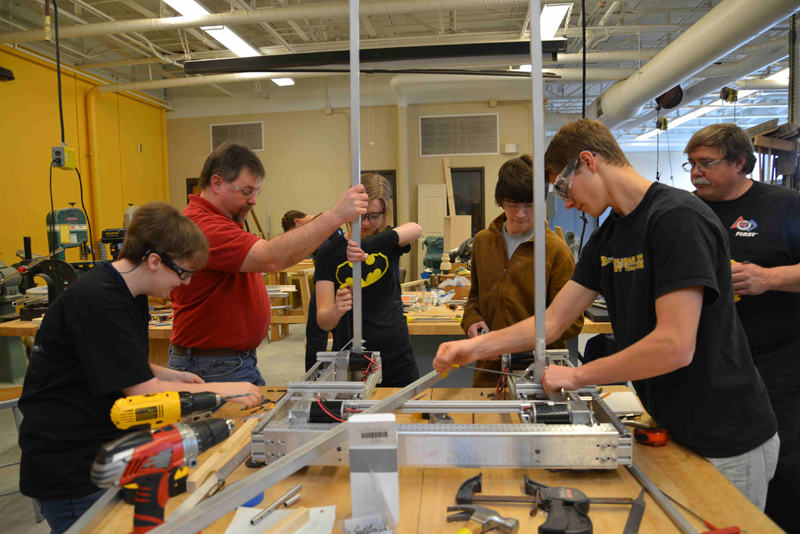 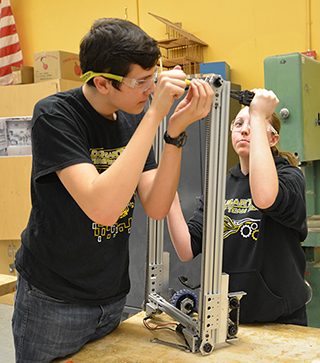 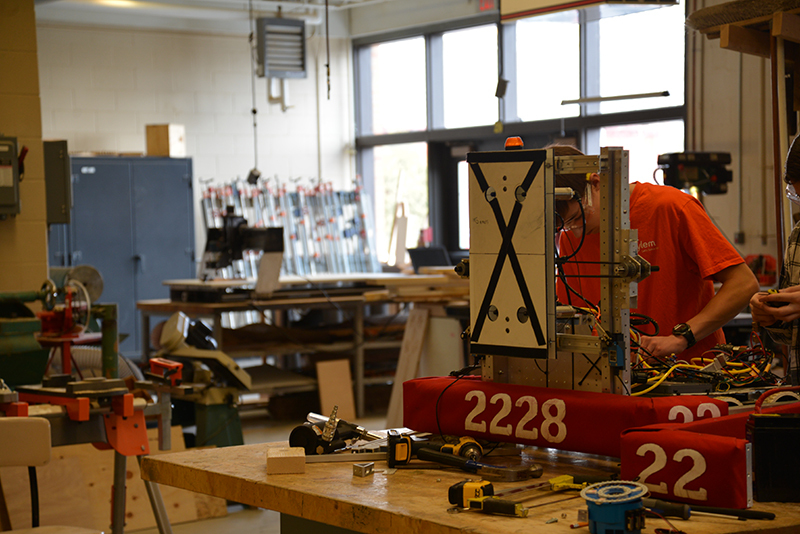 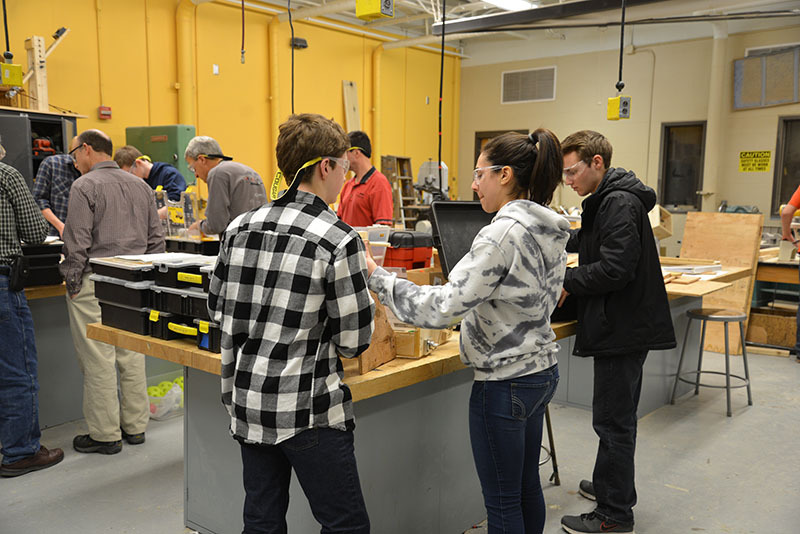 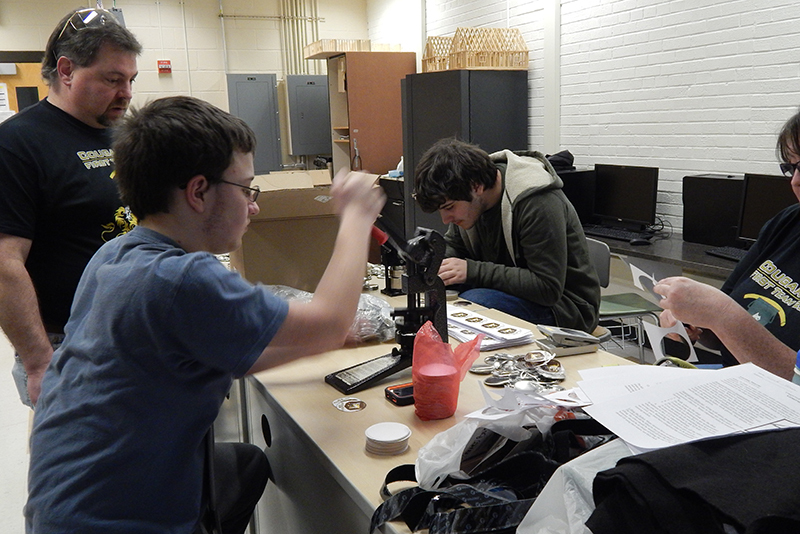 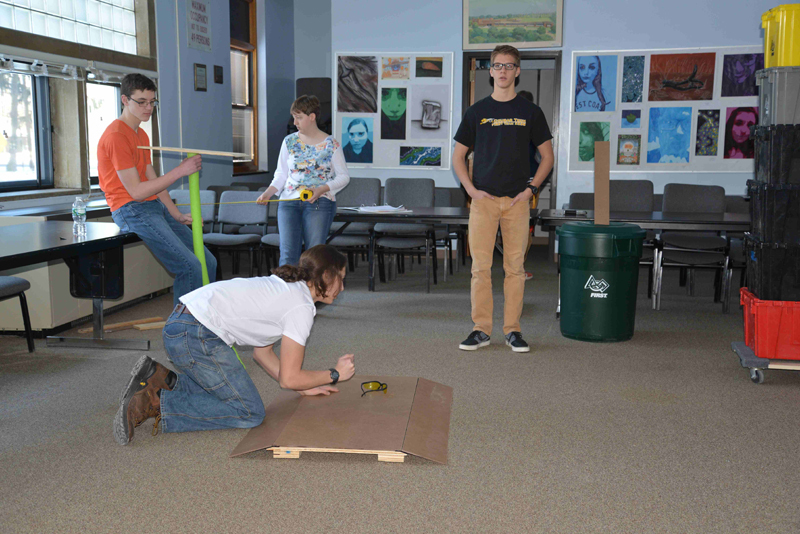 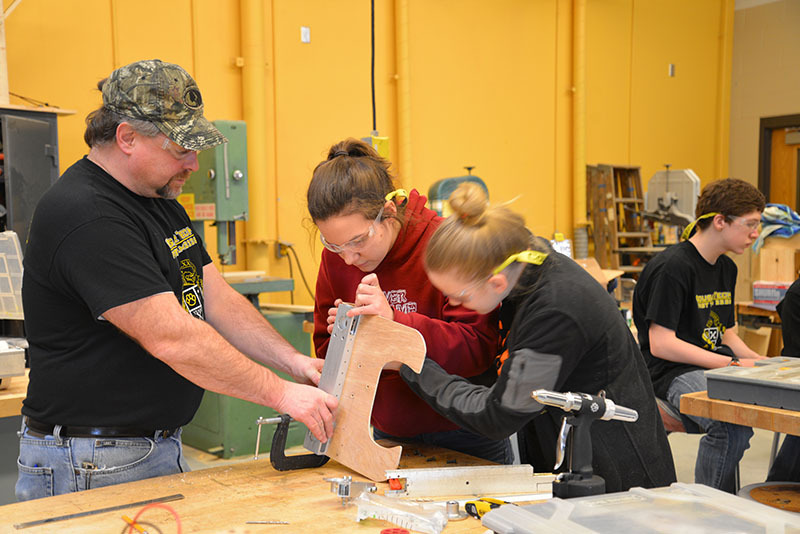 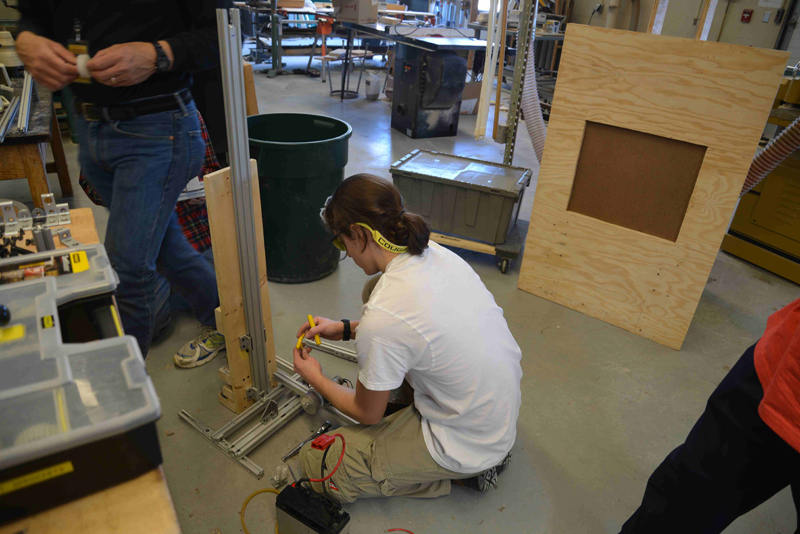 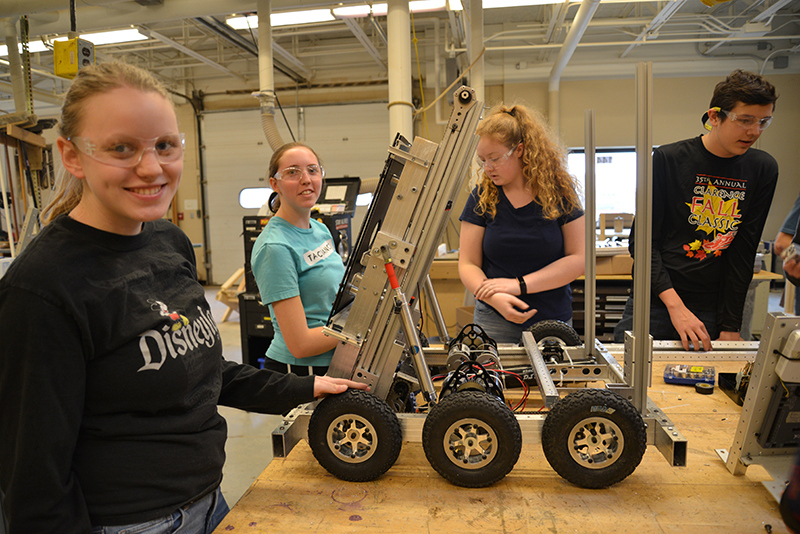 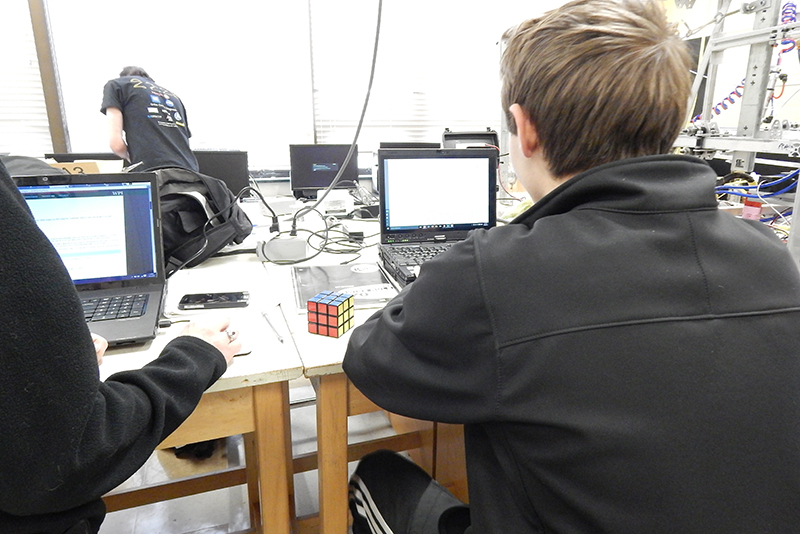 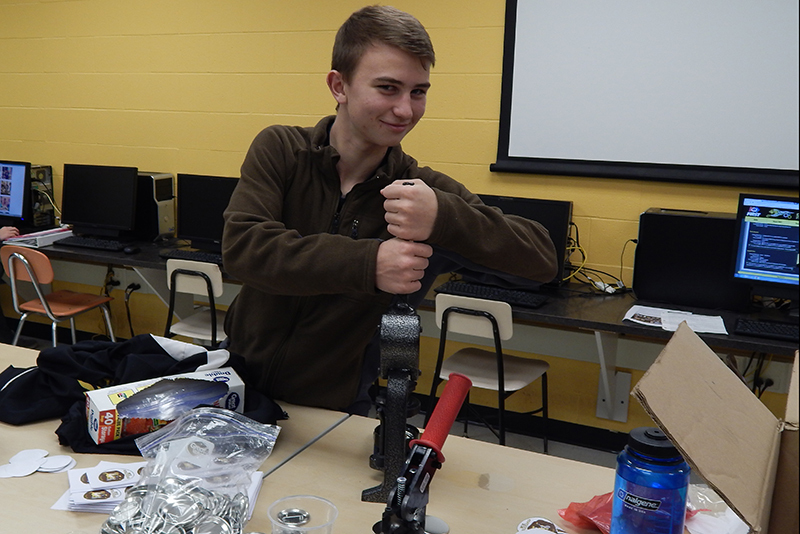 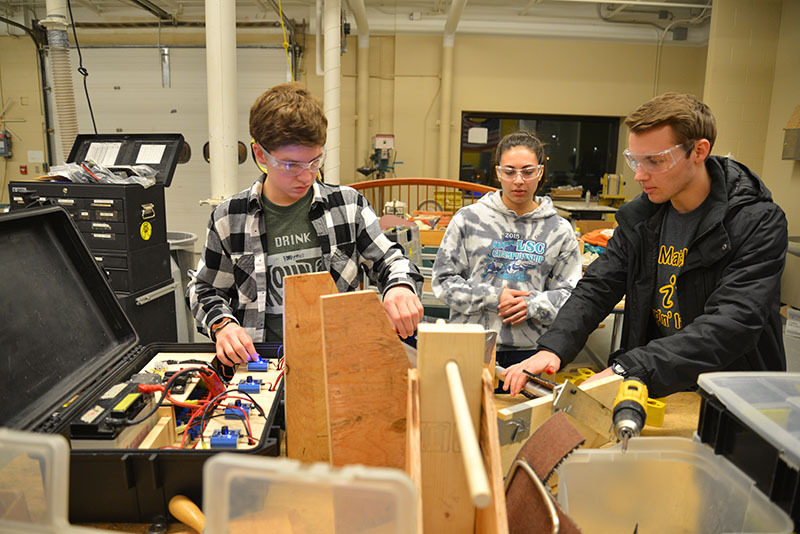 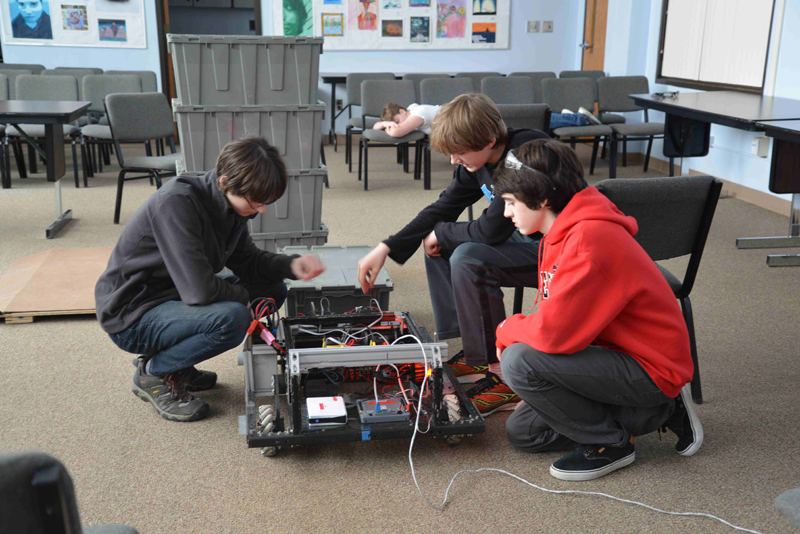 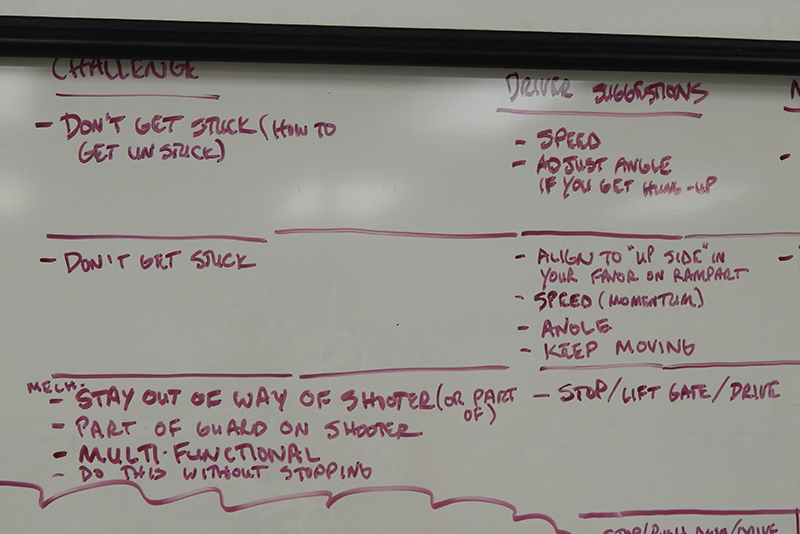 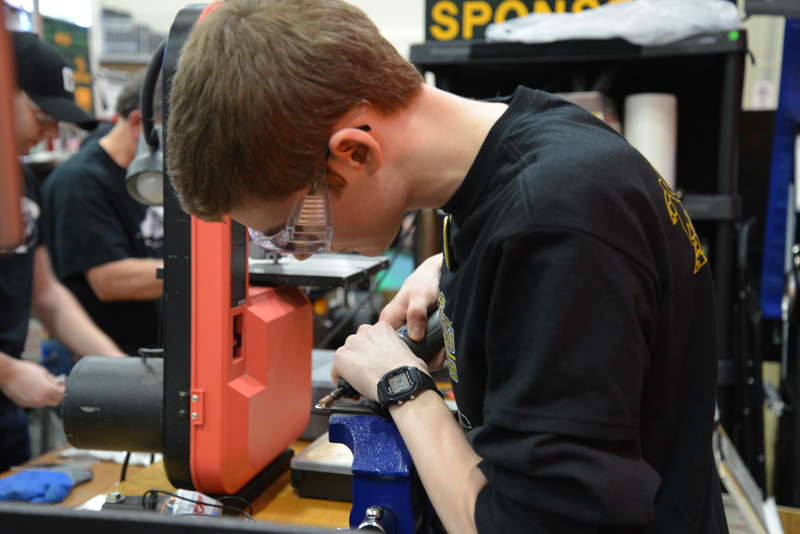 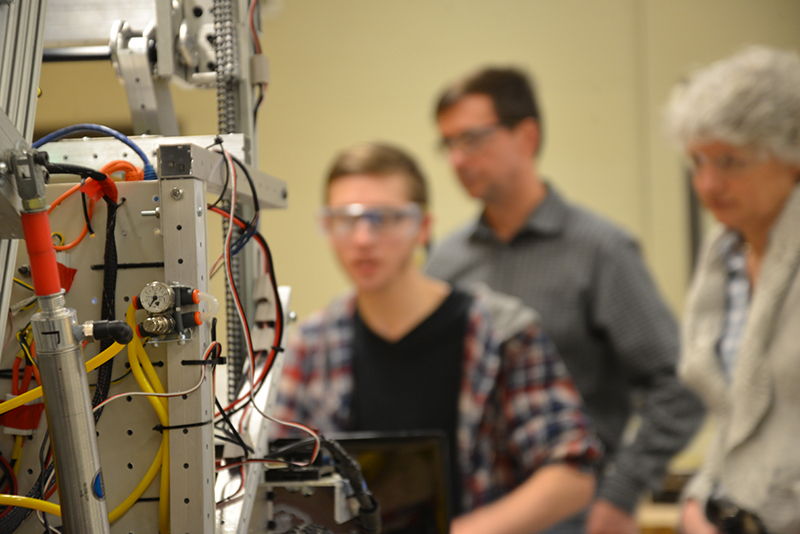 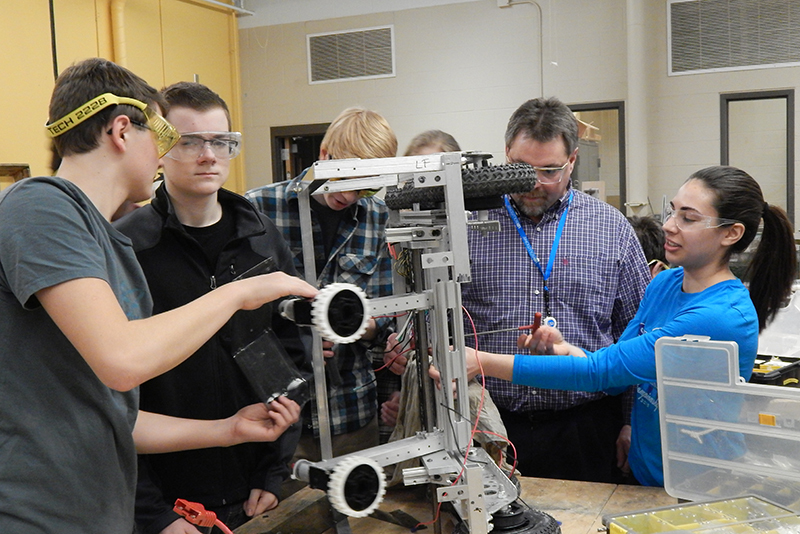 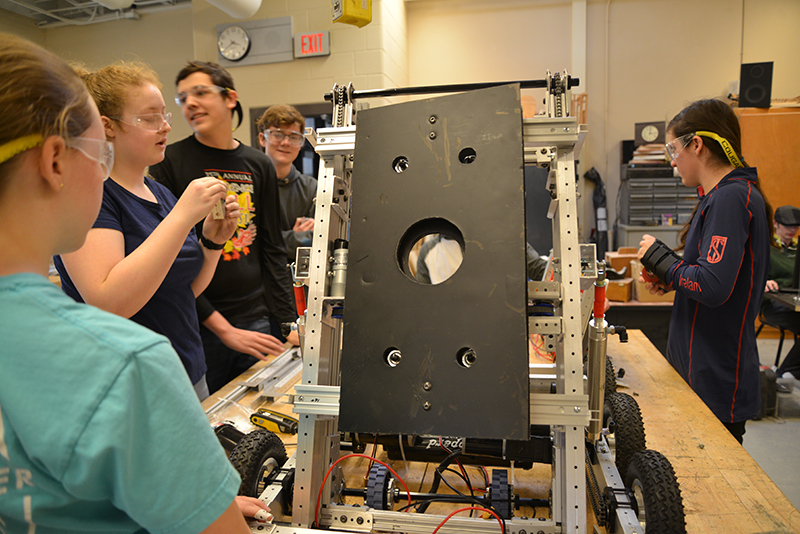 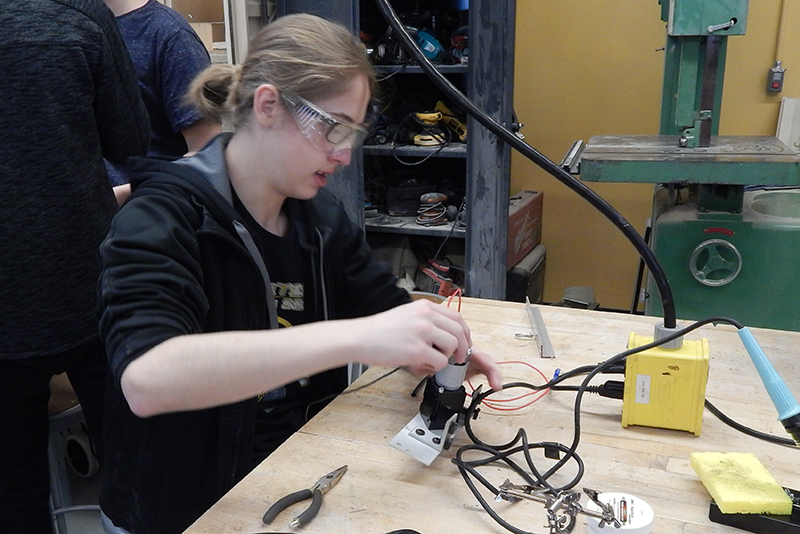 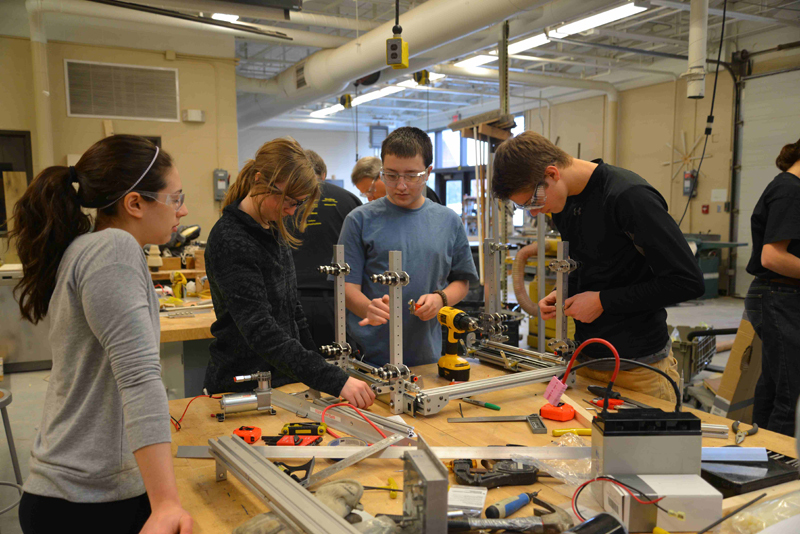 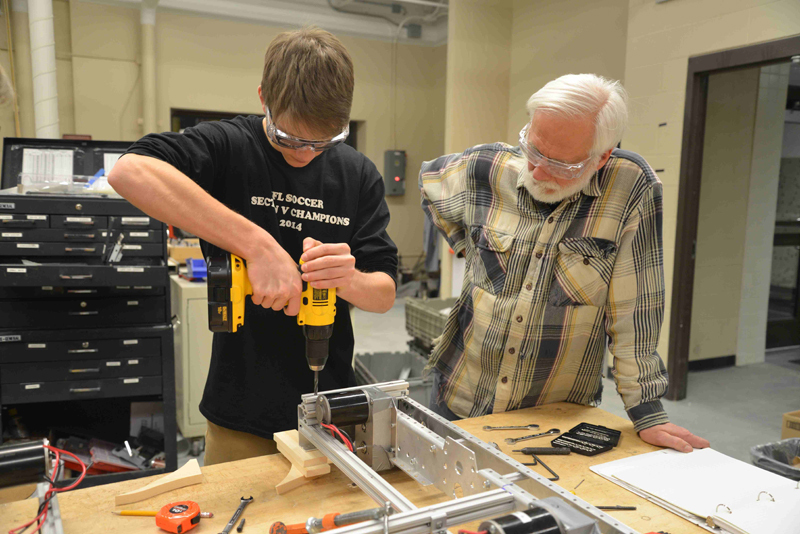 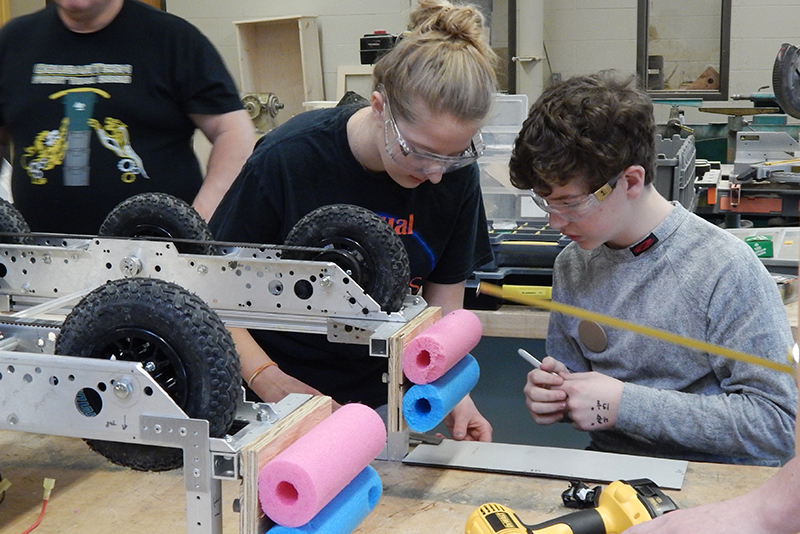 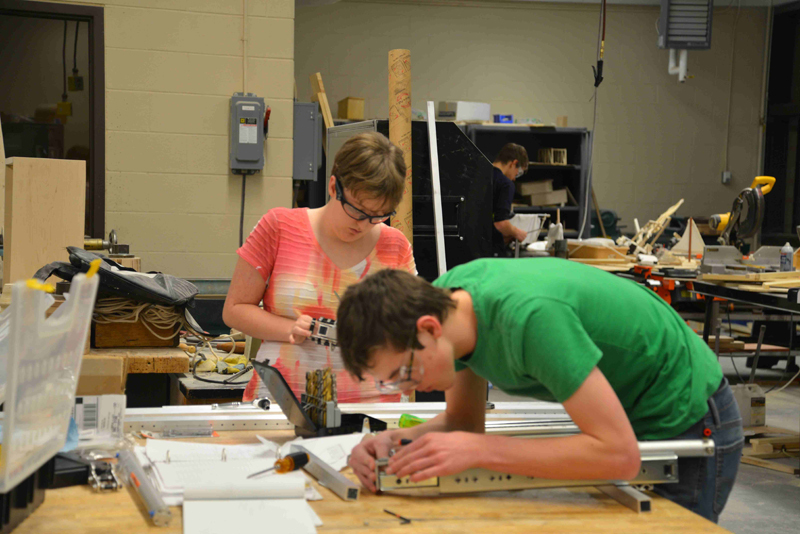 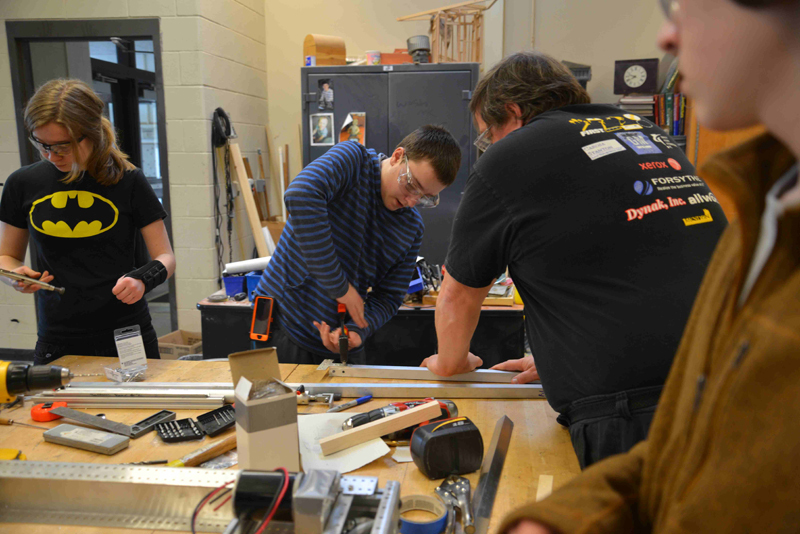 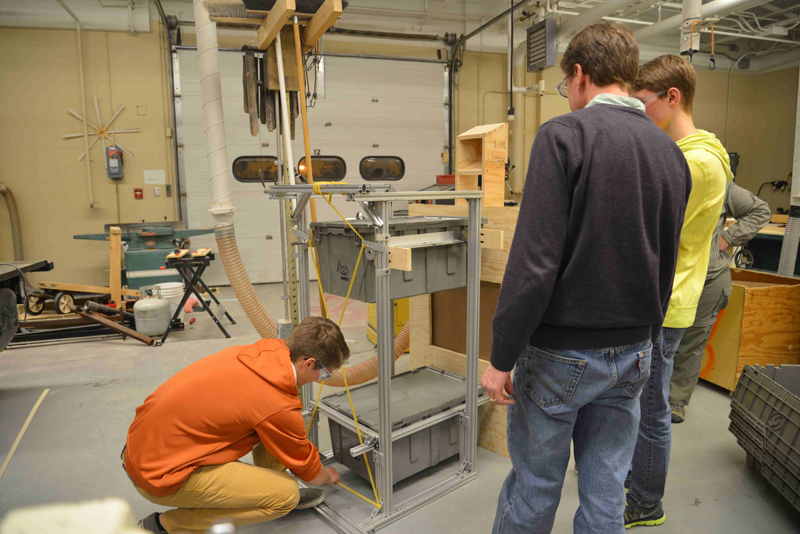 We have been working hard during our six weeks of build season, and our robot is ready for competition! 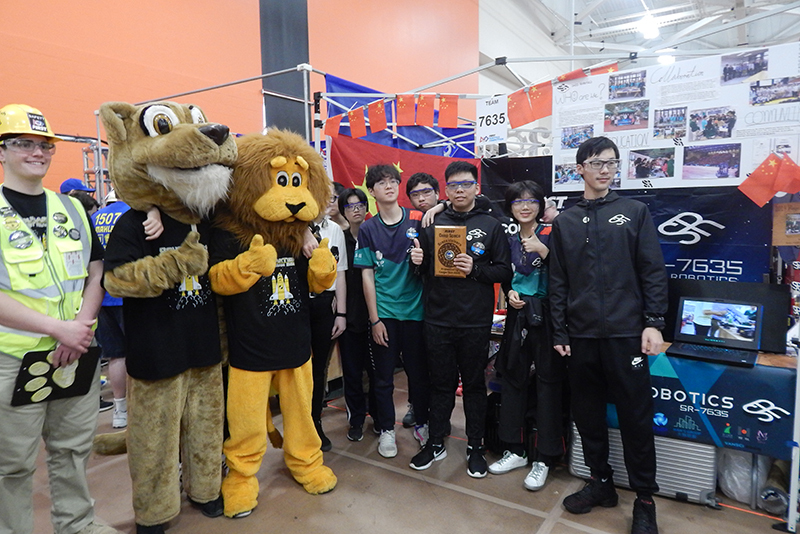 The gloomy weather didn't bring down our spirits as we faught through many tough opponents and technical difficulites, where we got the wildcard to go to Worlds! 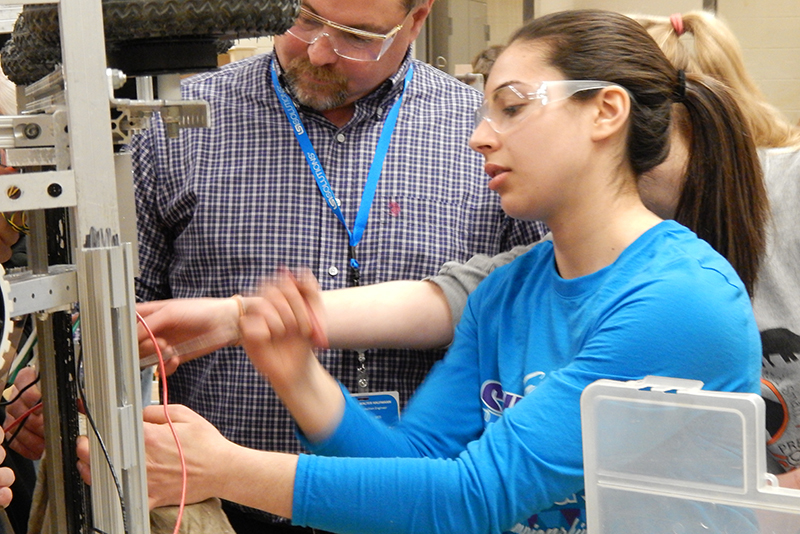 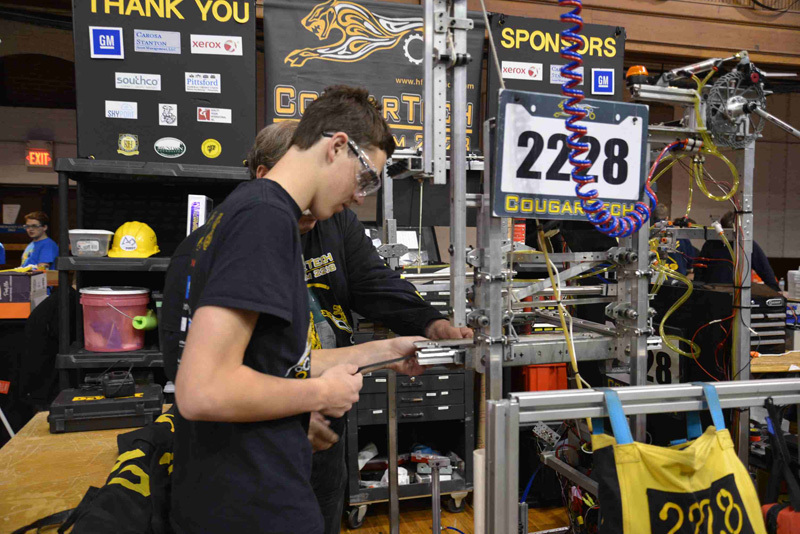 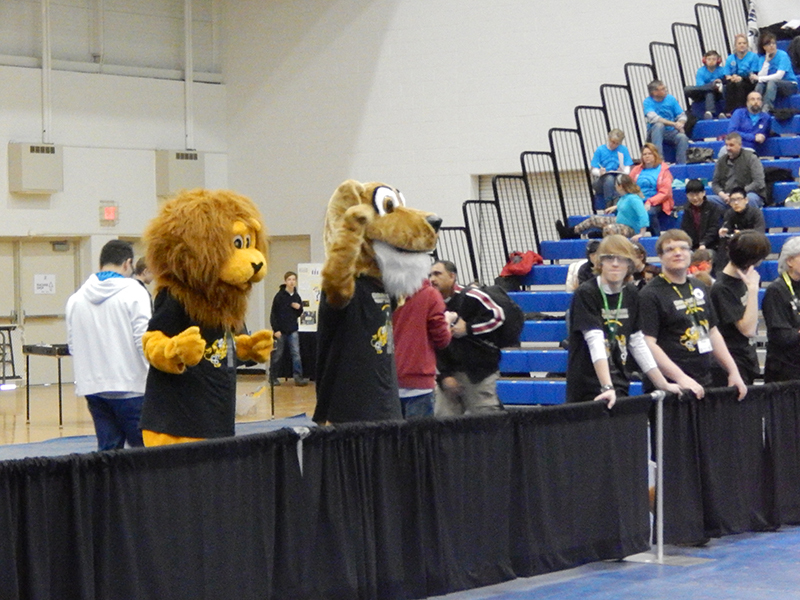 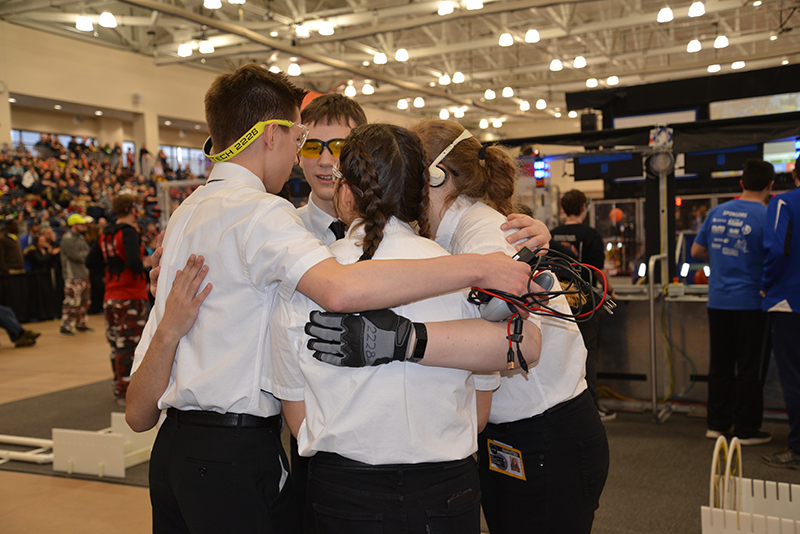 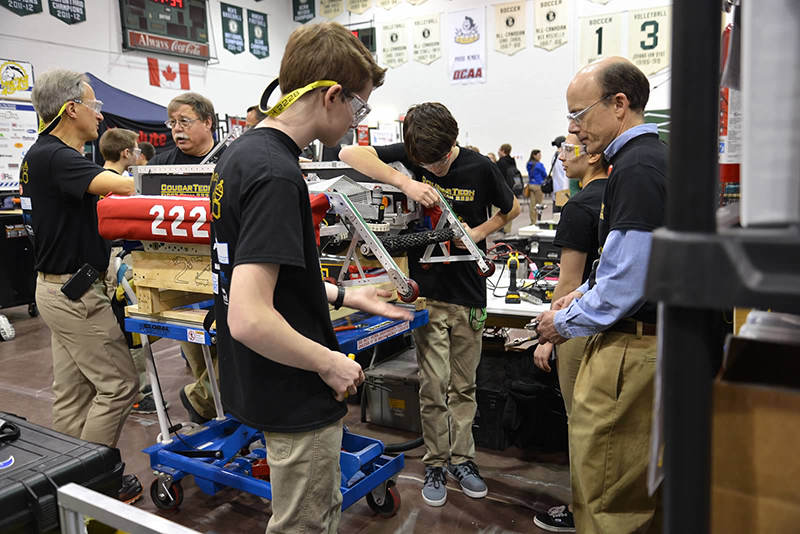 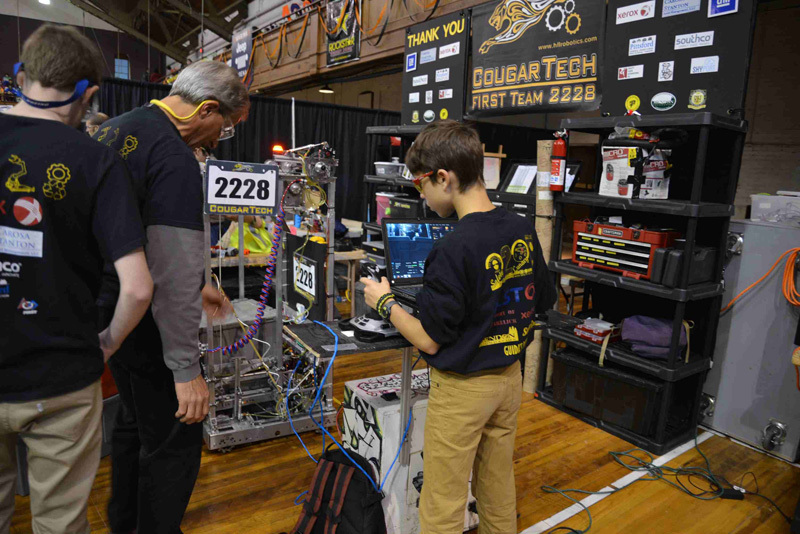 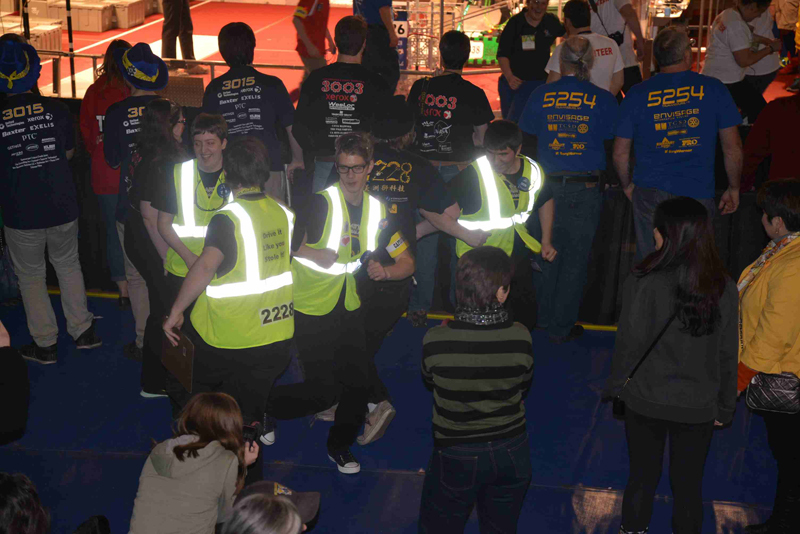 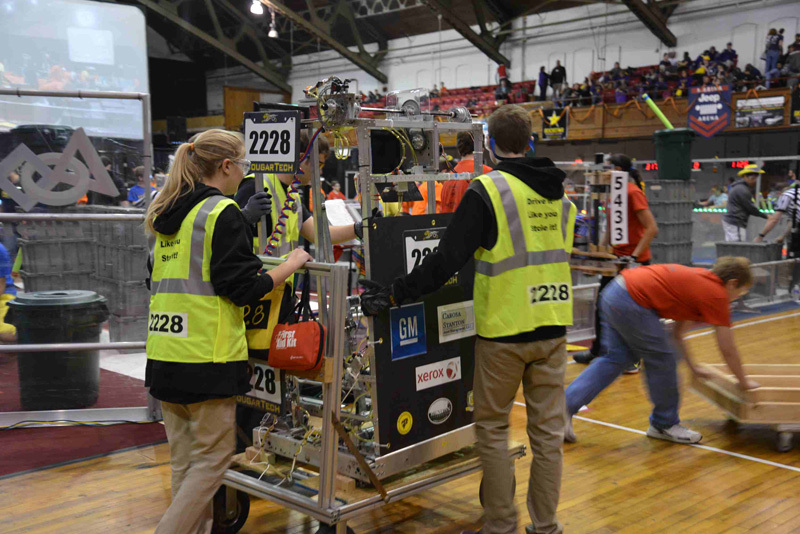 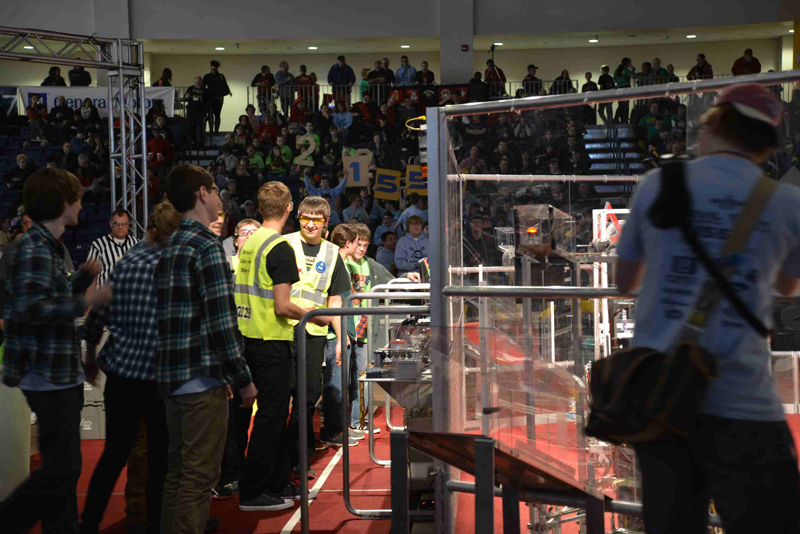 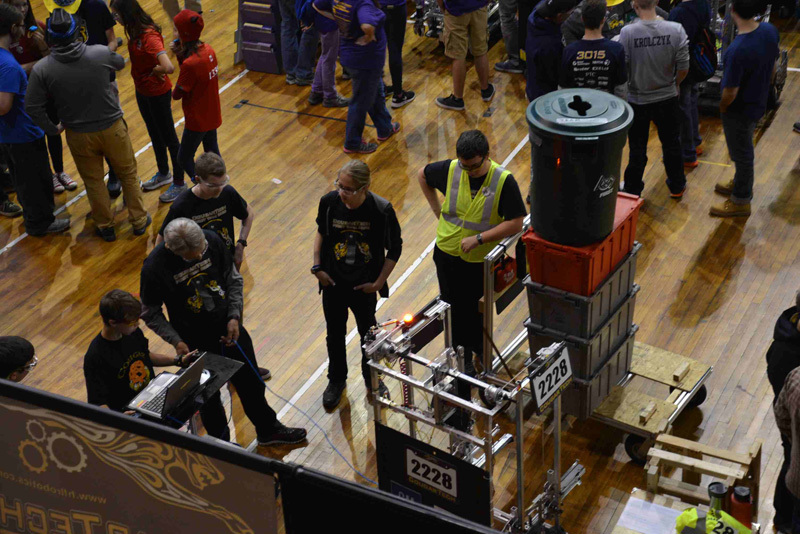 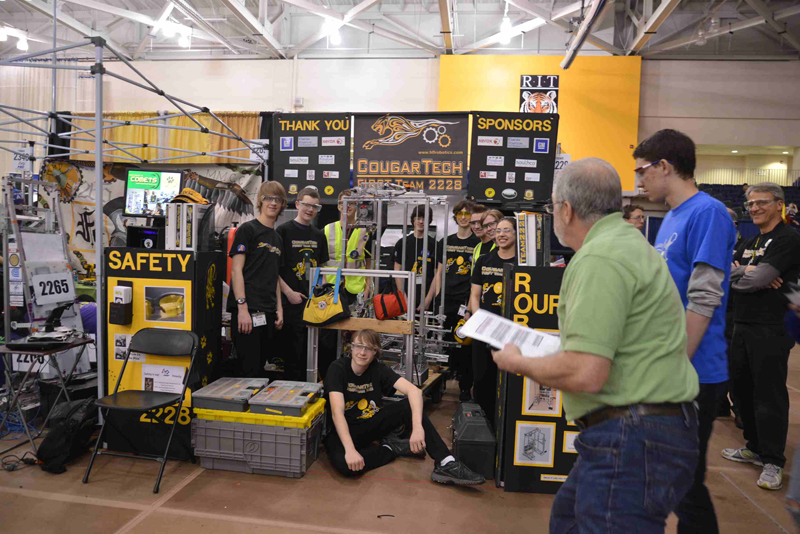 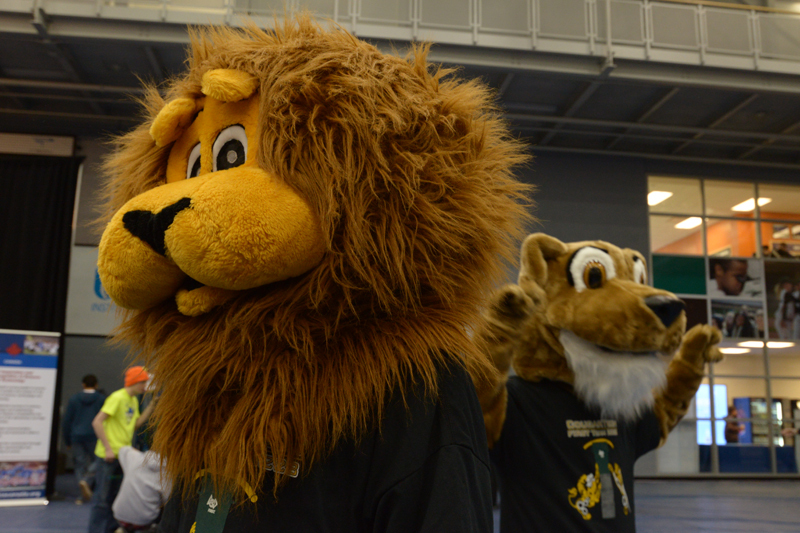 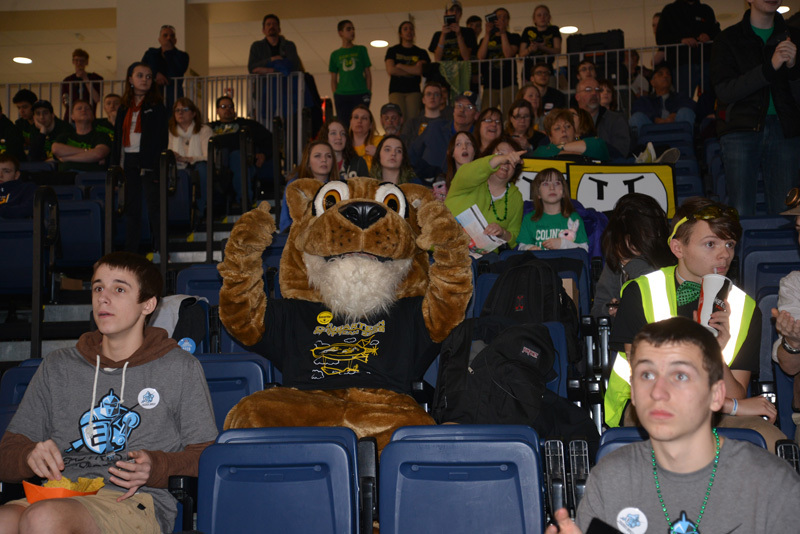 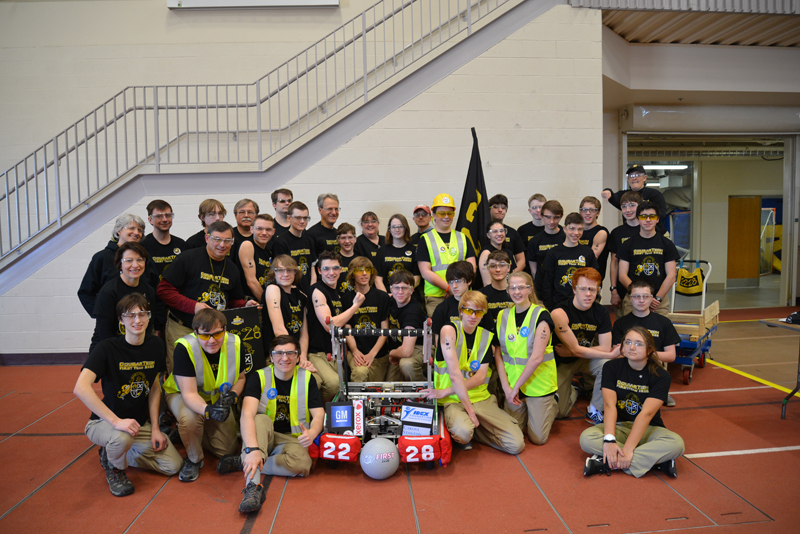 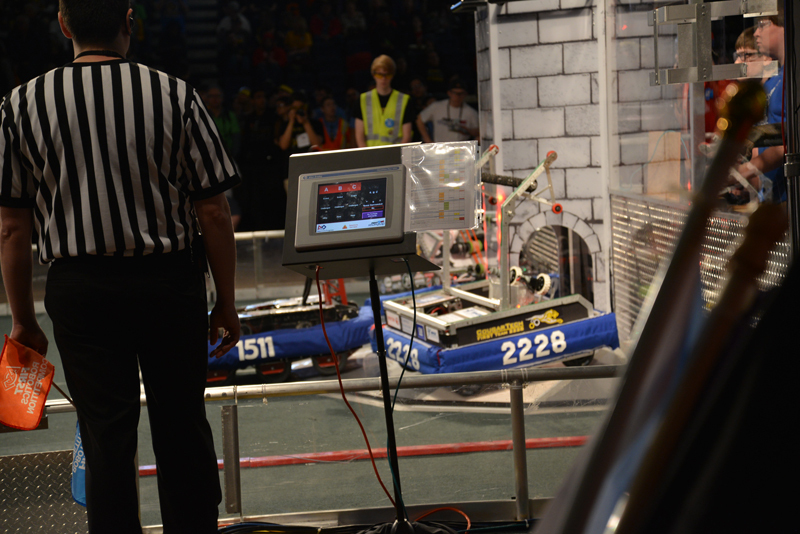 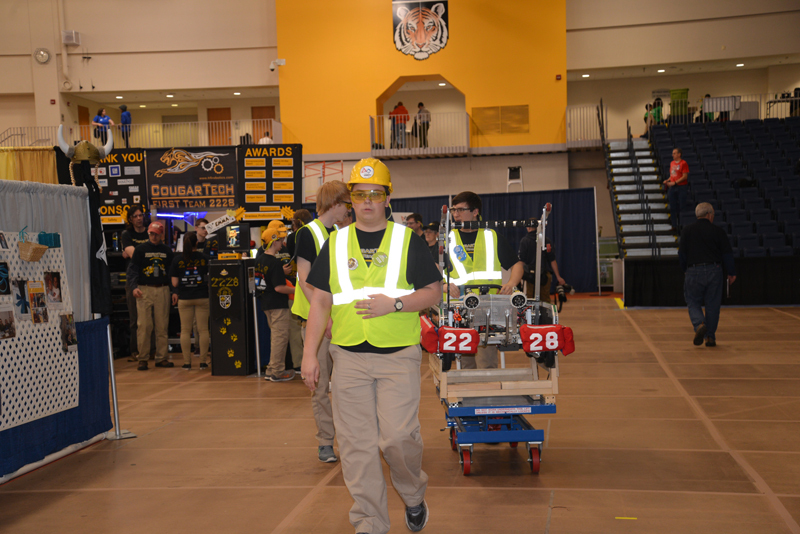 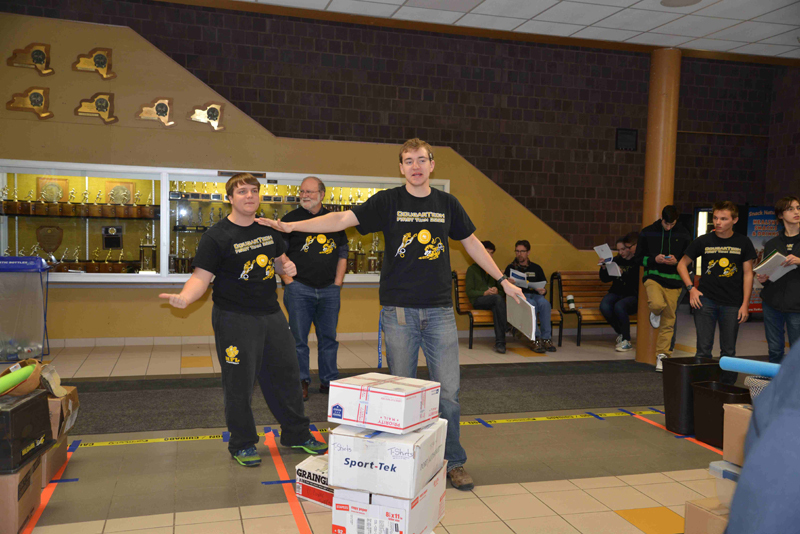 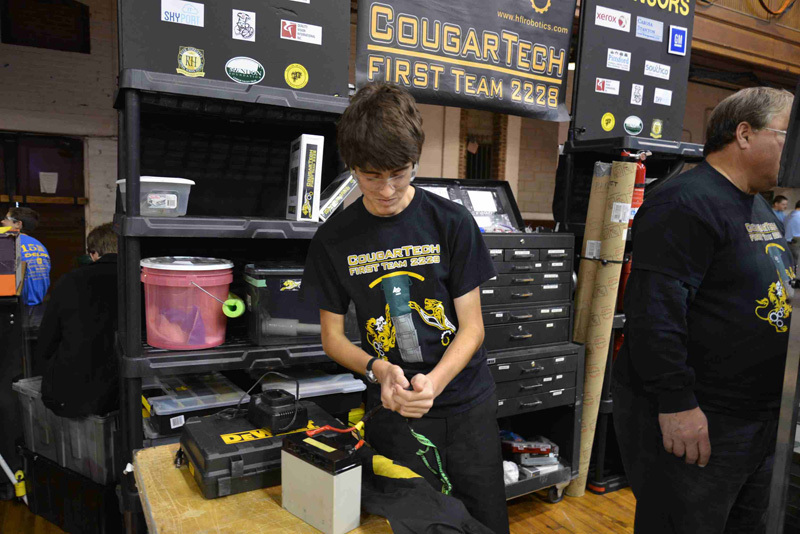 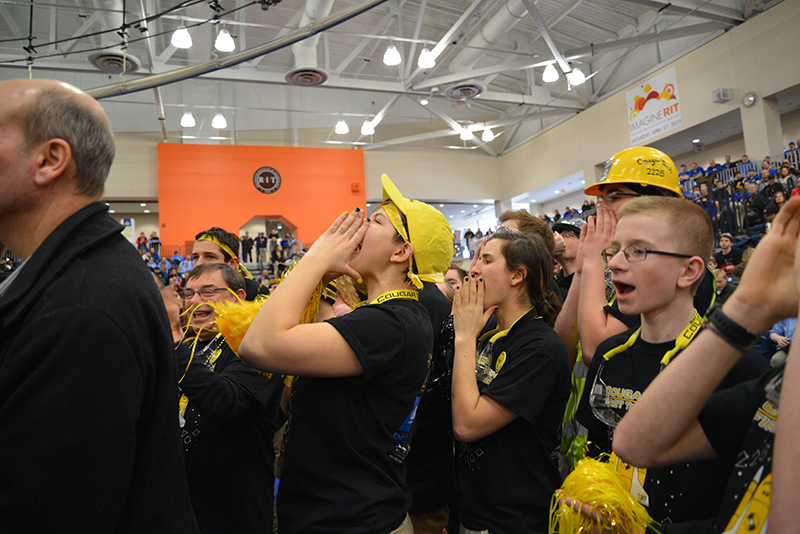 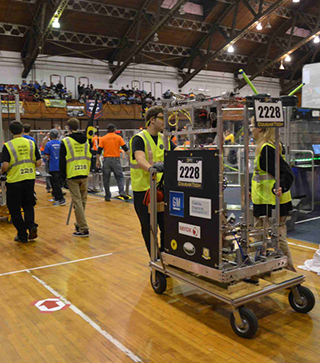 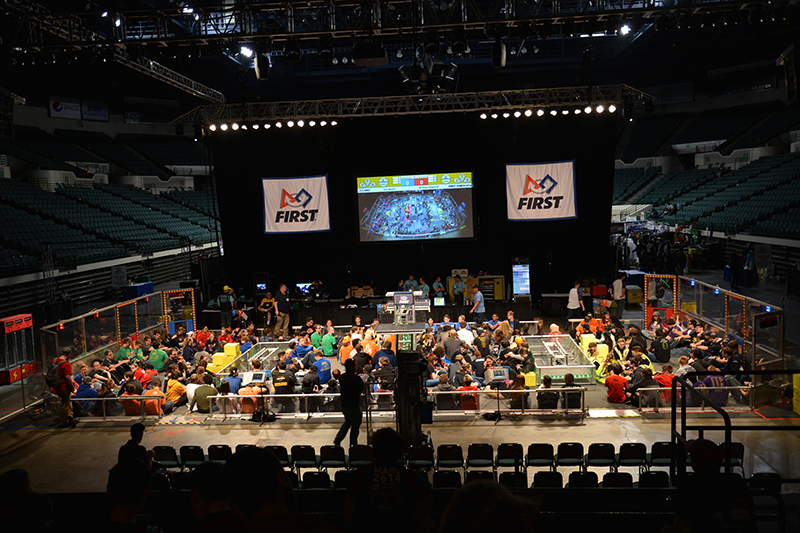 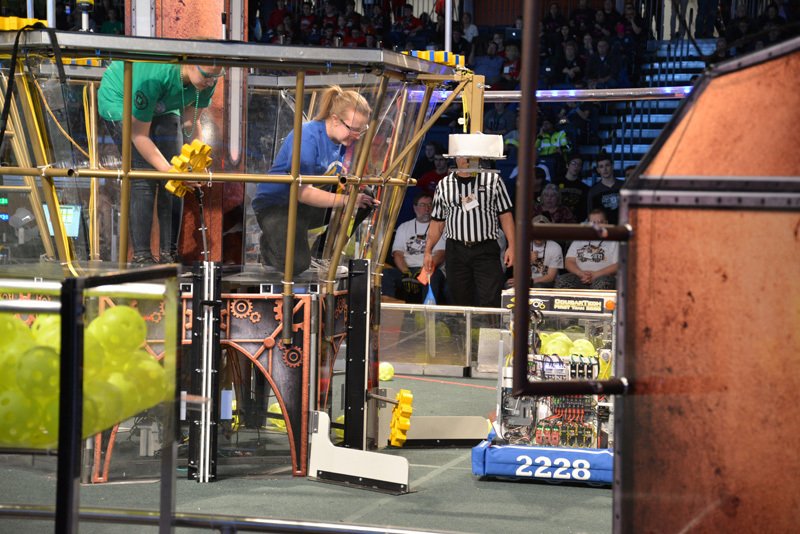 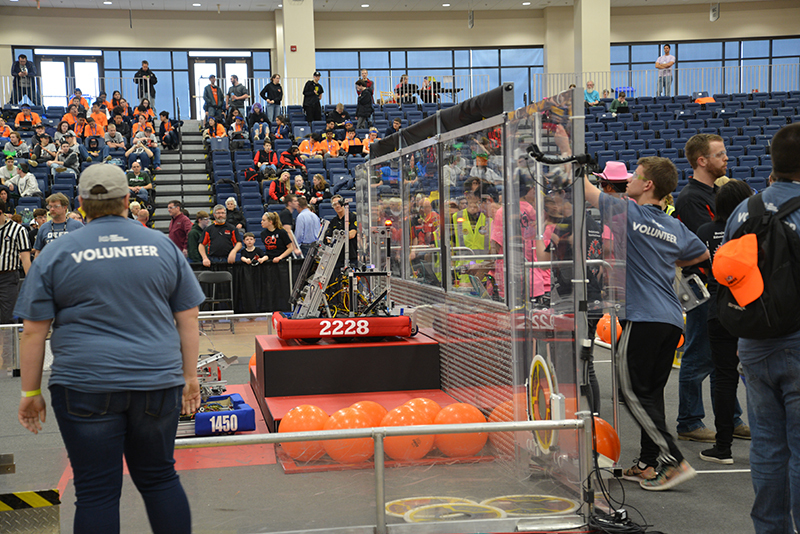 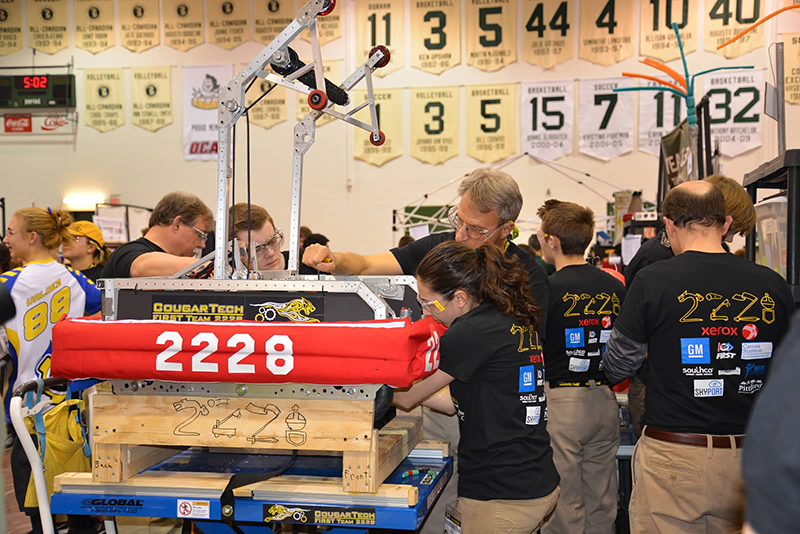 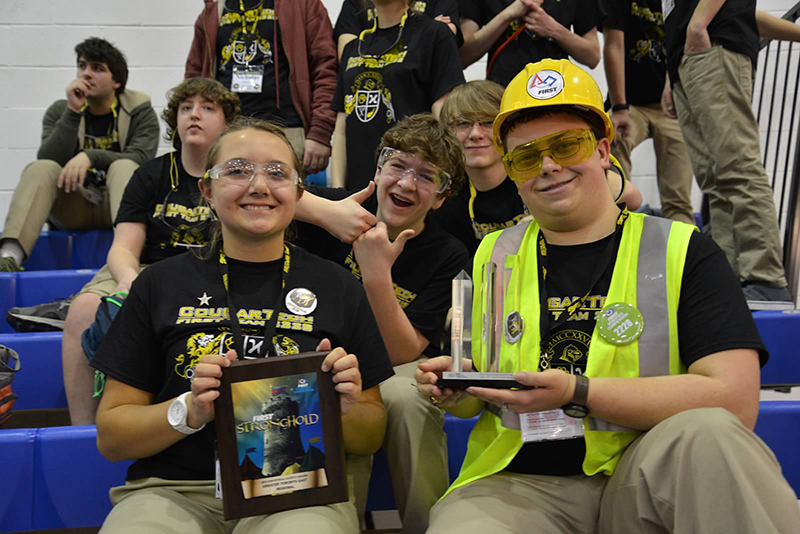 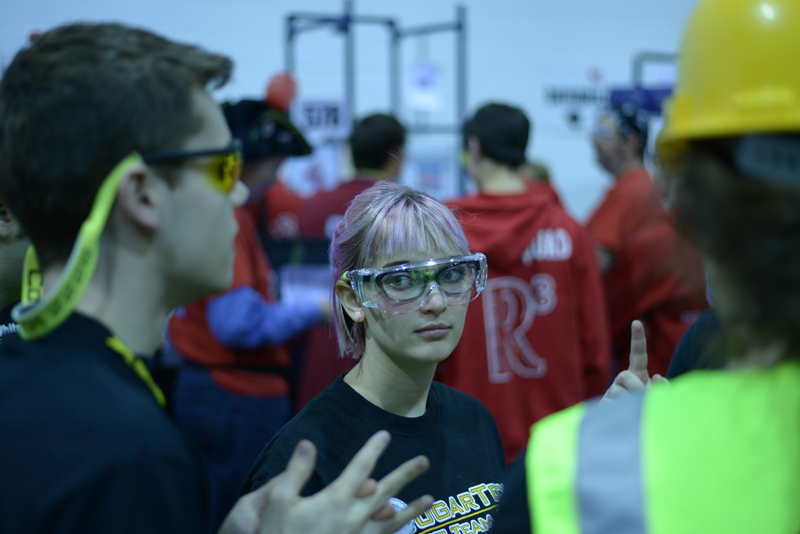 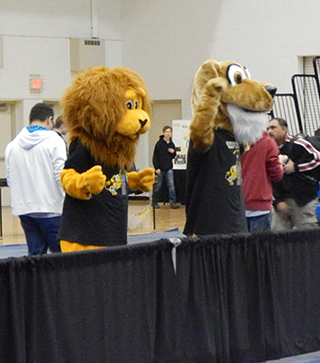 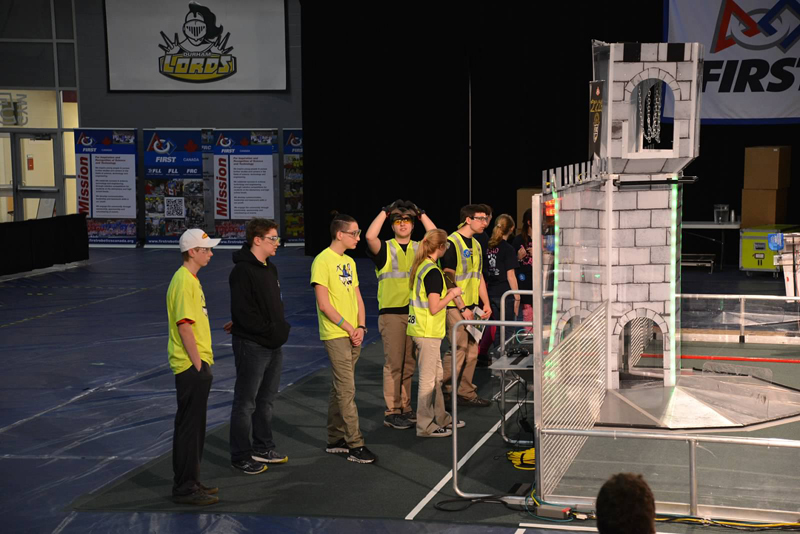 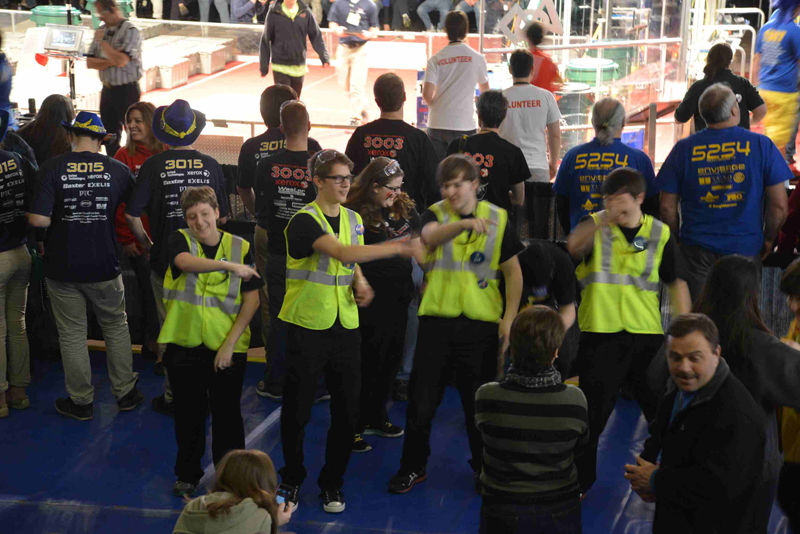 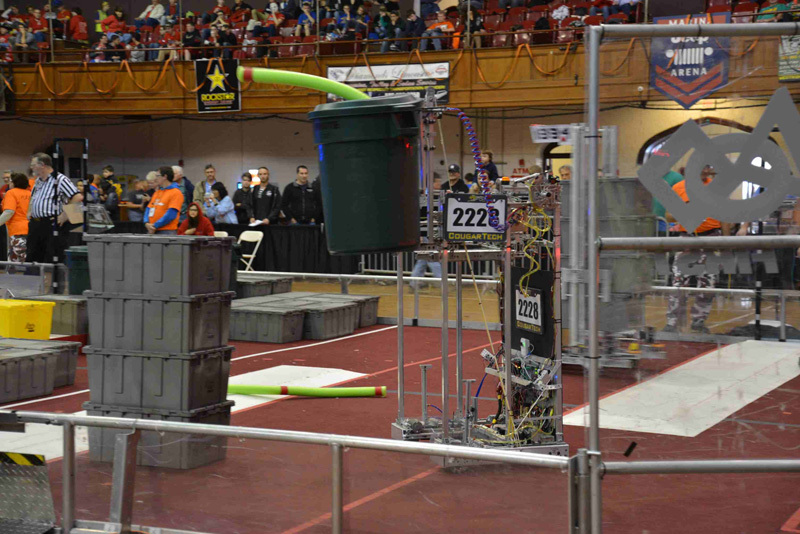 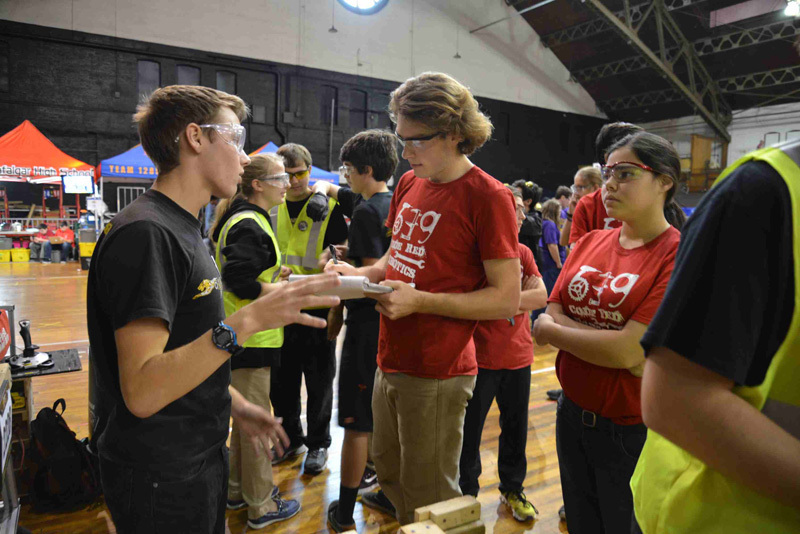 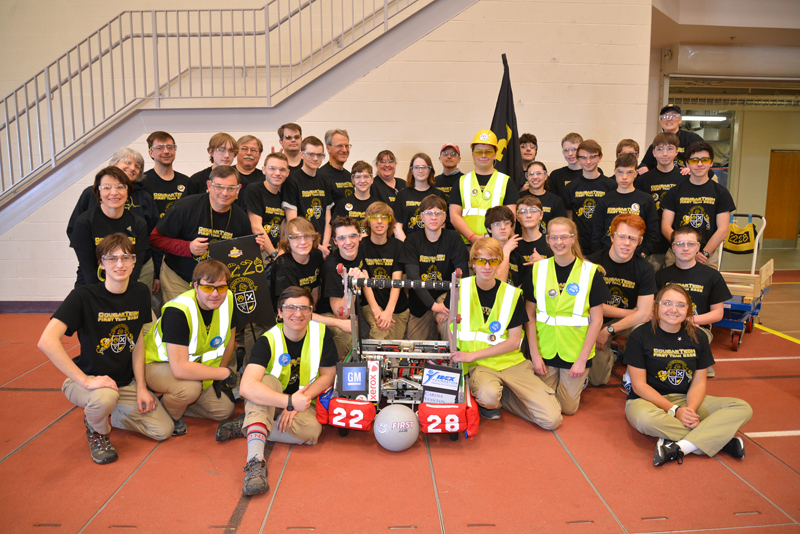 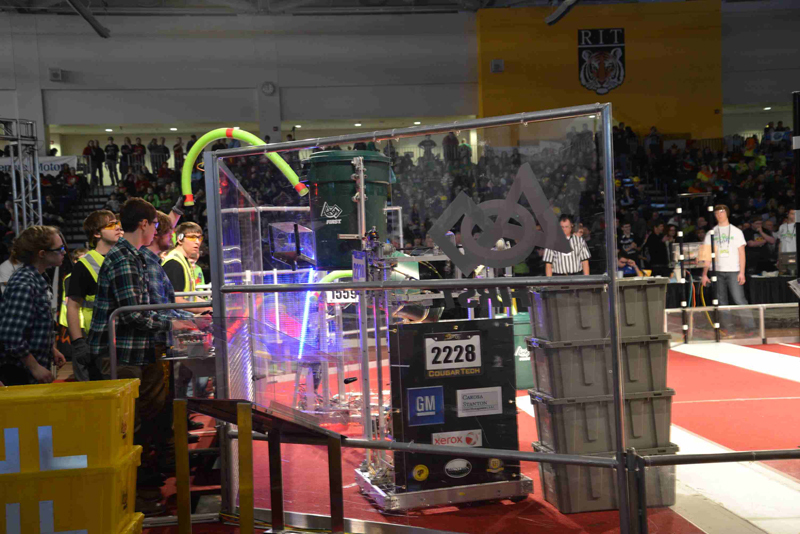 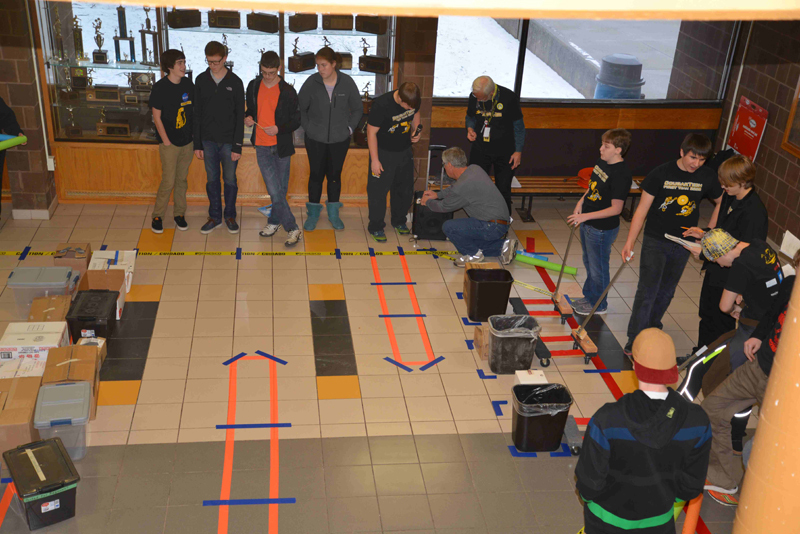 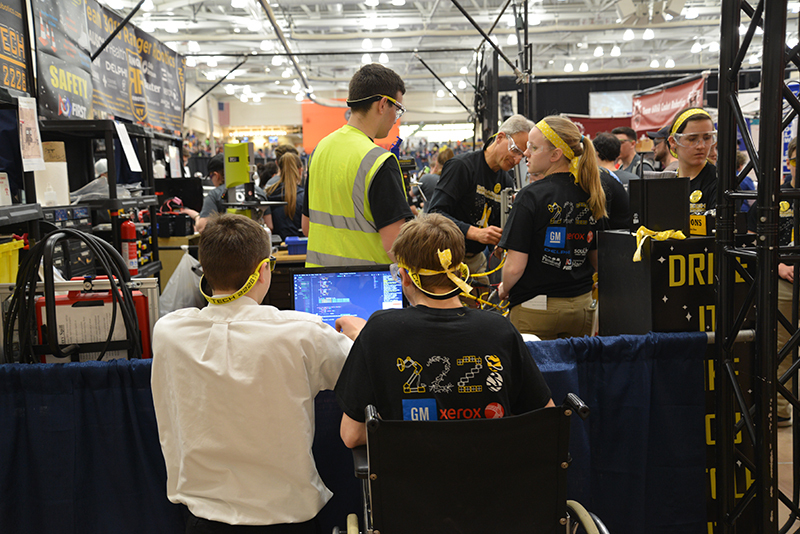 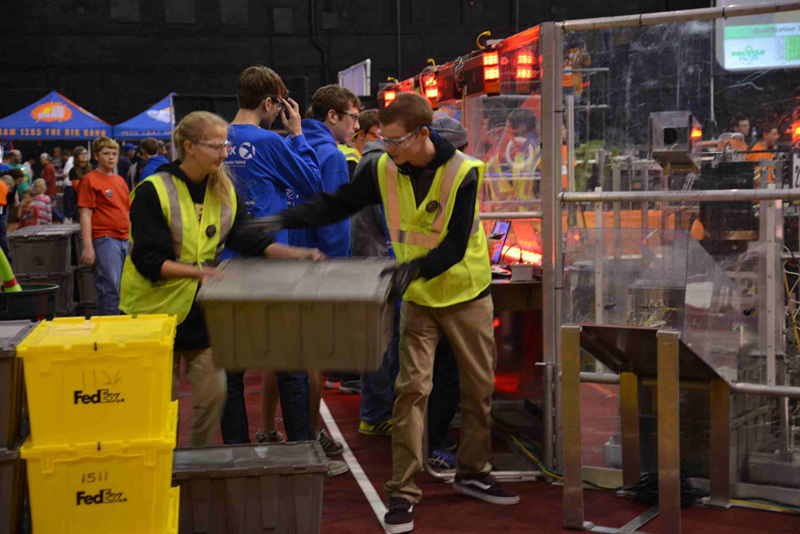 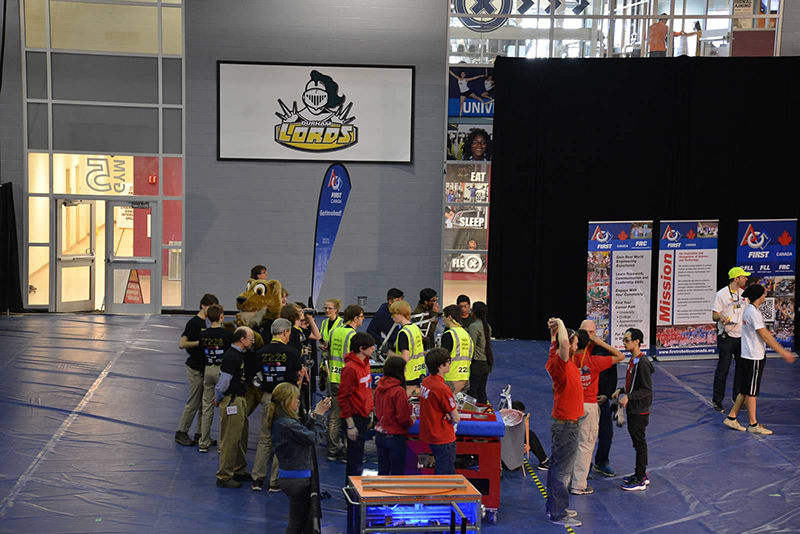 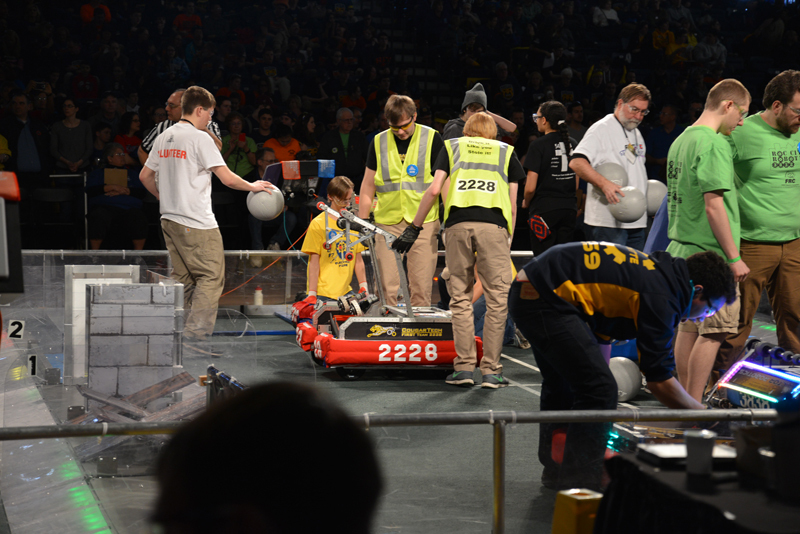 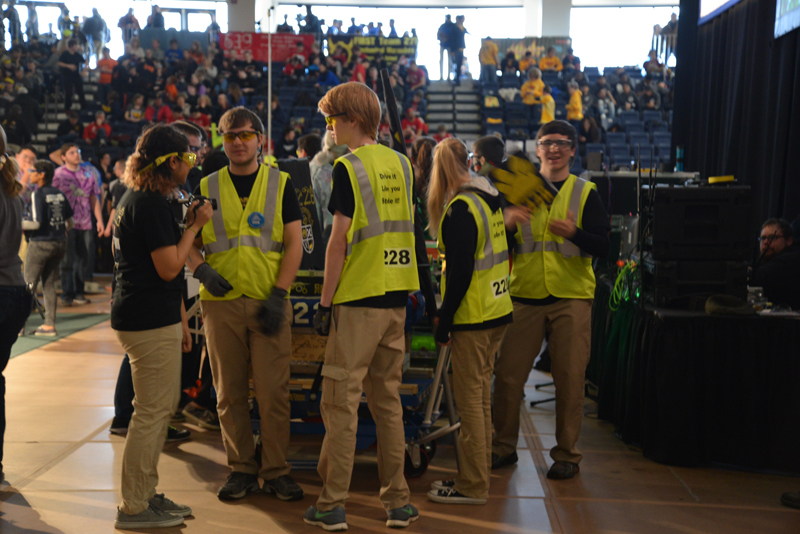 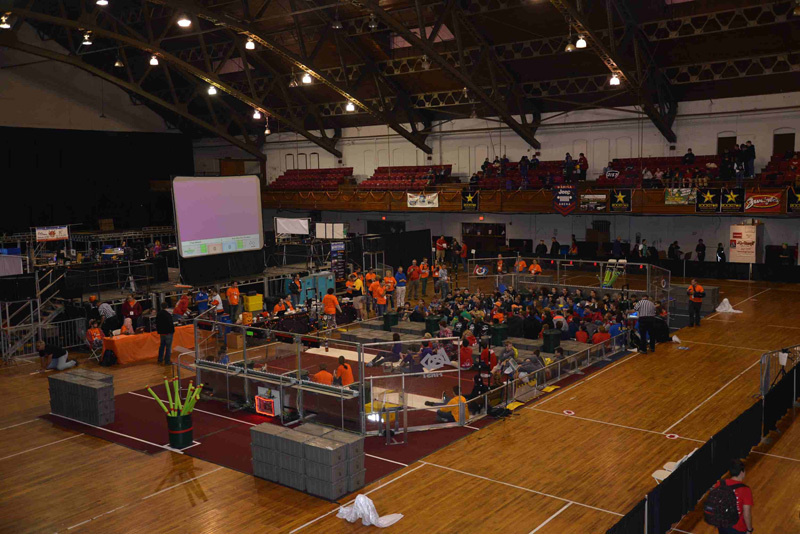 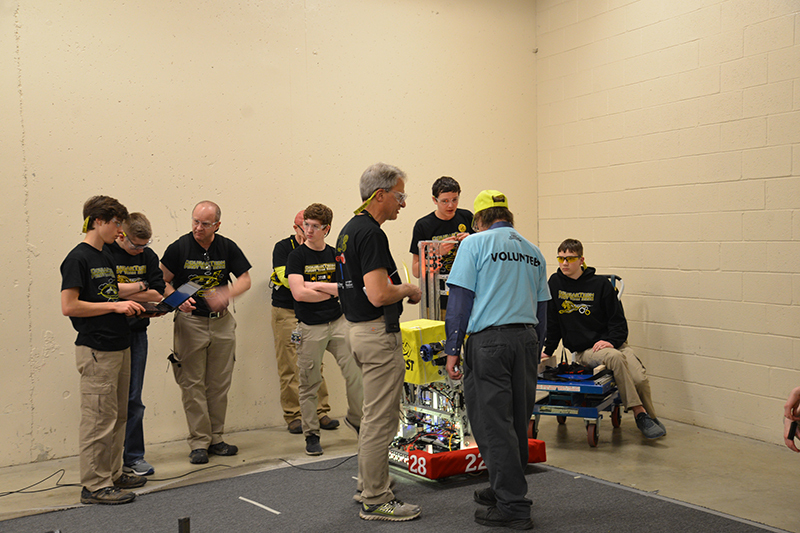 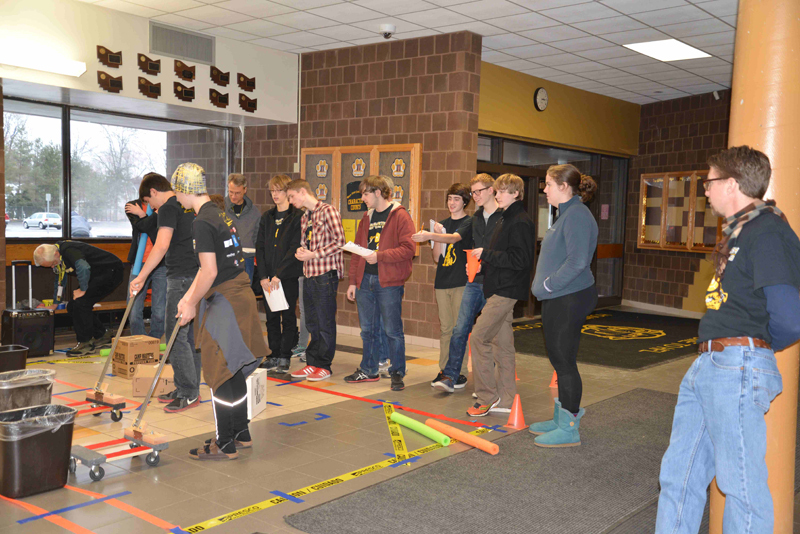 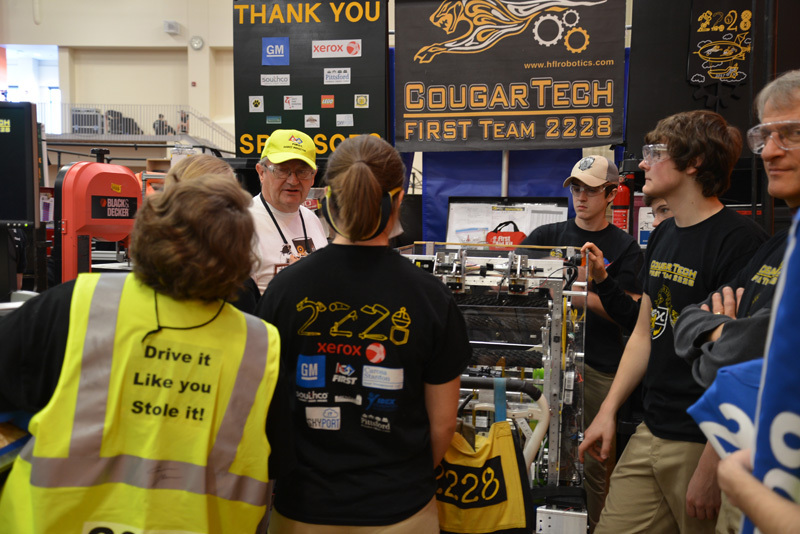 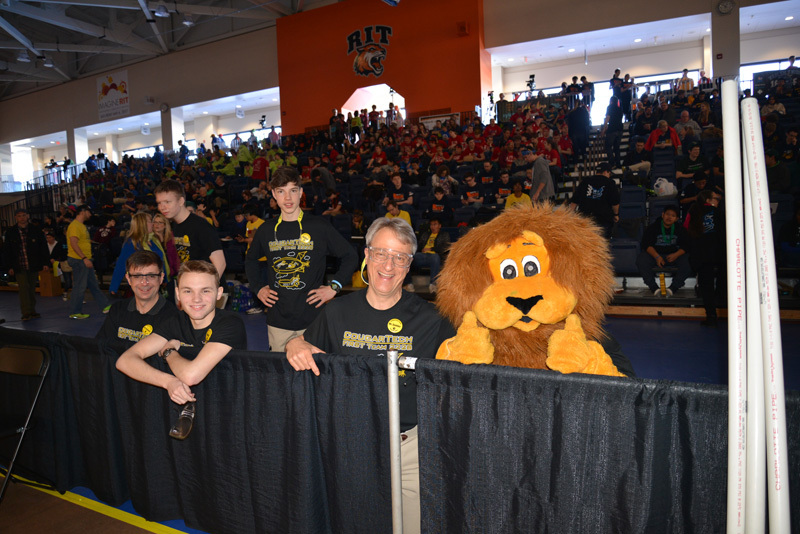 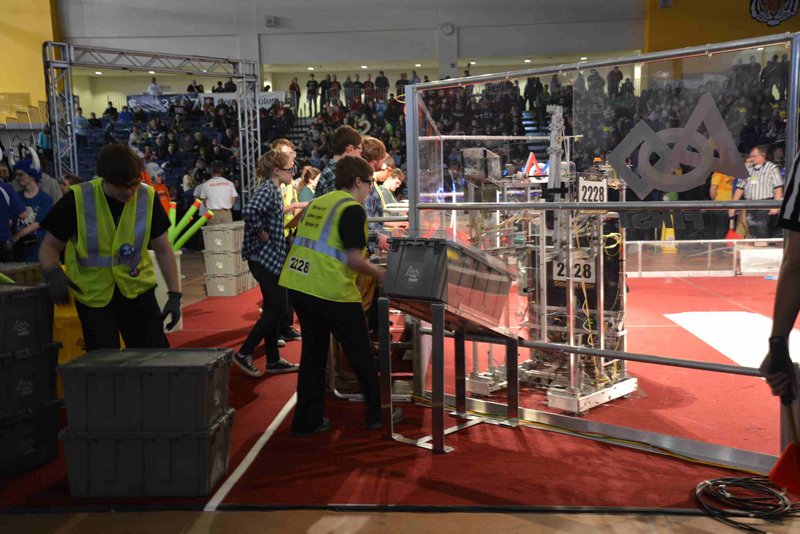 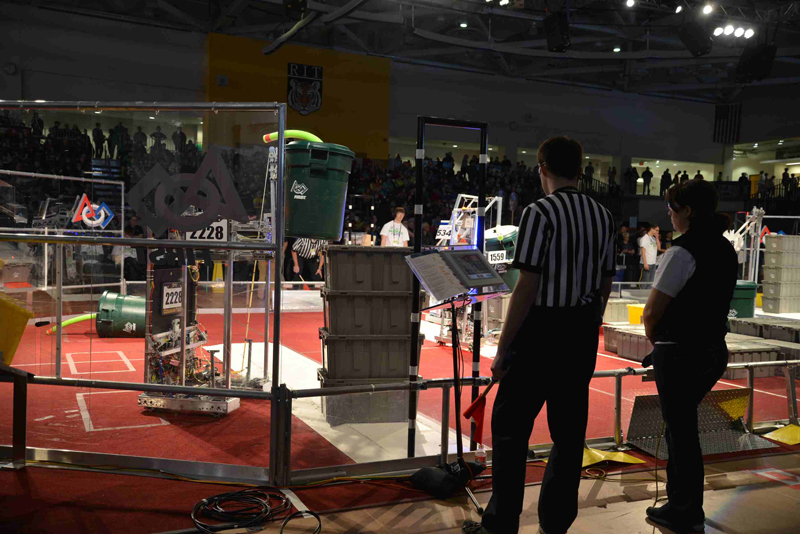 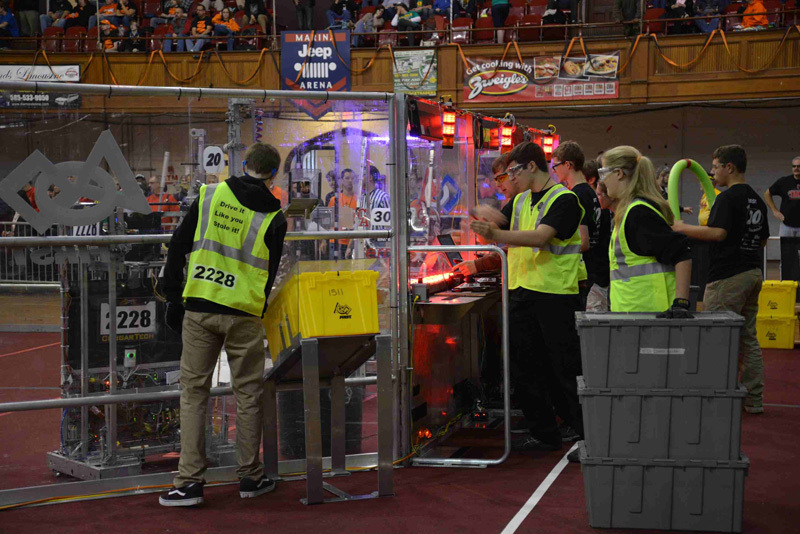 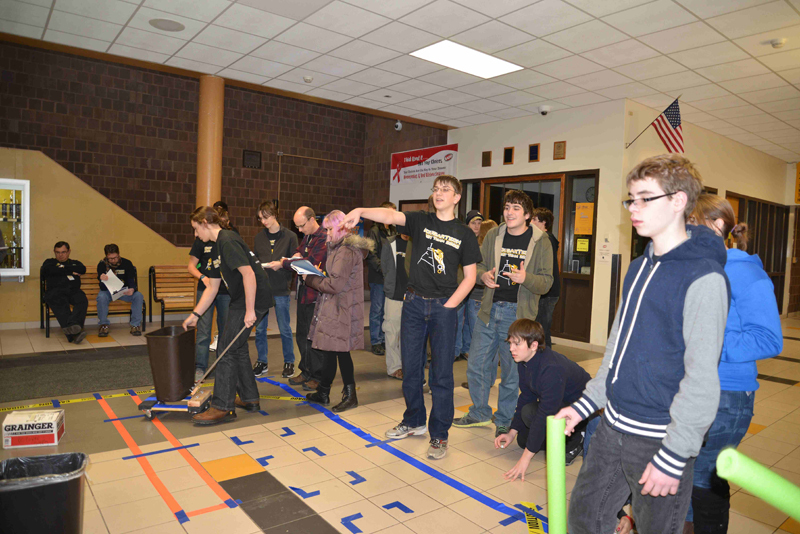 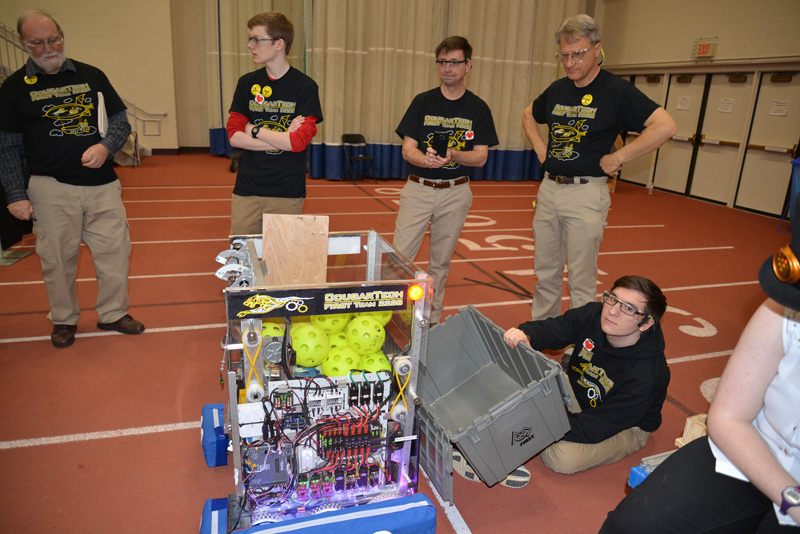 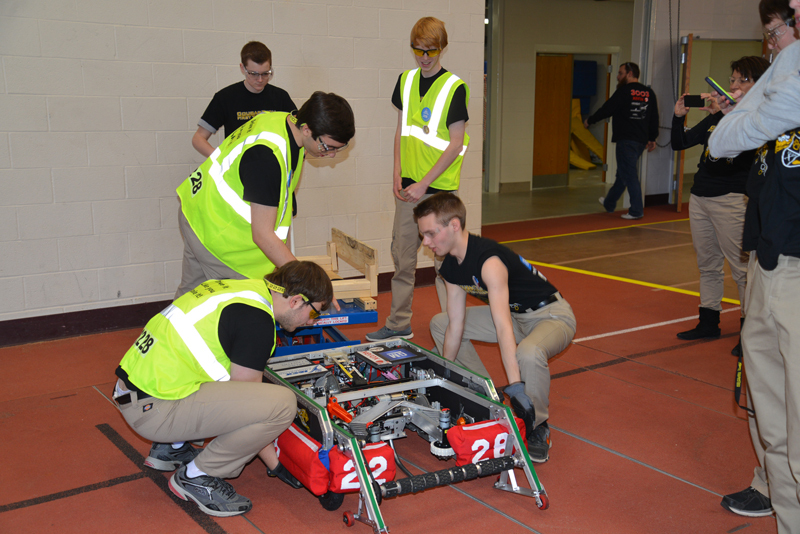 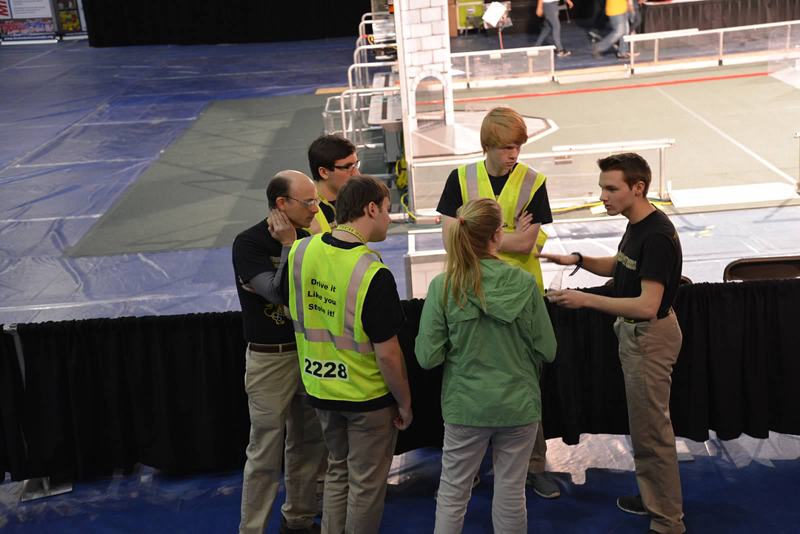 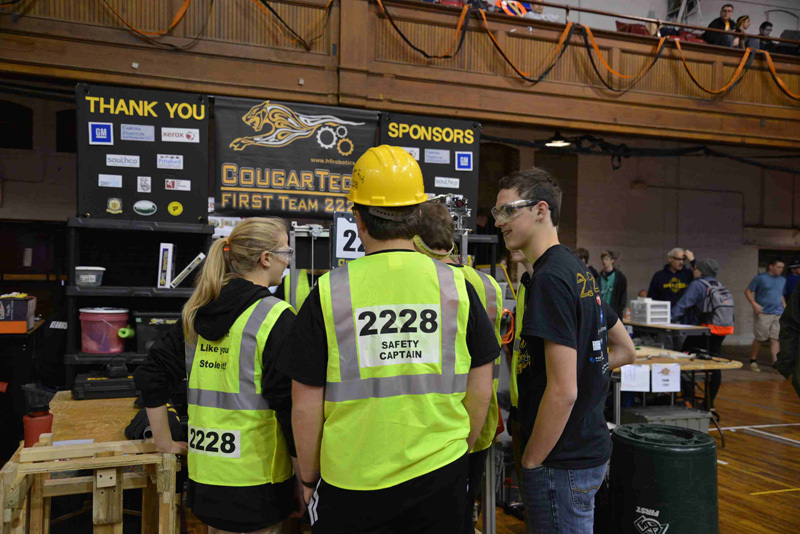 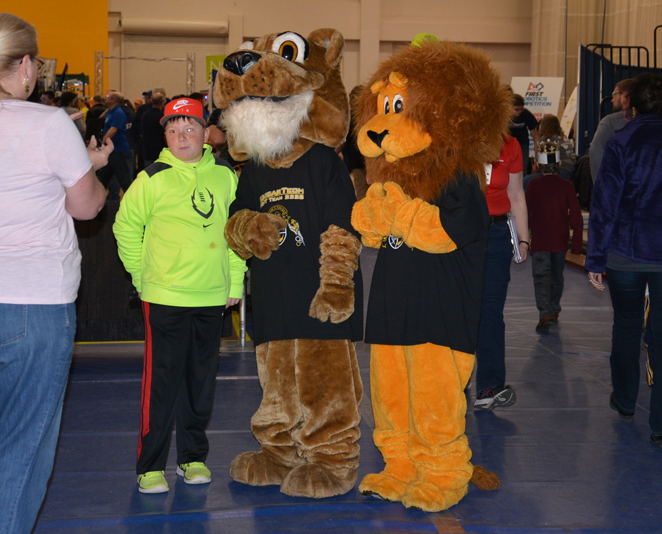 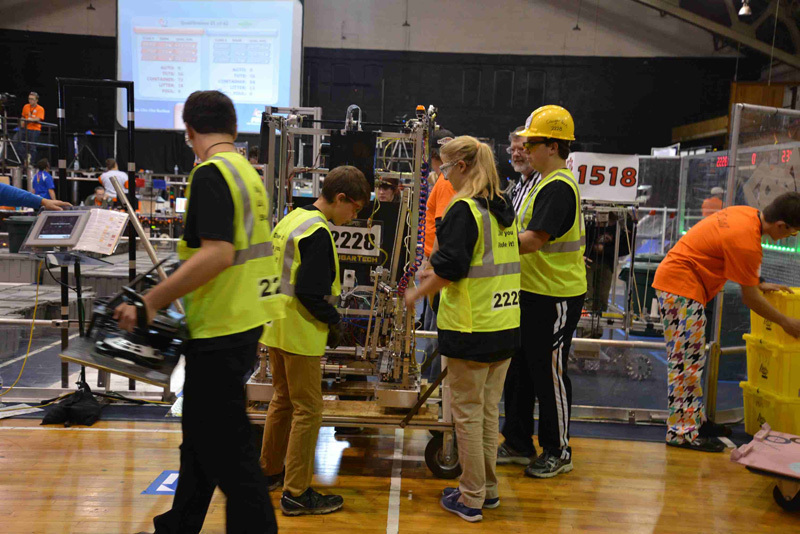 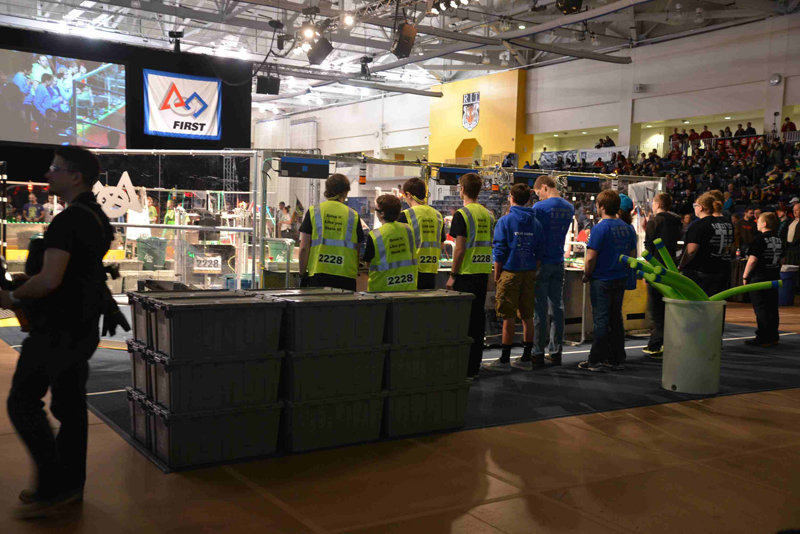 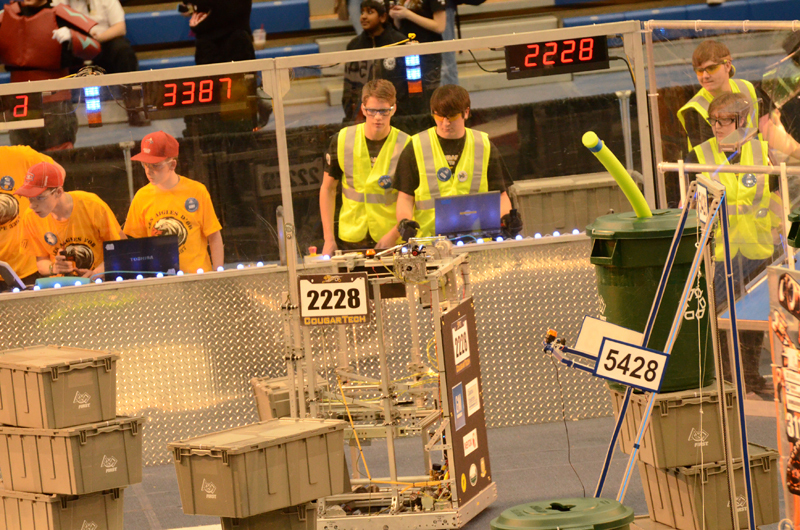 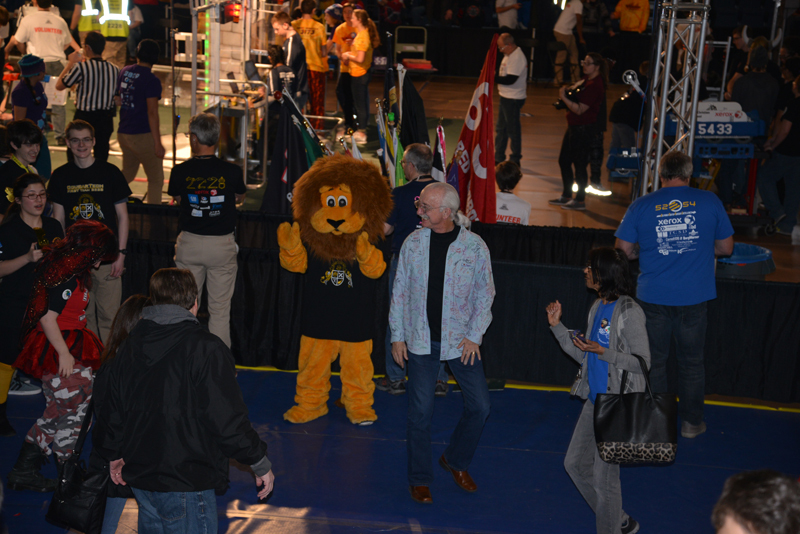 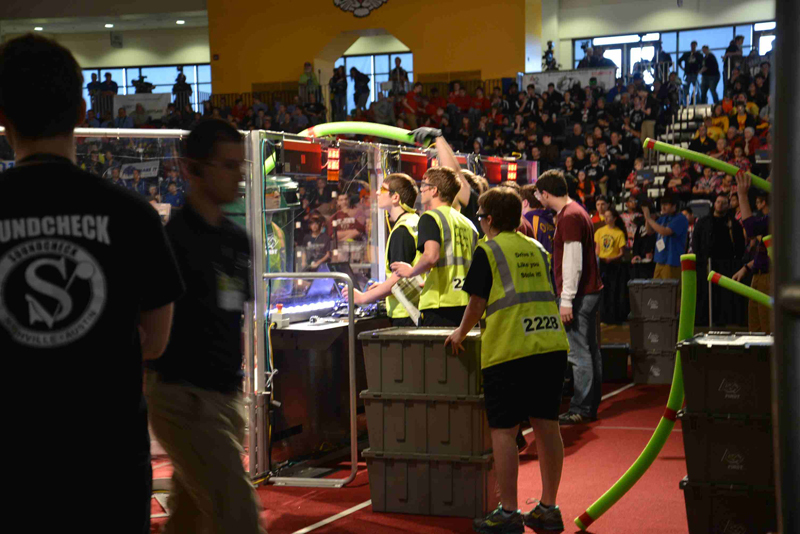 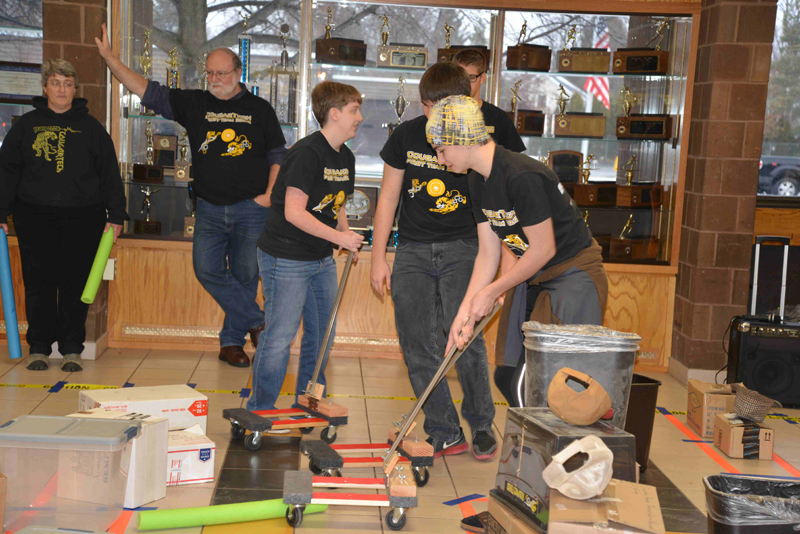 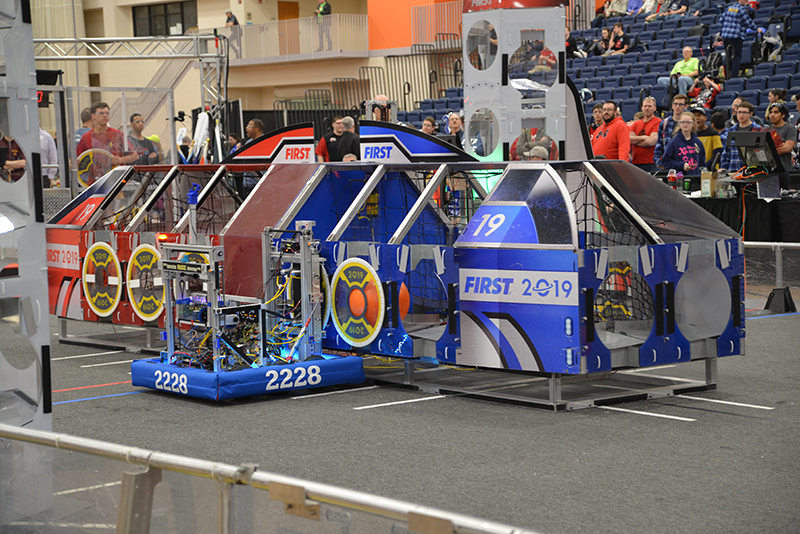 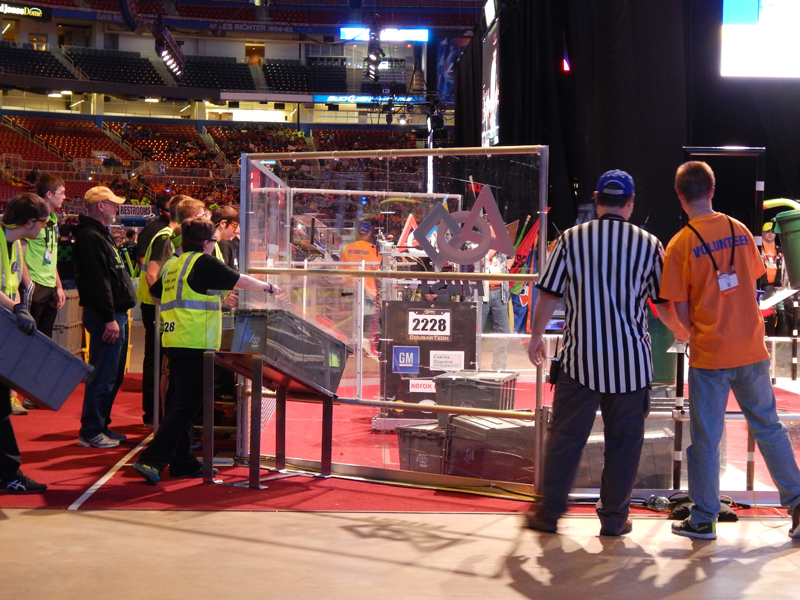 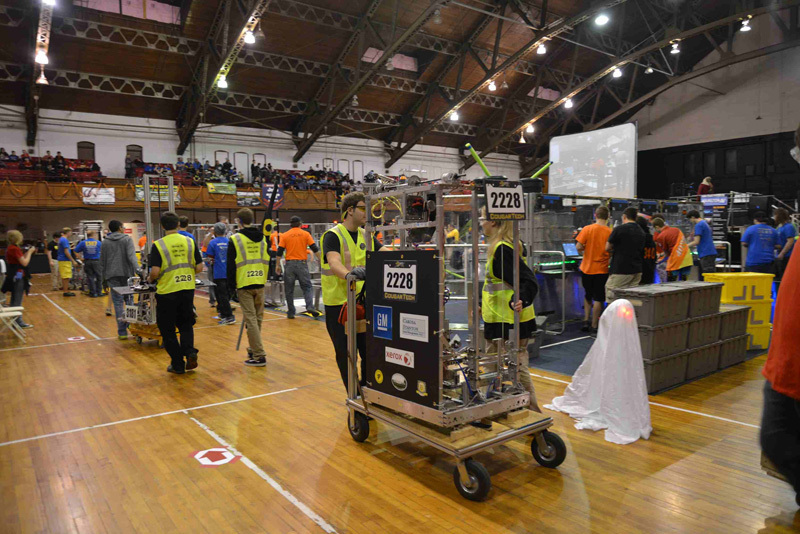 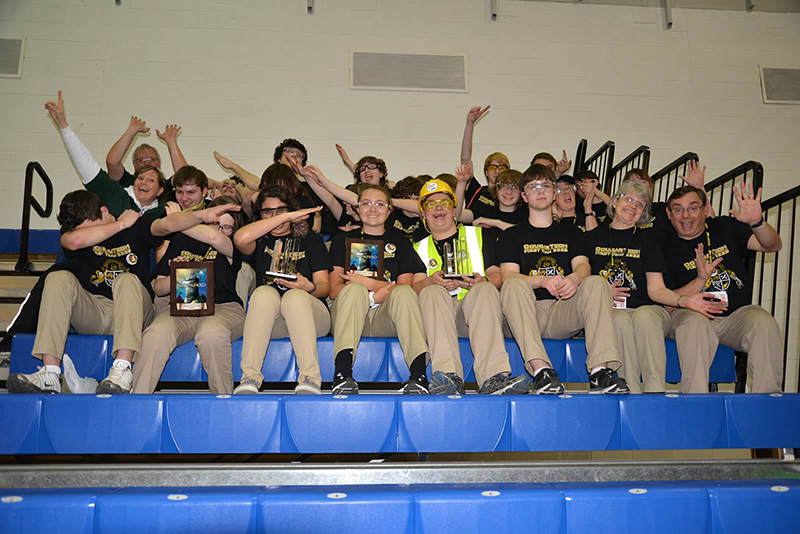 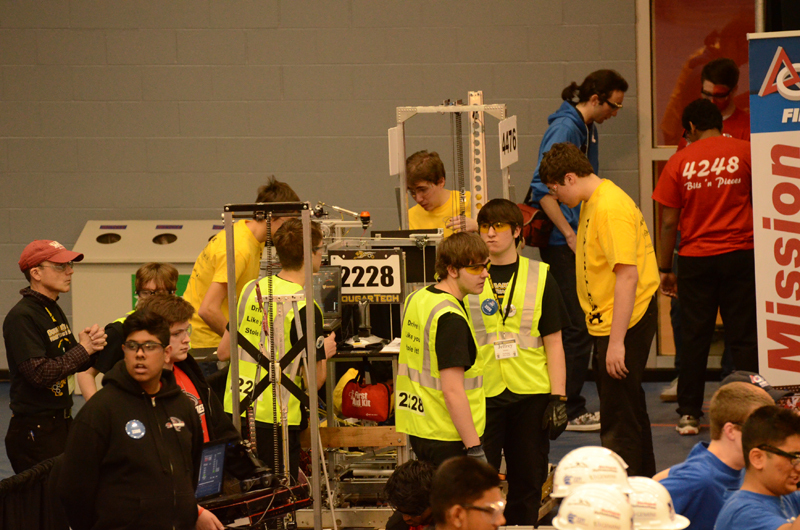 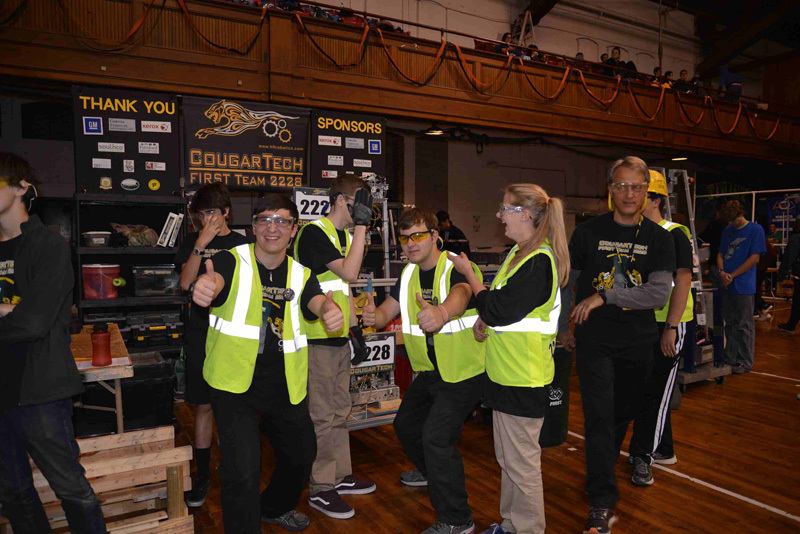 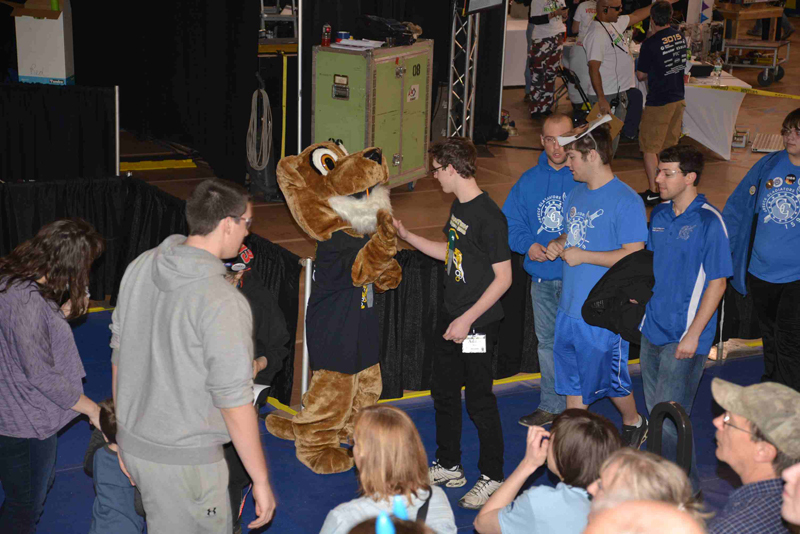 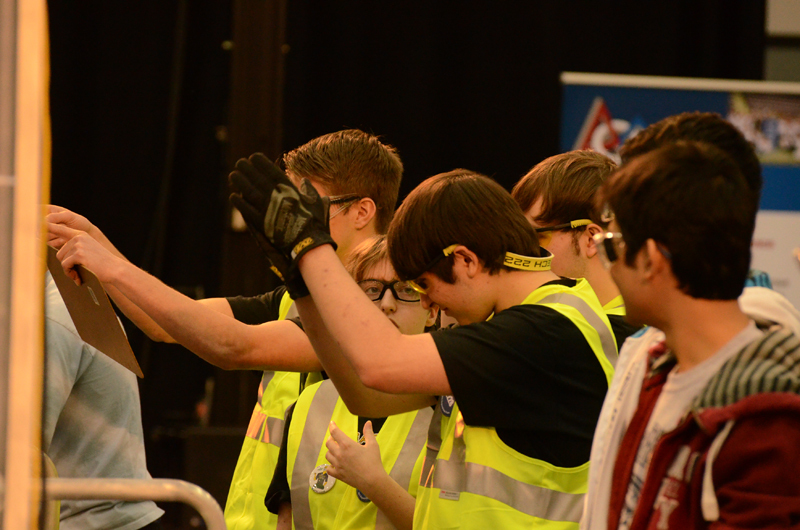 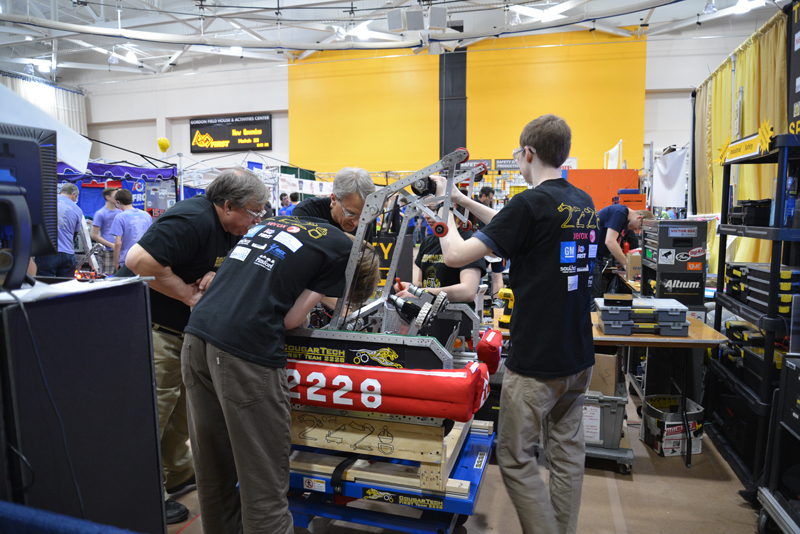 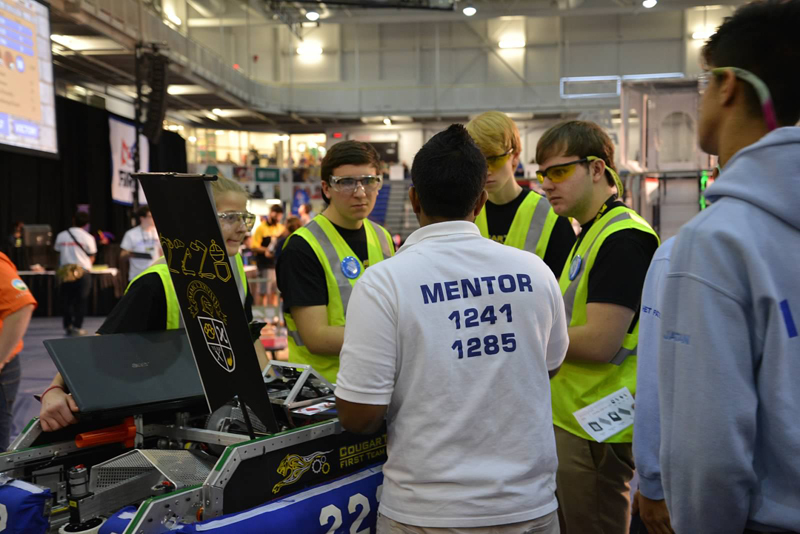 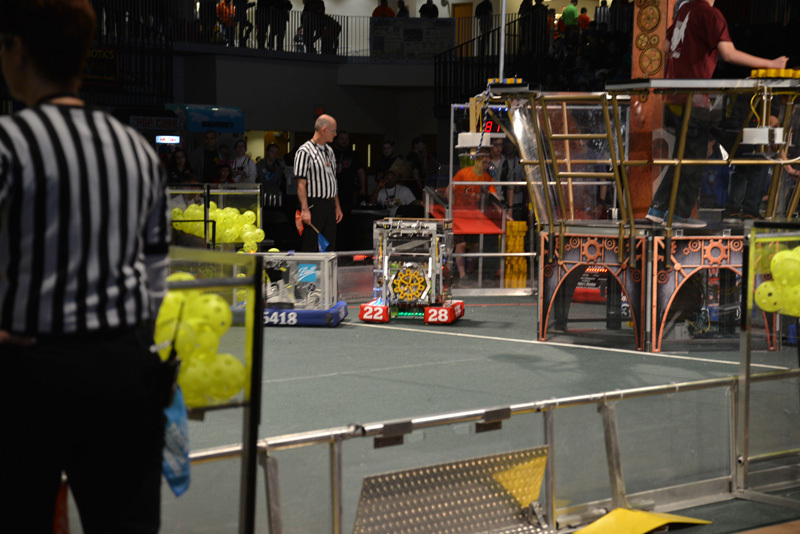 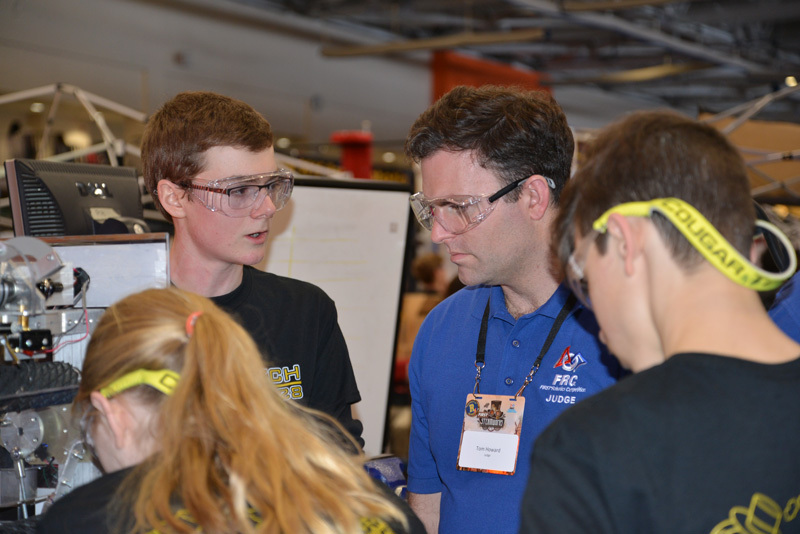 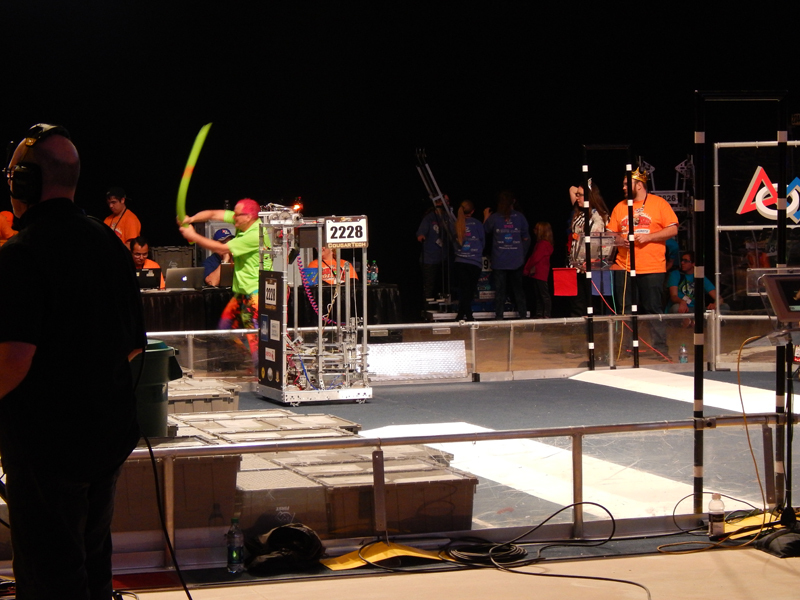 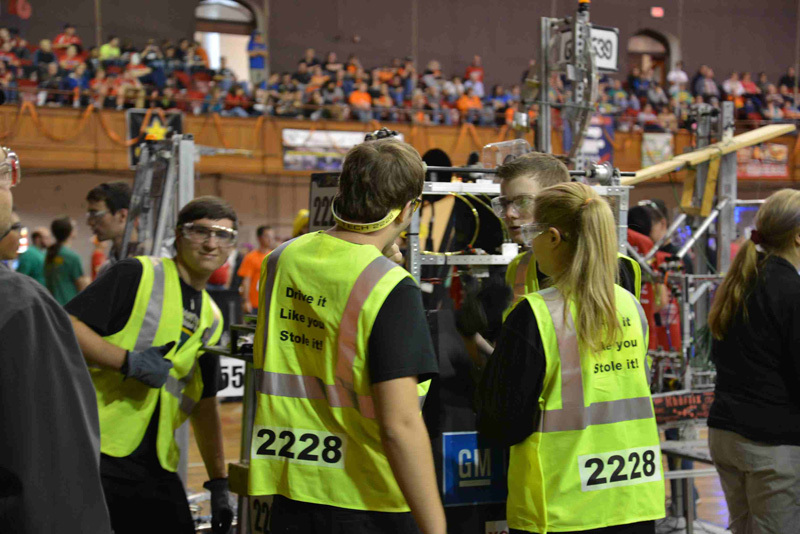 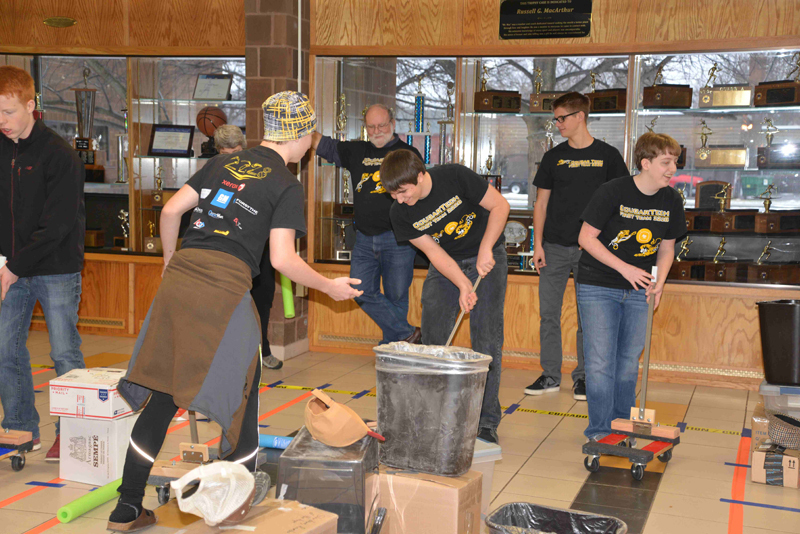 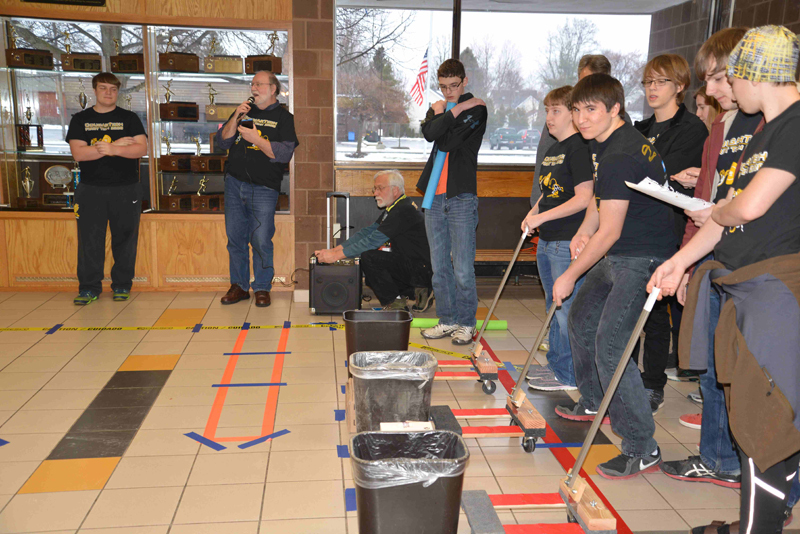 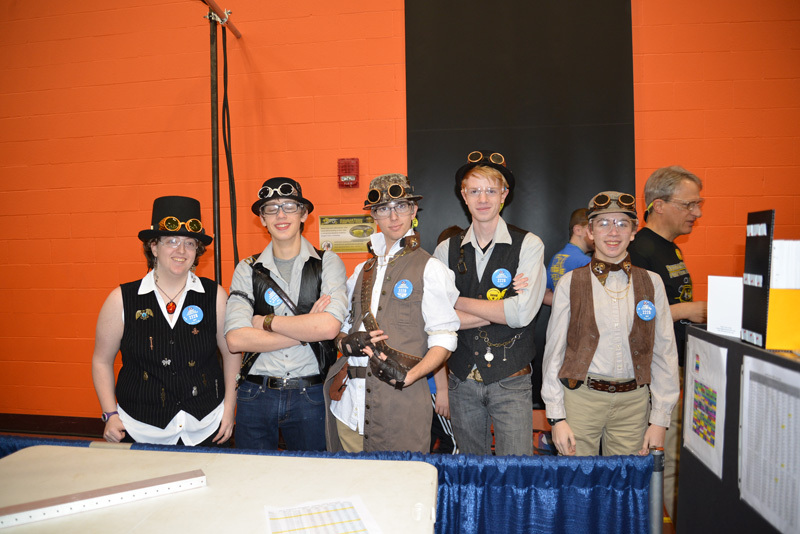 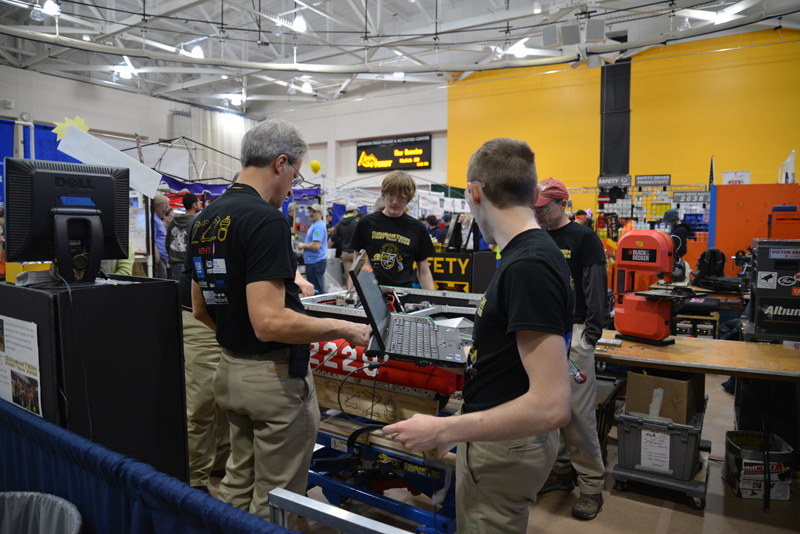 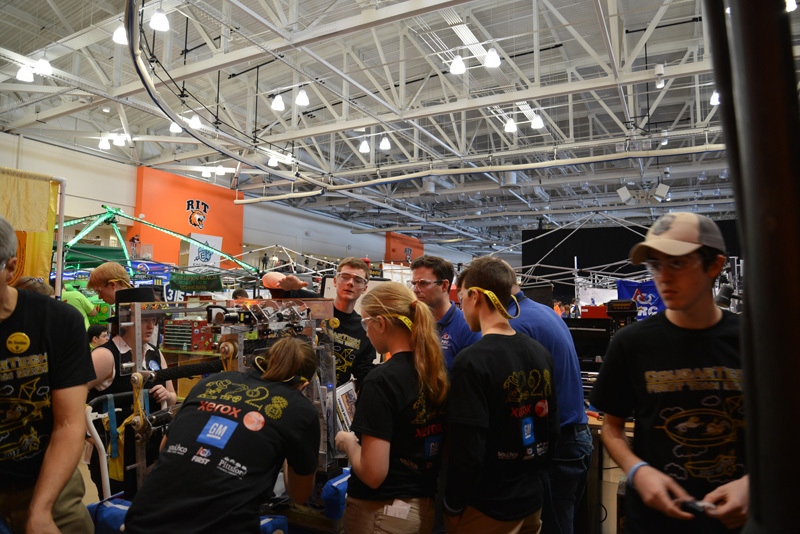 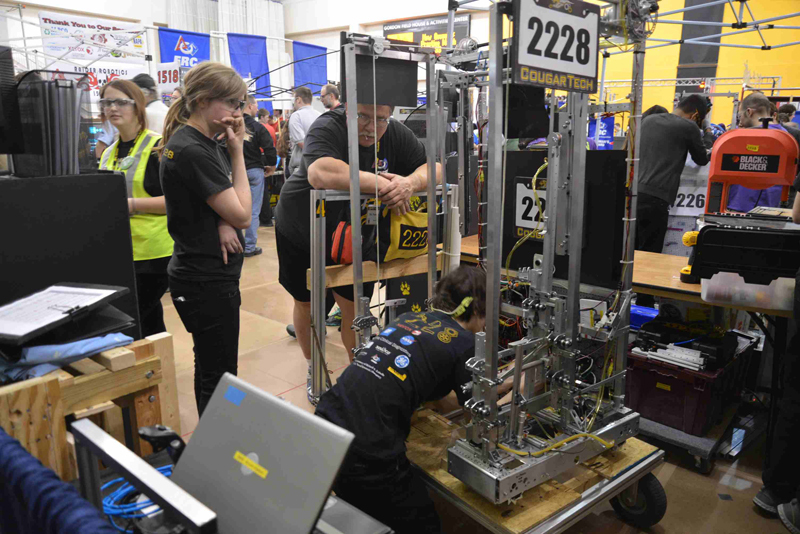 This year's Finger Lakes Regional was a fun experince for our whole team. 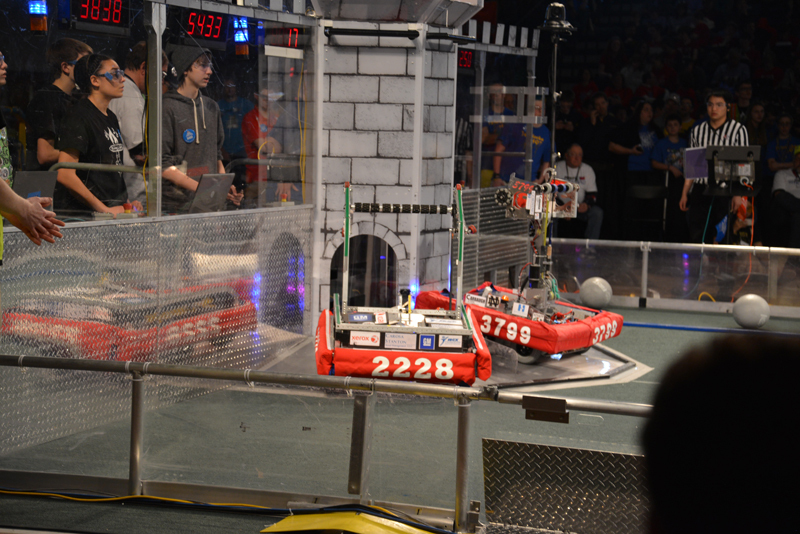 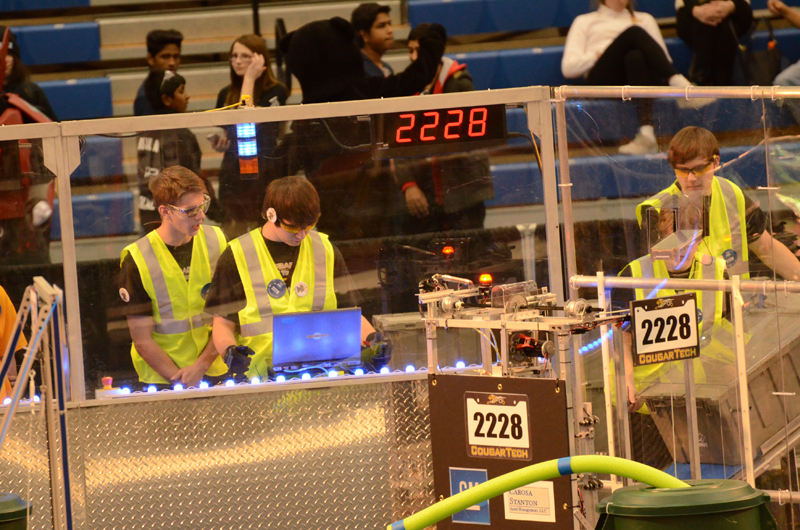 We didnt make it to the finals, but our robot still performed pretty swell. 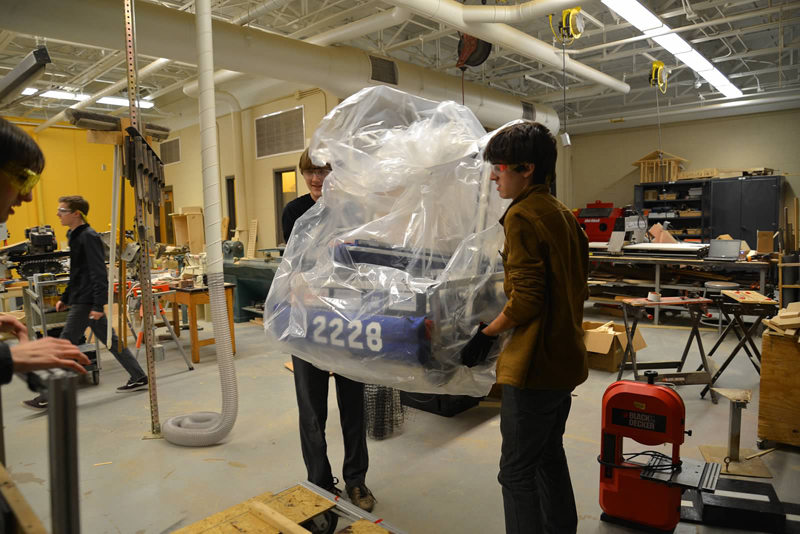 After six weeks of hard work, we can finally take some rest and then get into some competition. 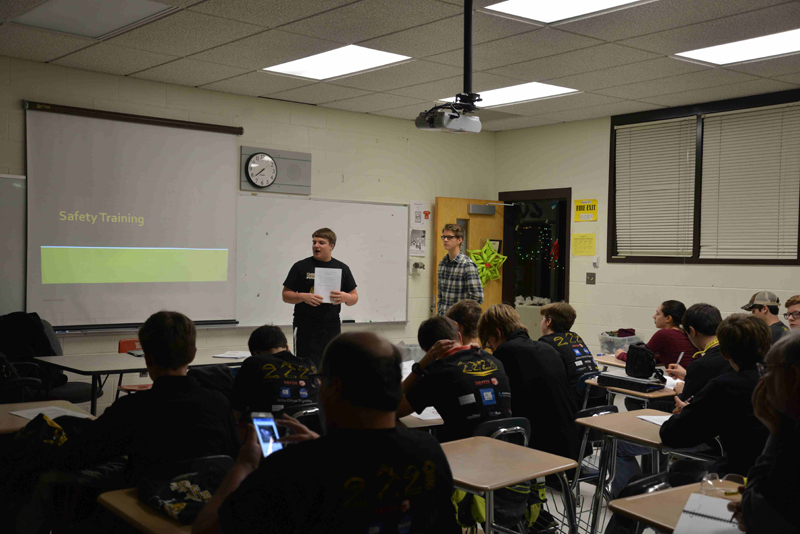 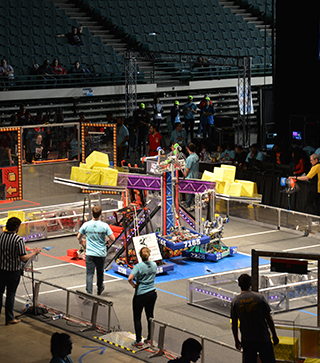 Our last regional of the year proved to be very successful. 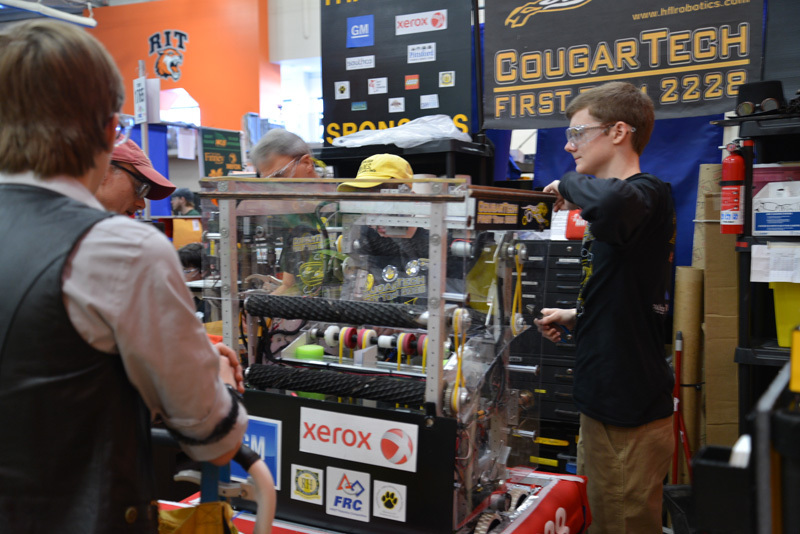 We had some great matches with our fellow teams and learned a lot about our robot and others that we can use for next year. 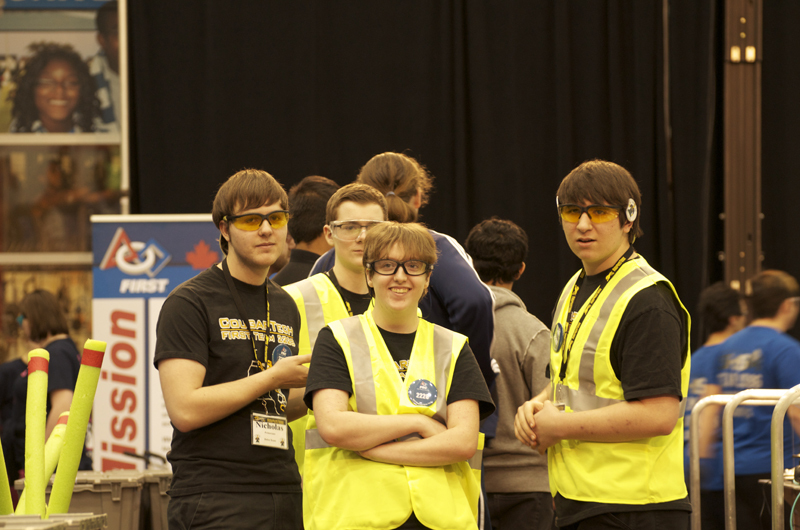 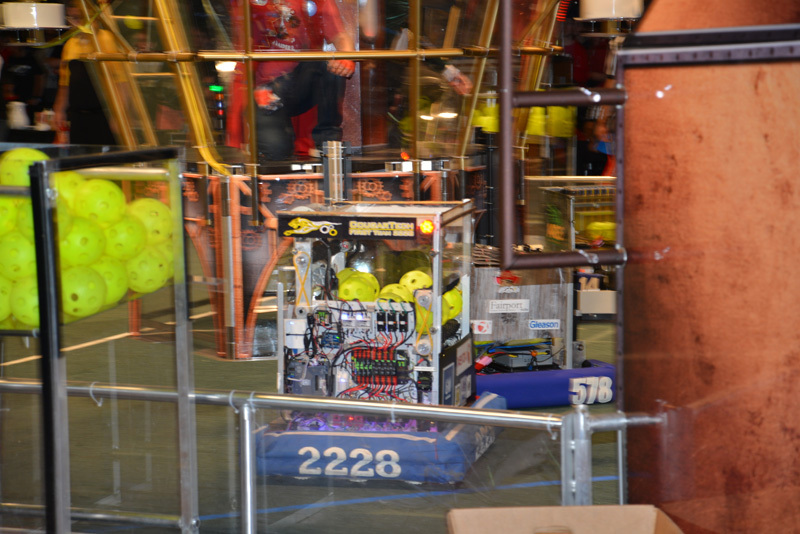 While in Toronto for our first regional, we learned a lot about the game and tried out our robot and demonstrated outstanding safety. 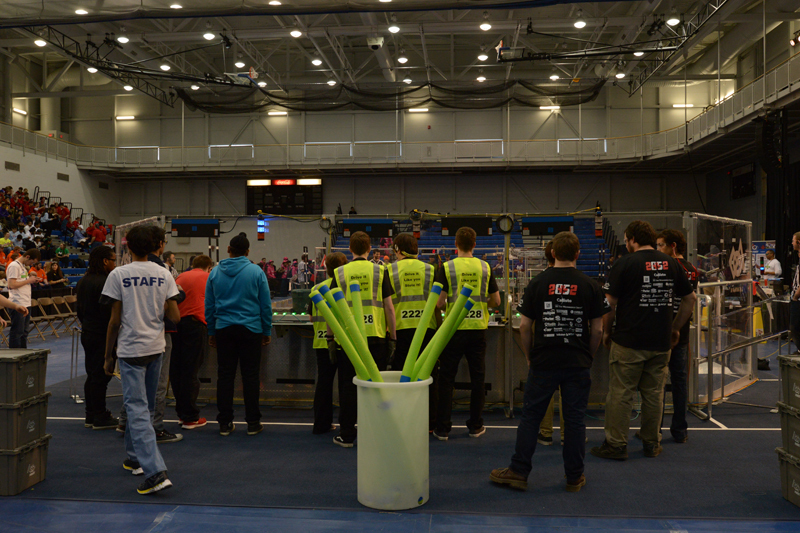 The annual off-season FIRST event, Ruckus, held in Rochester, NY. 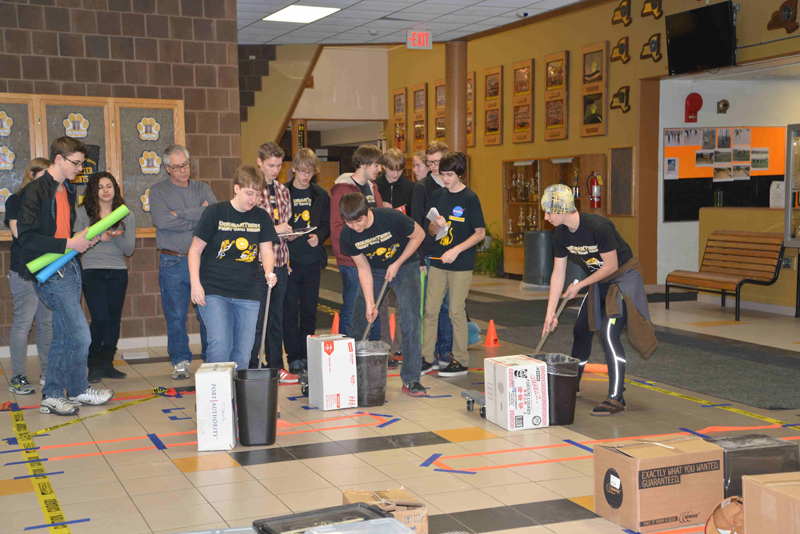 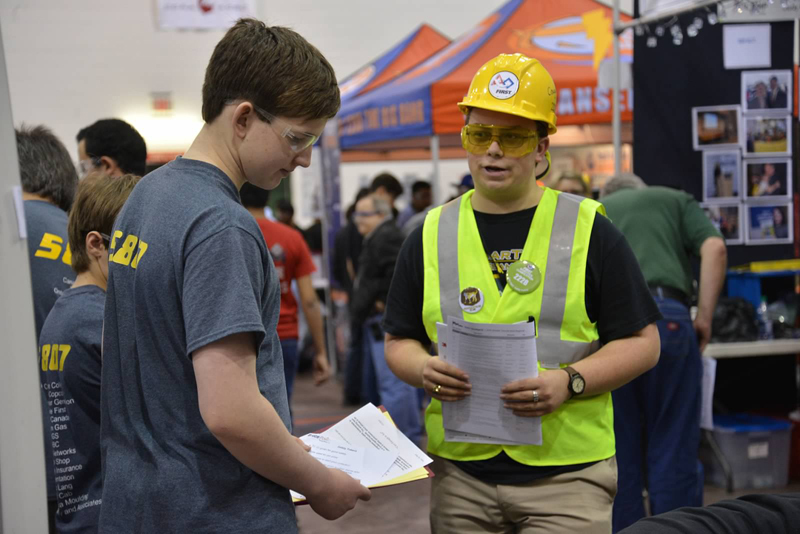 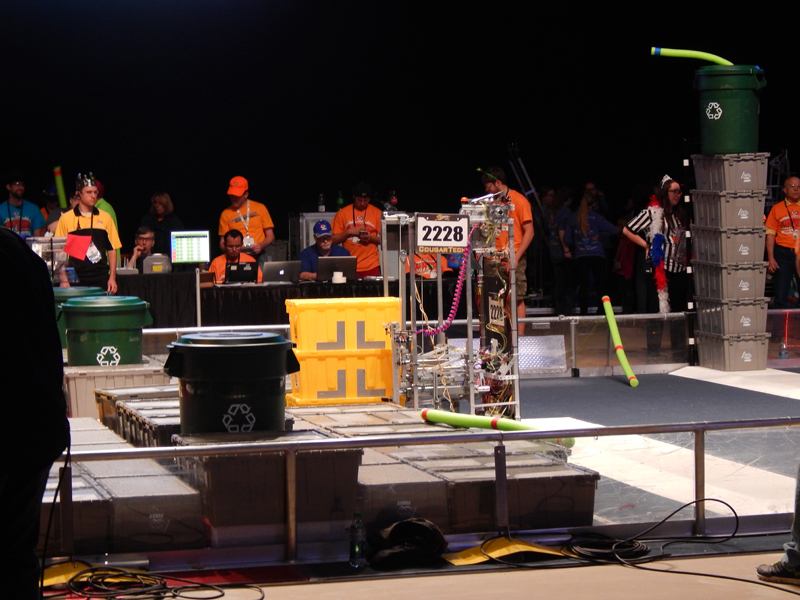 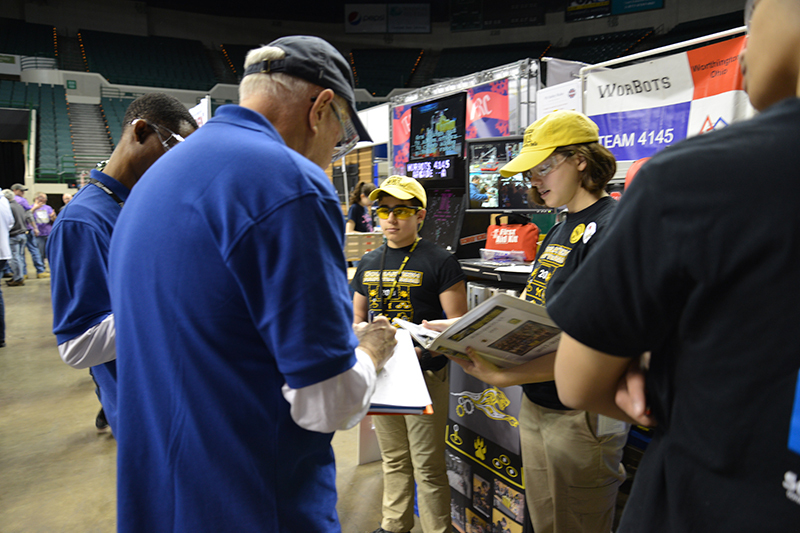 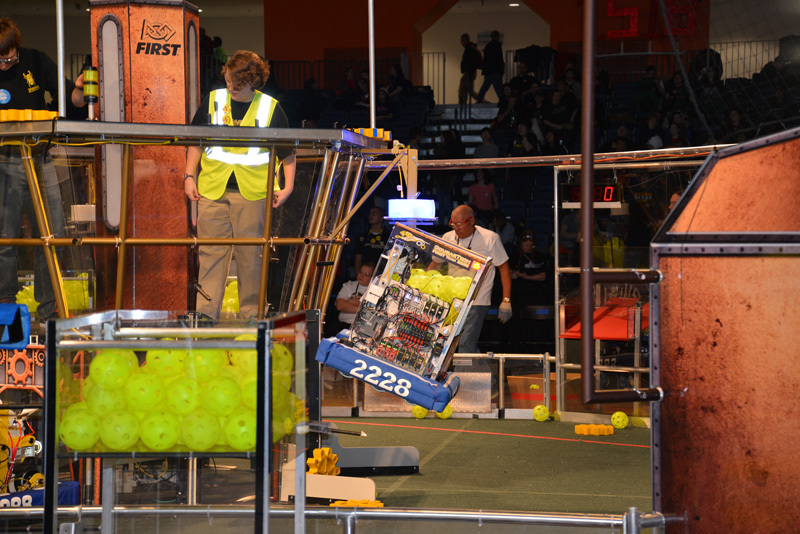 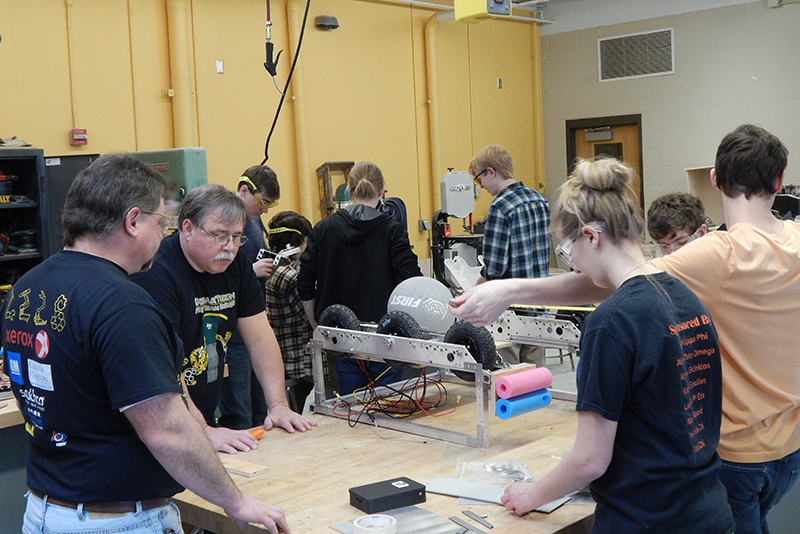 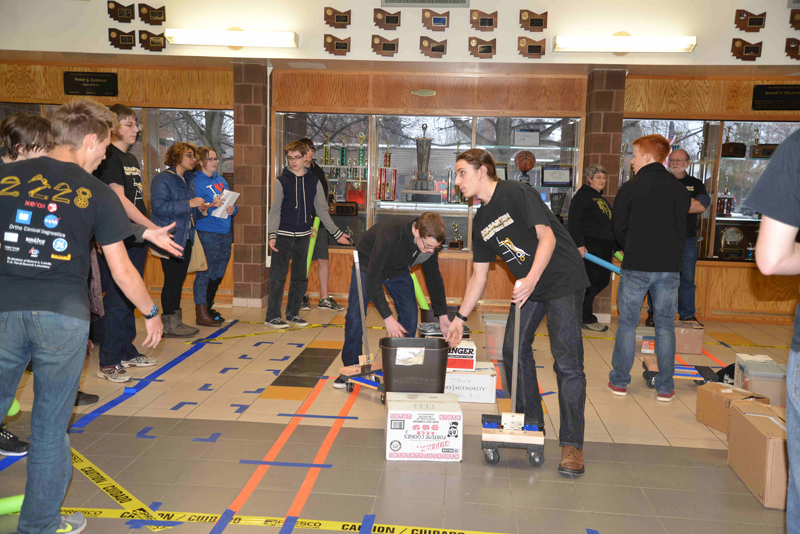 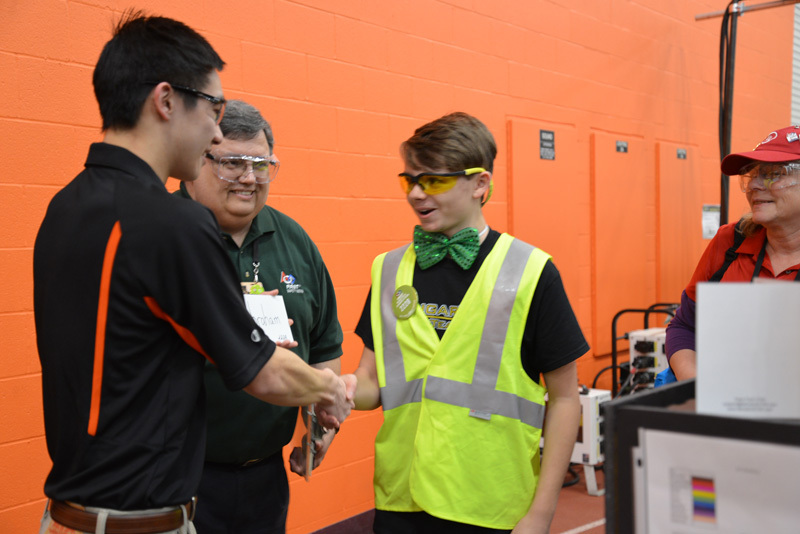 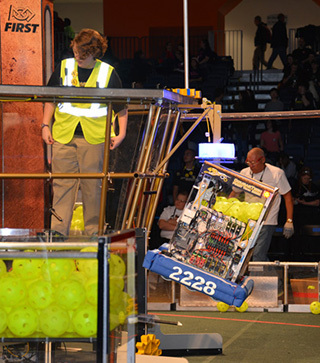 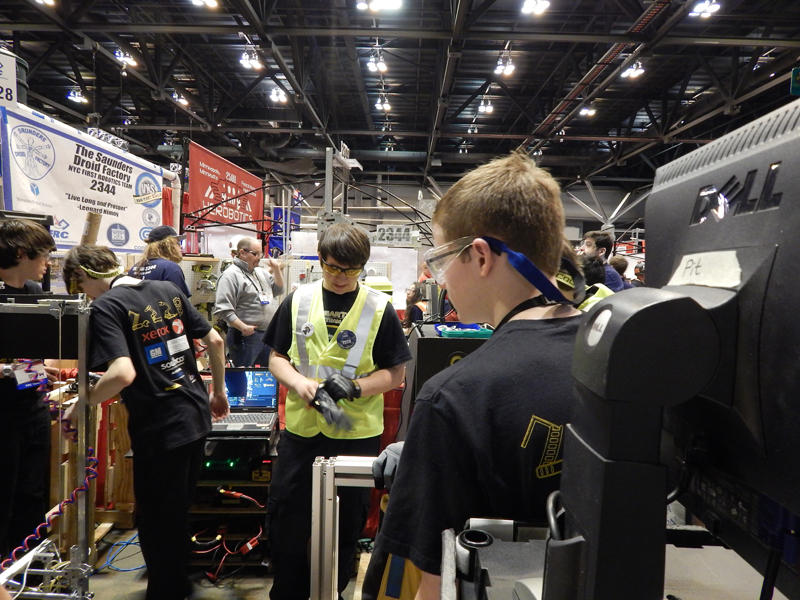 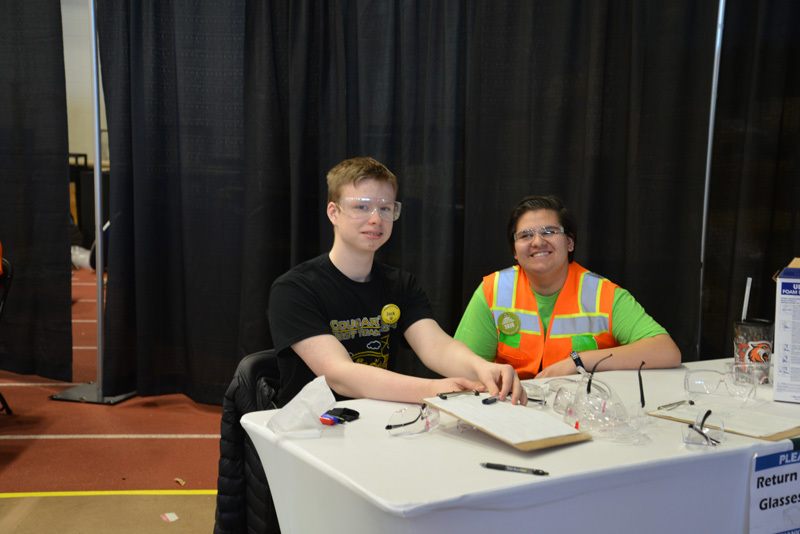 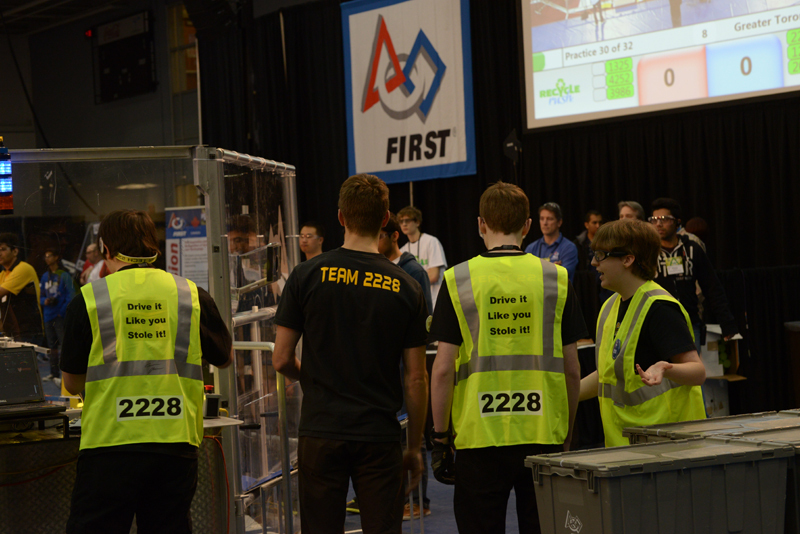 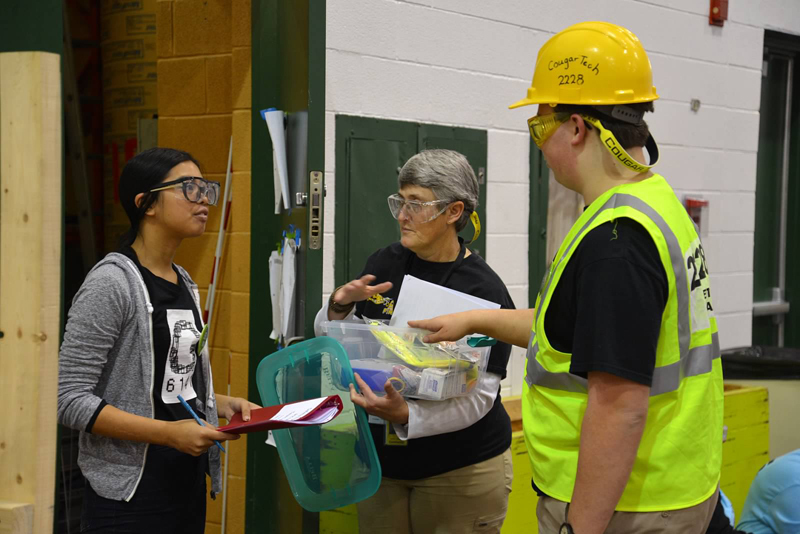 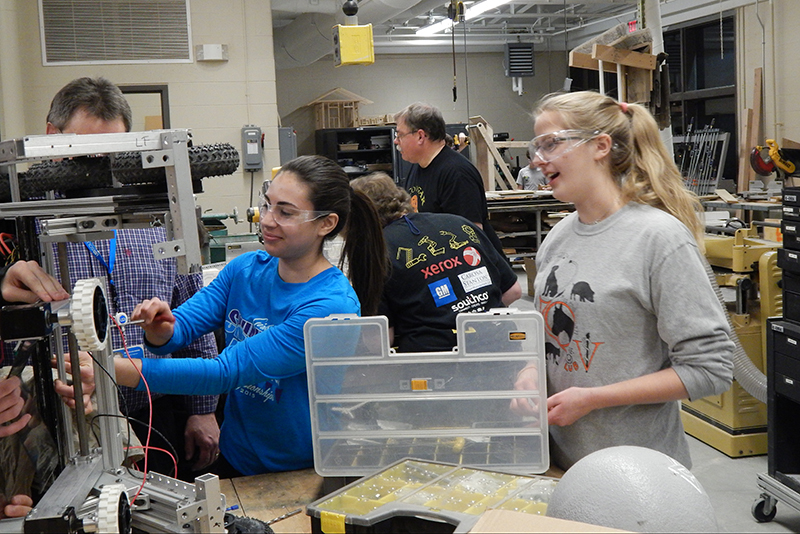 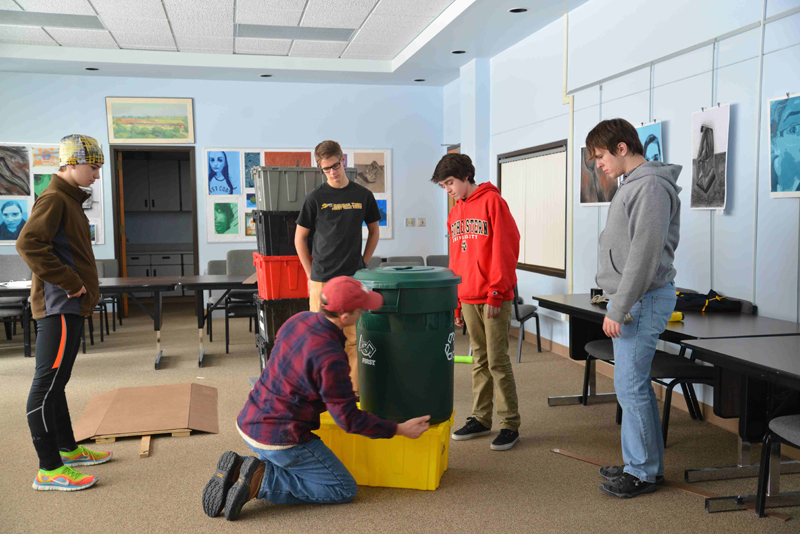 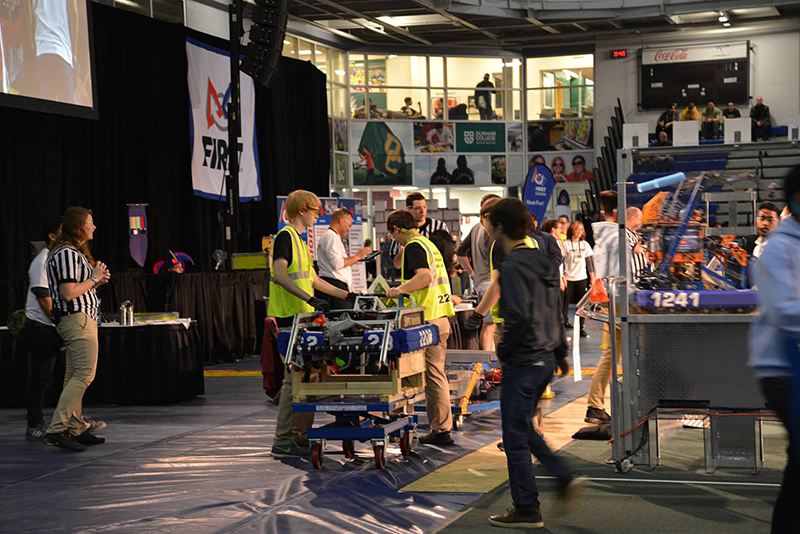 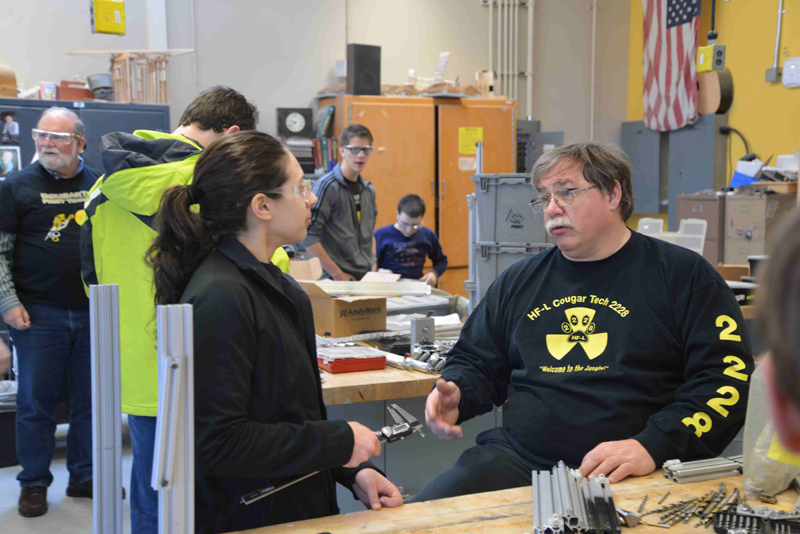 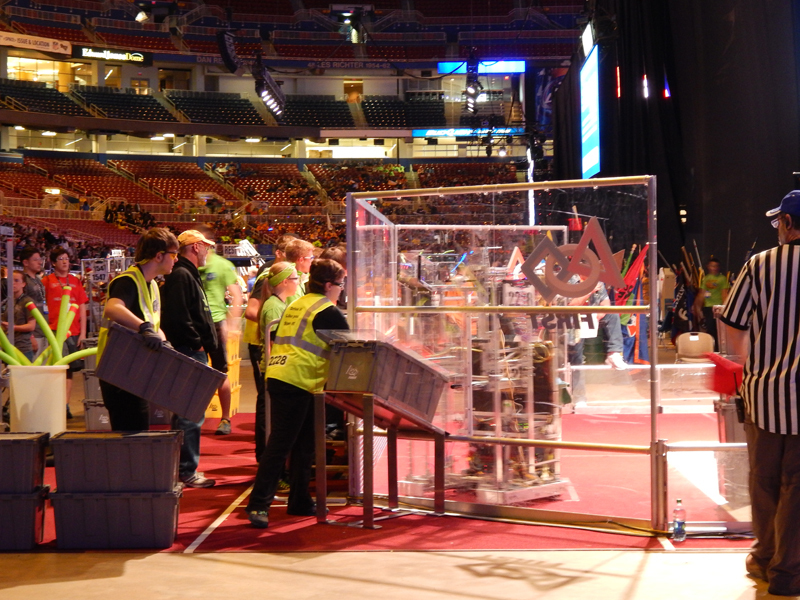 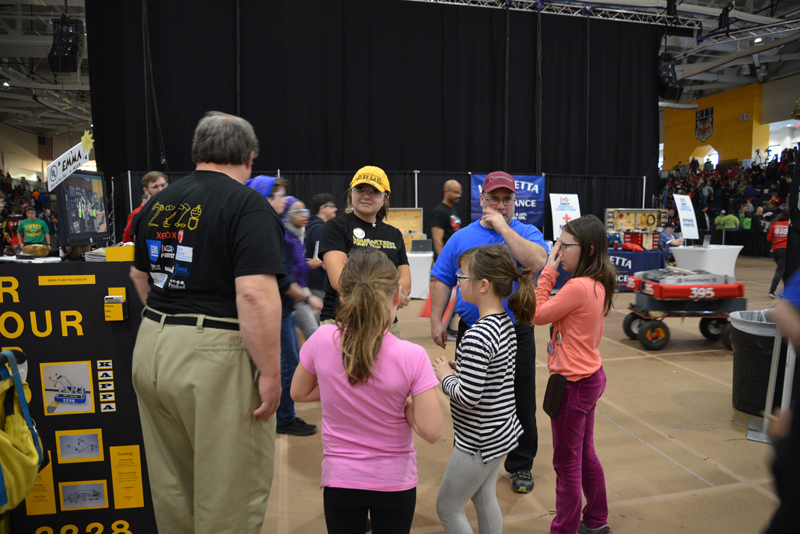 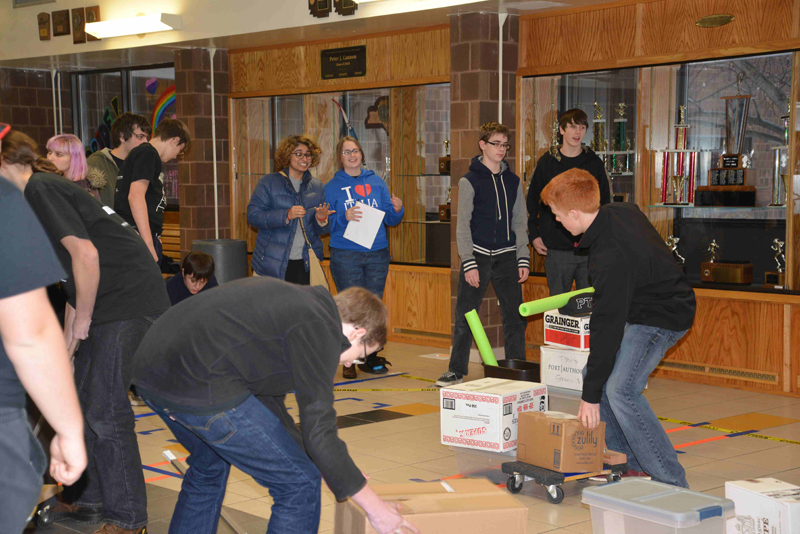 The game was Recycle Rush, the same as last year, and was a great opportunity for new team members to get a feel for FIRST Robotics. 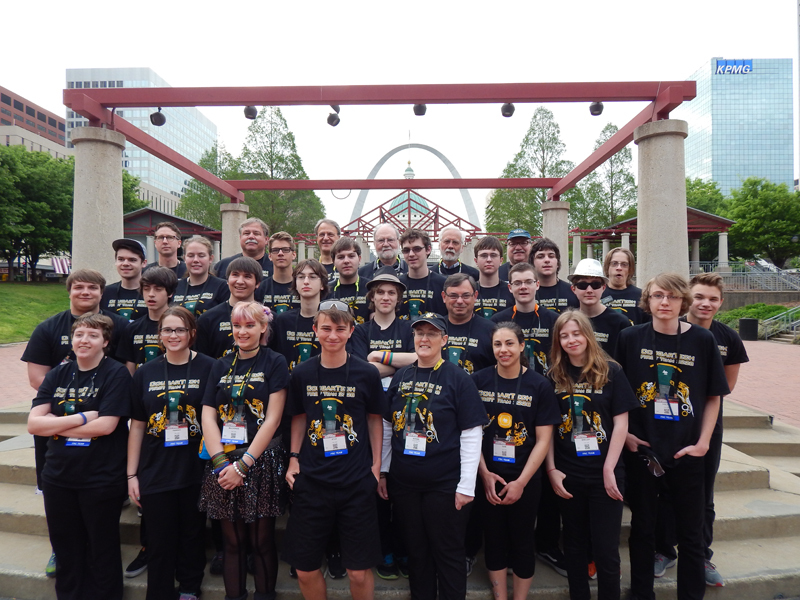 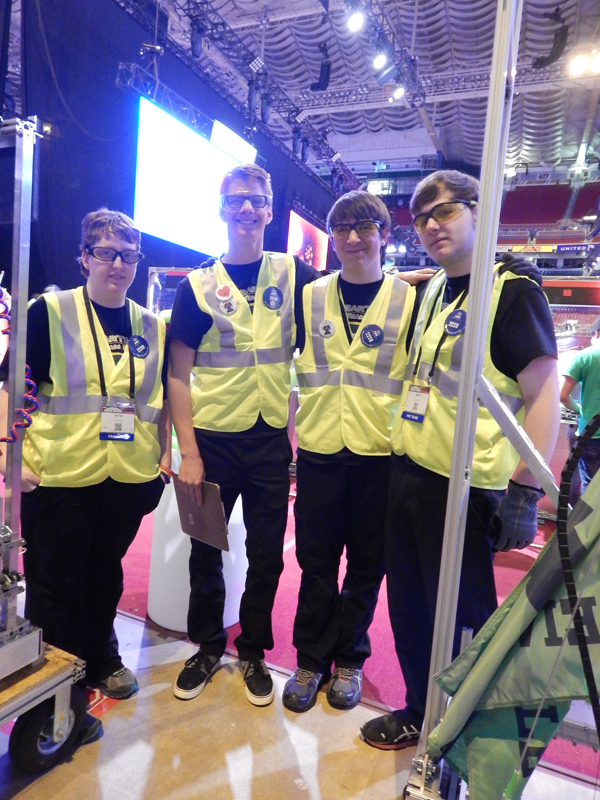 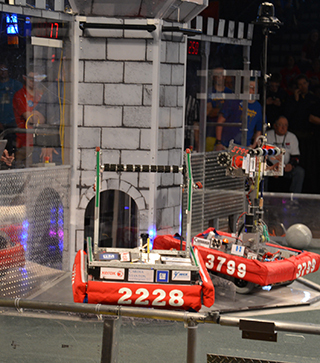 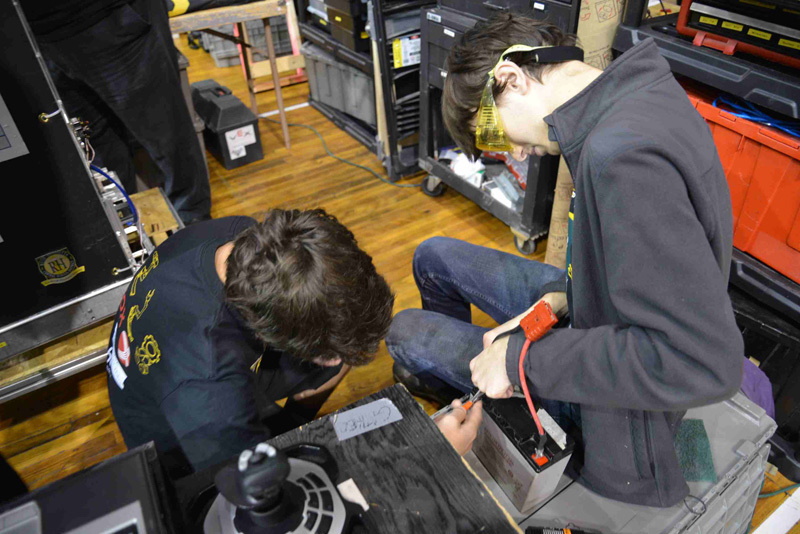 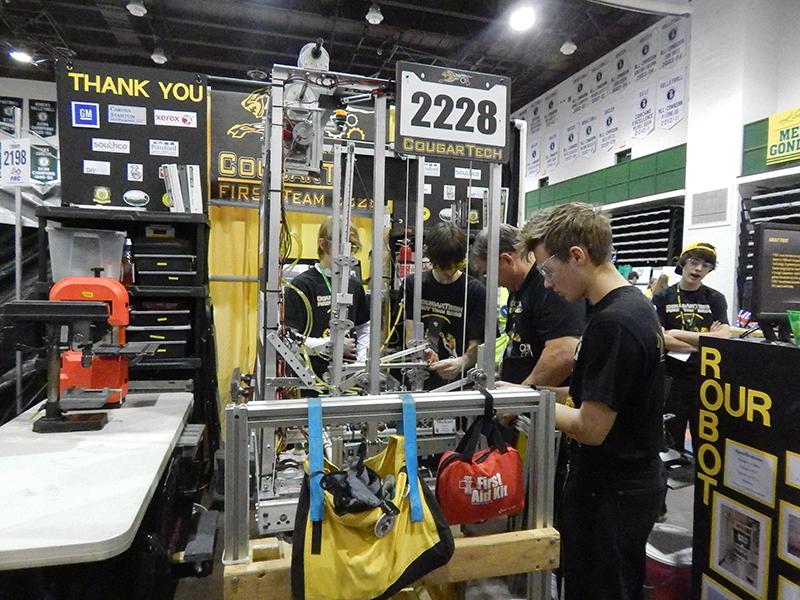 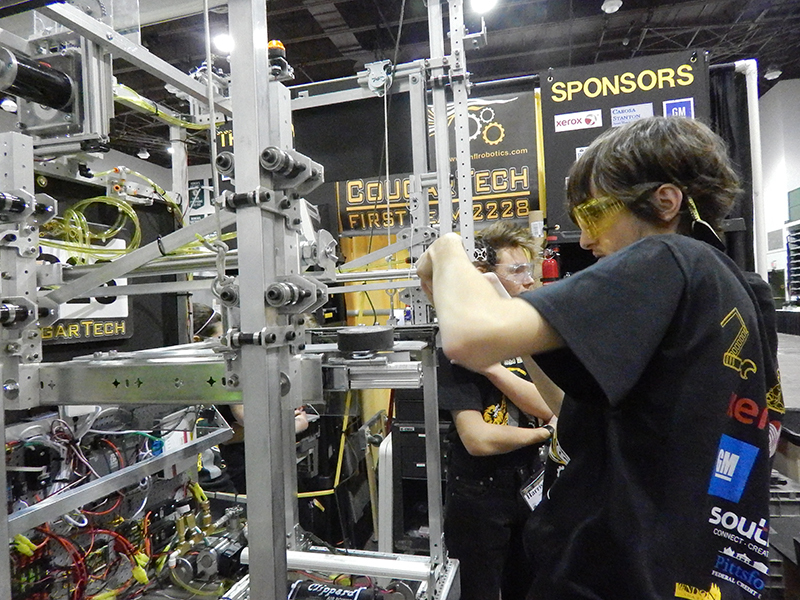 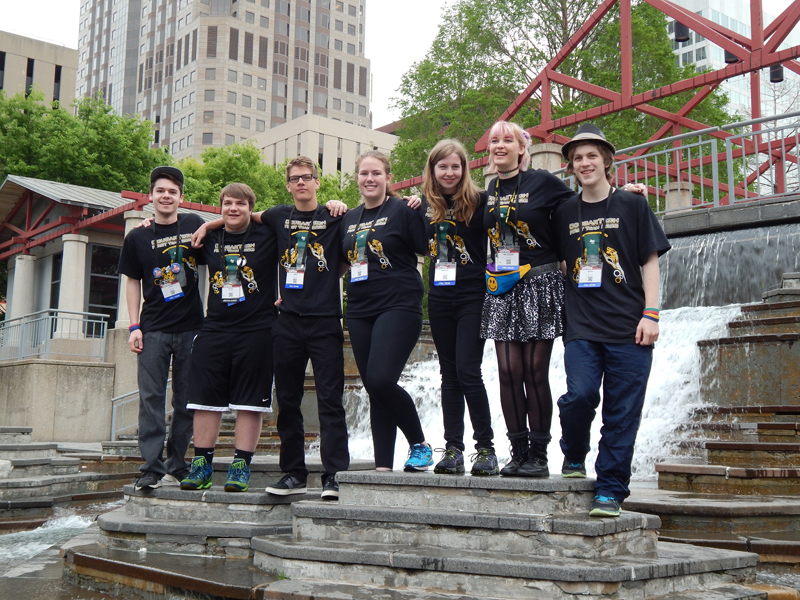 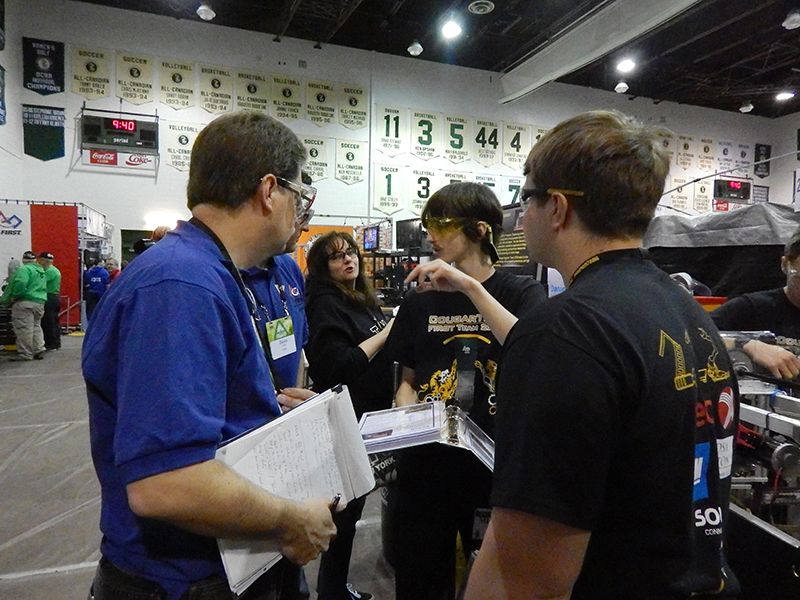 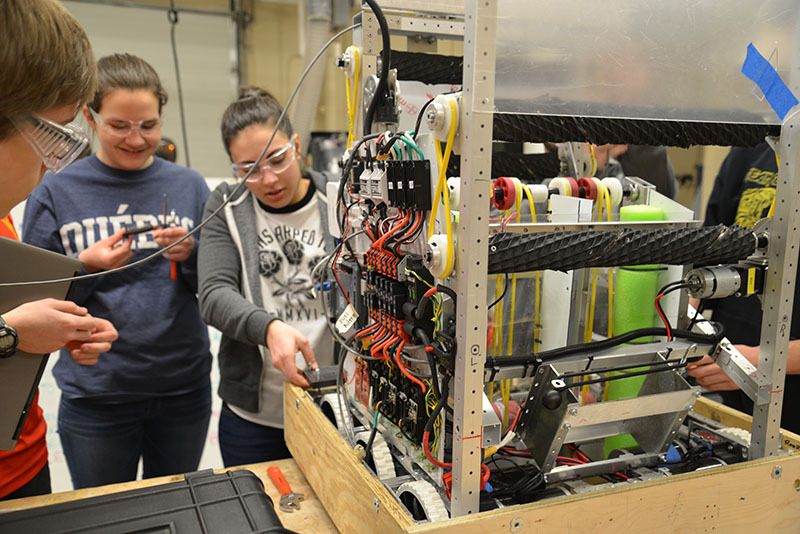 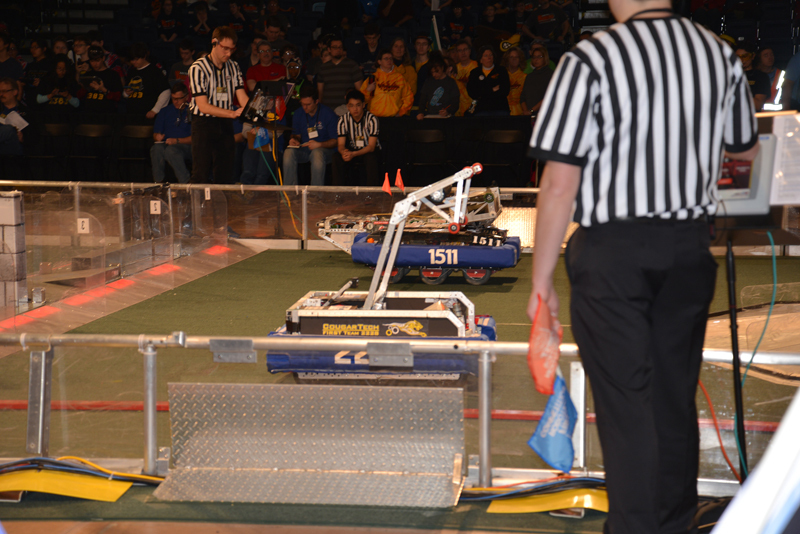 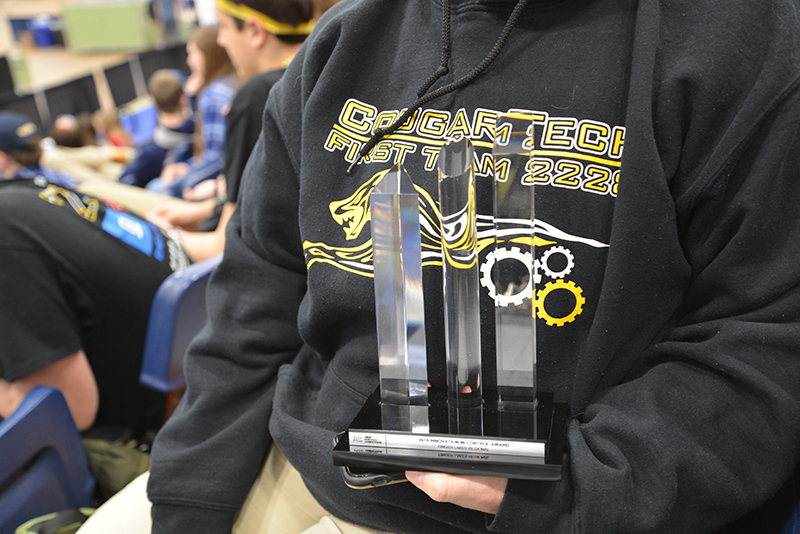 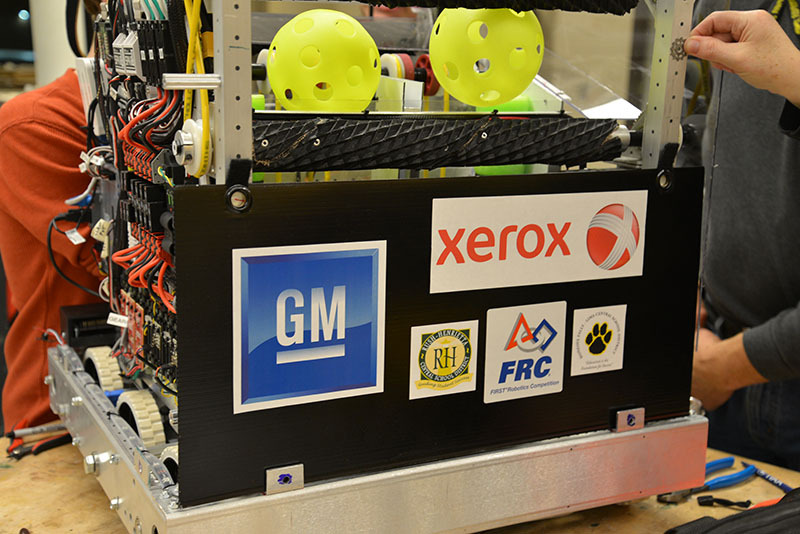 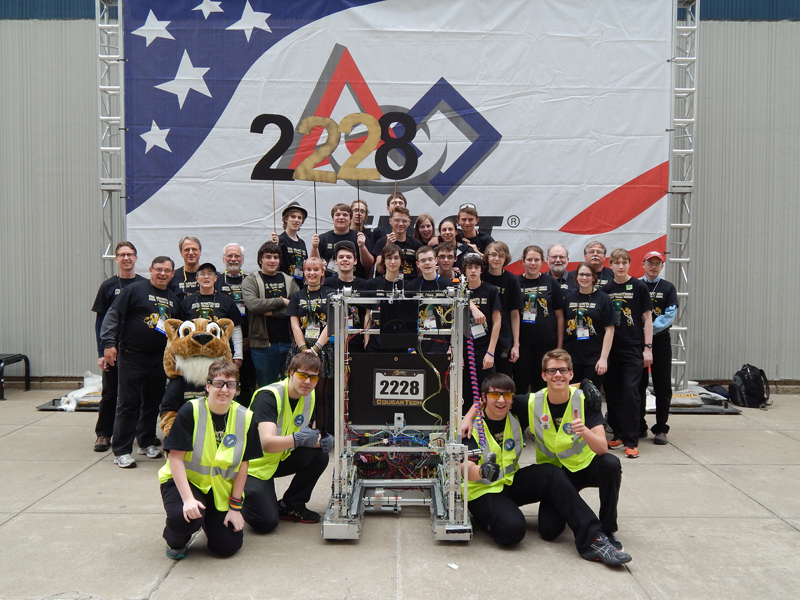 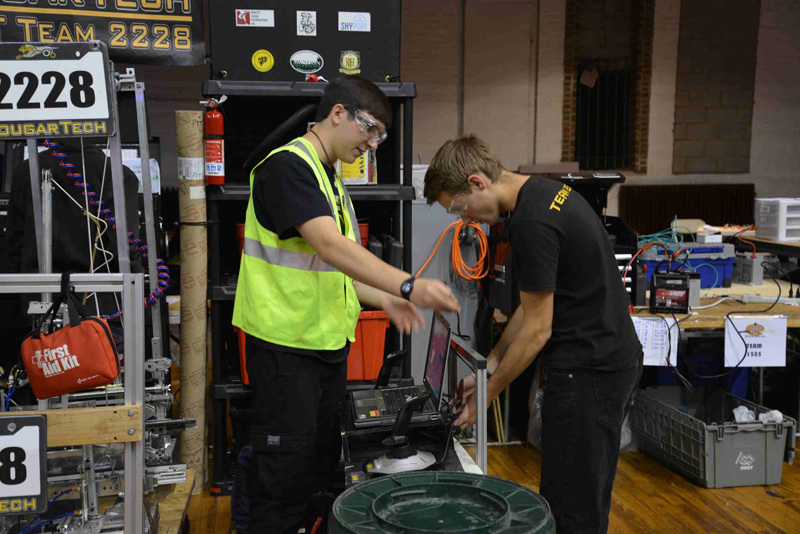 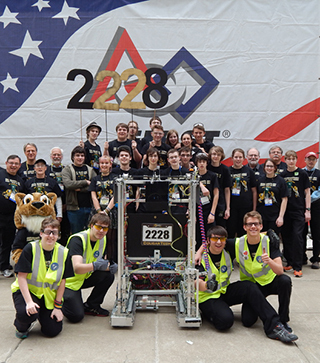 After a successful performance at the Finger Lakes Regional, the team was invited to the worlds at St. Louis. 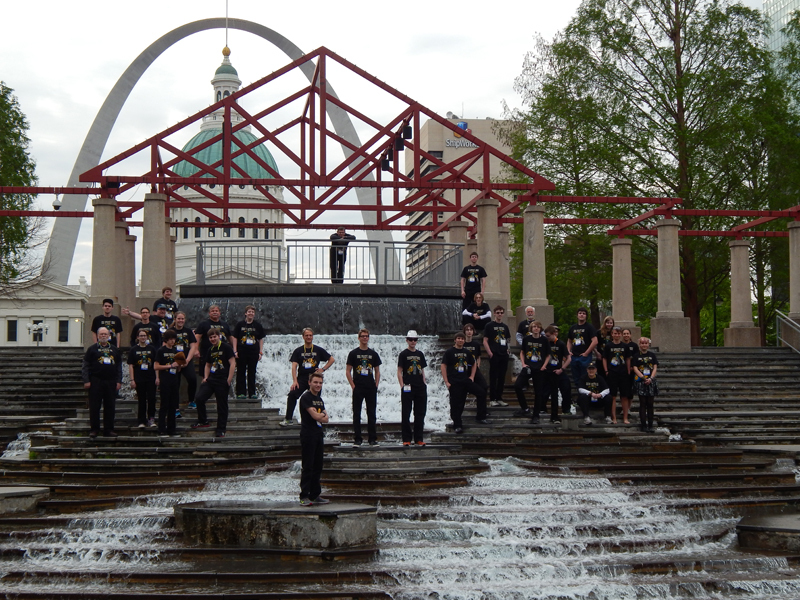 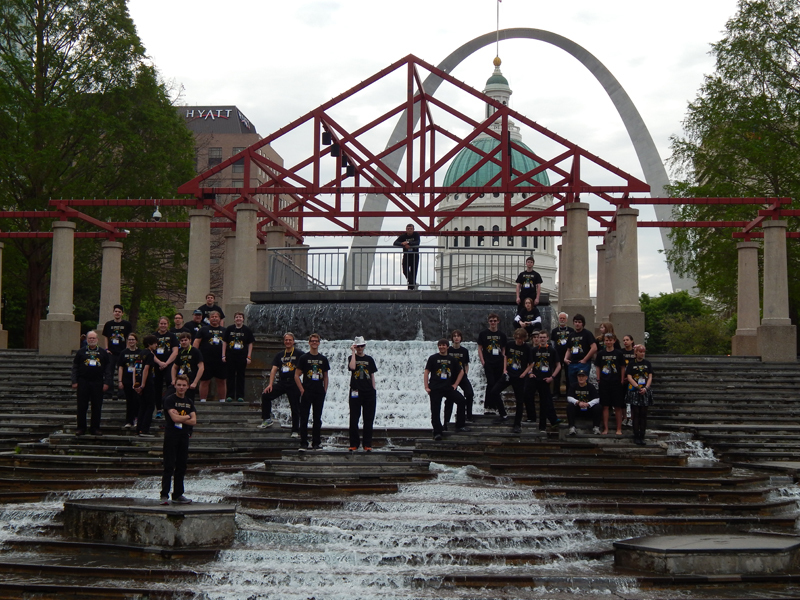 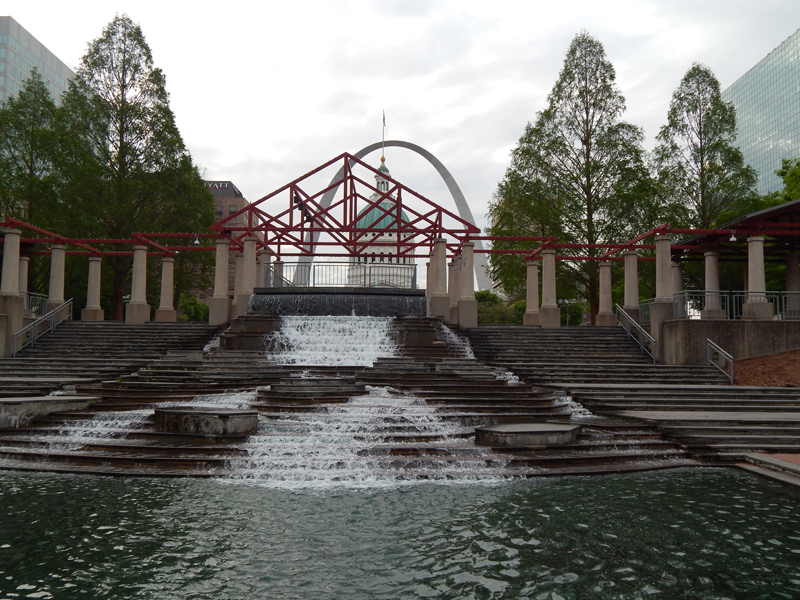 The team had an educational and exciting time at the event while exploring the sights that St. Louis has to offer. 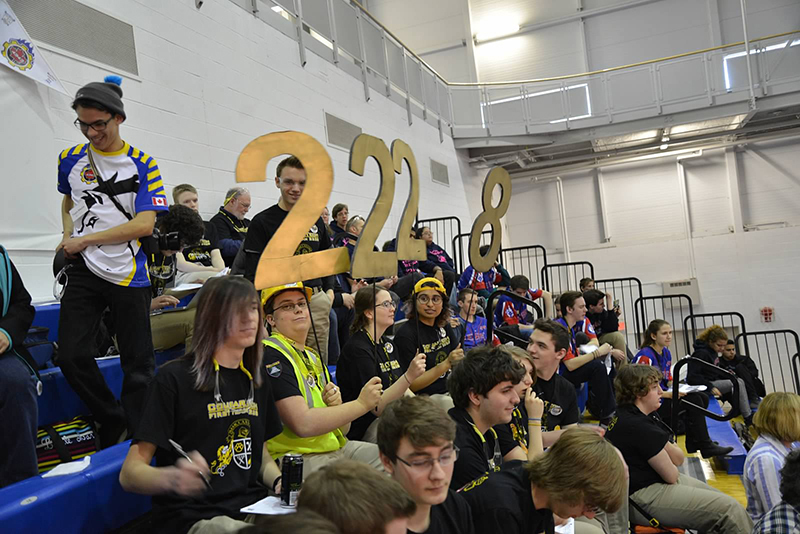 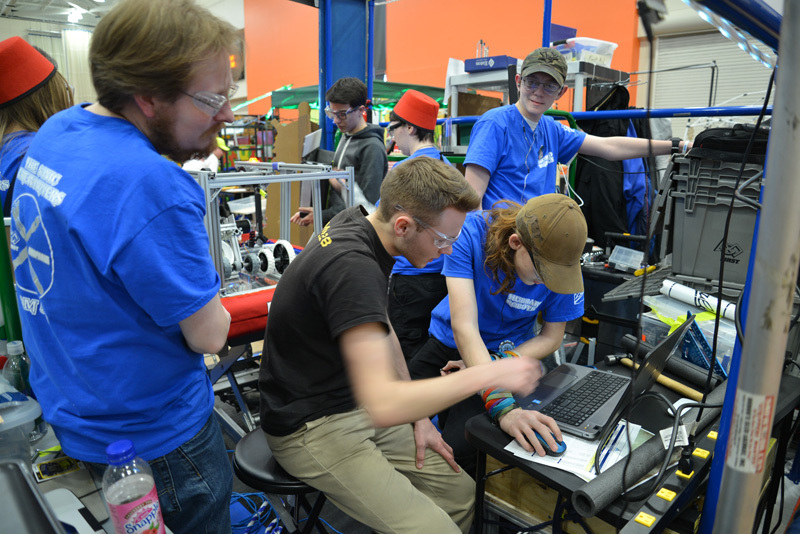 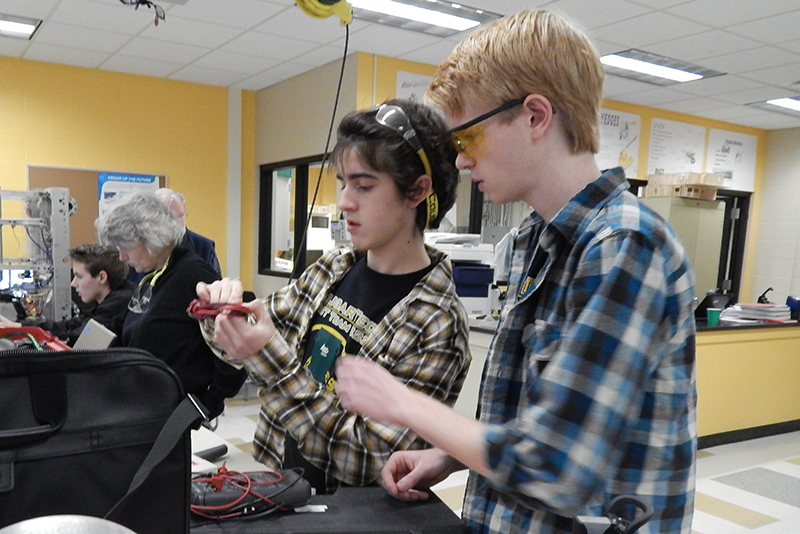 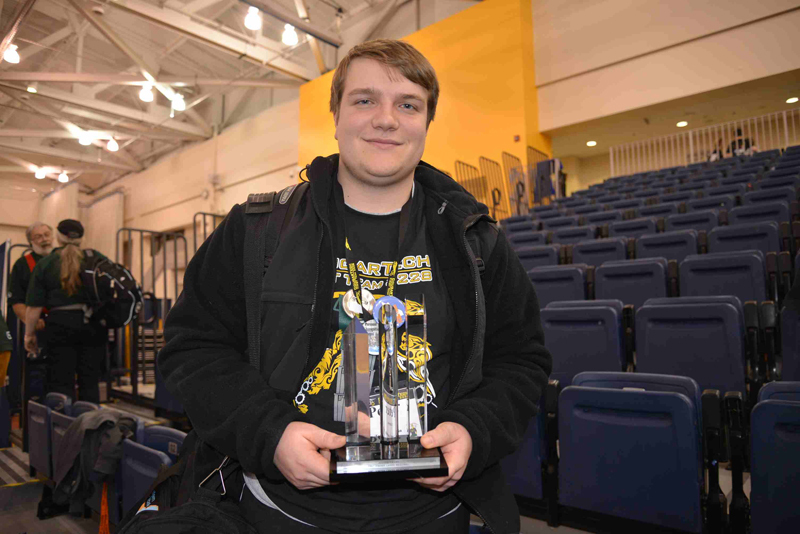 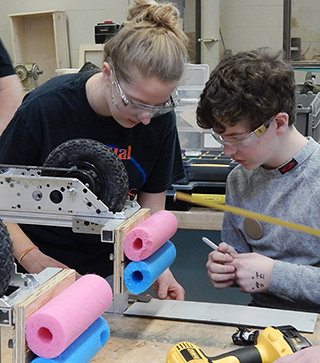 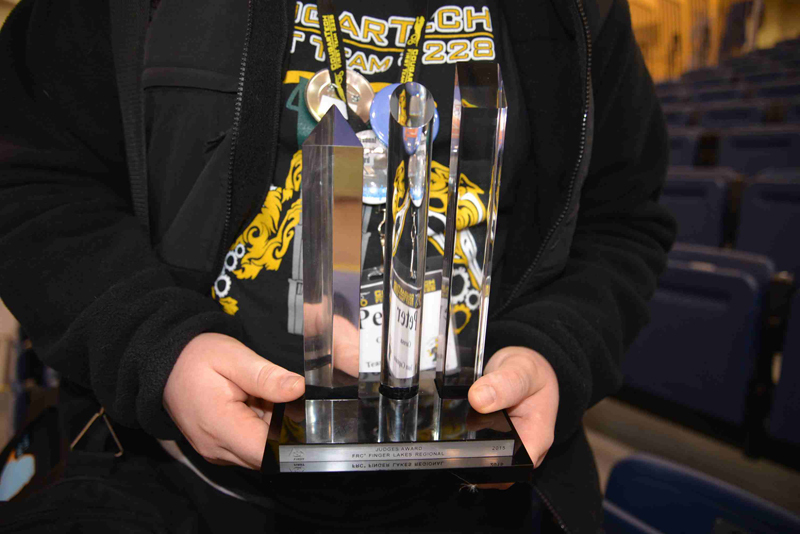 This year's Finger Lakes Regional at RIT was a successful outing for the team, resulting in an outstanding finish, a new Judges Award, and a place at the St. Louis Championships. 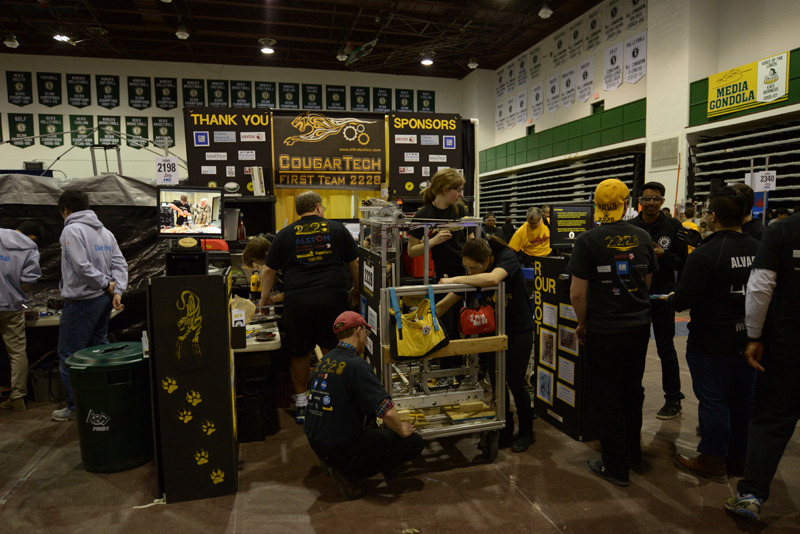 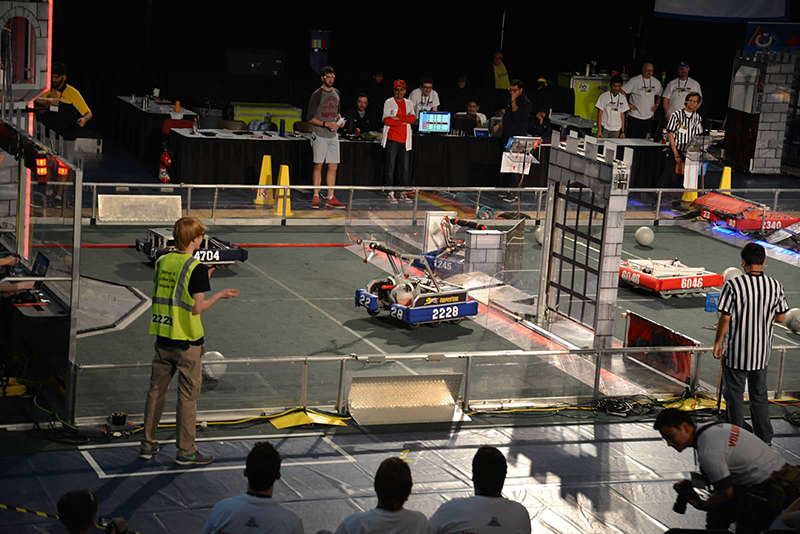 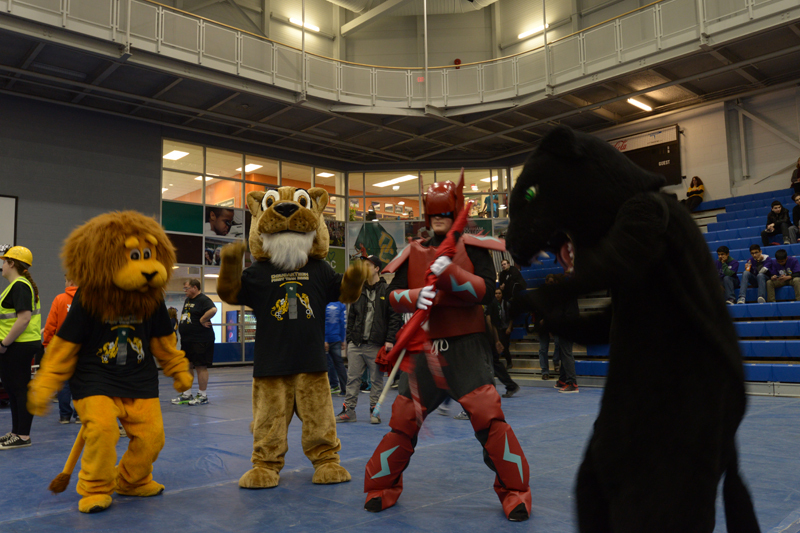 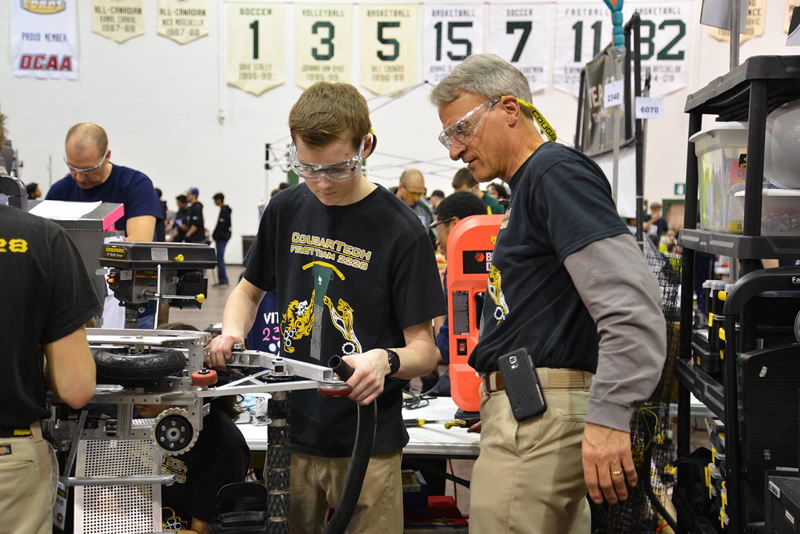 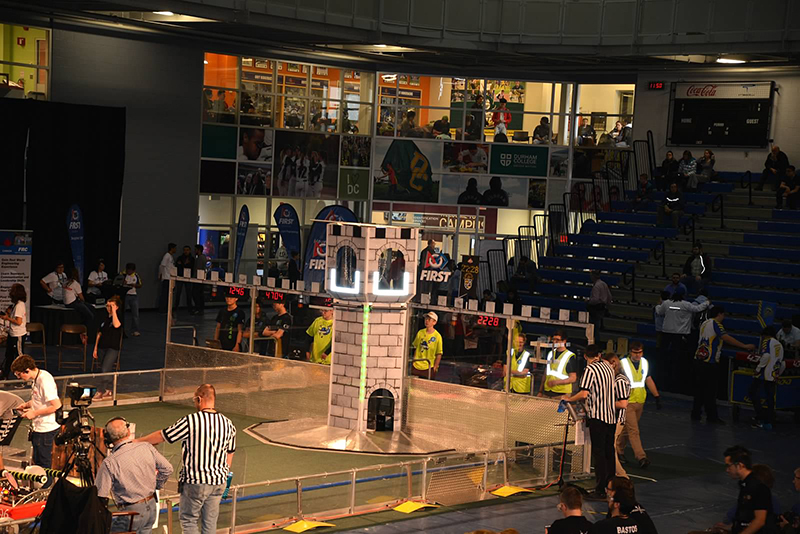 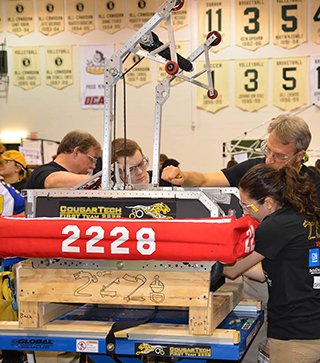 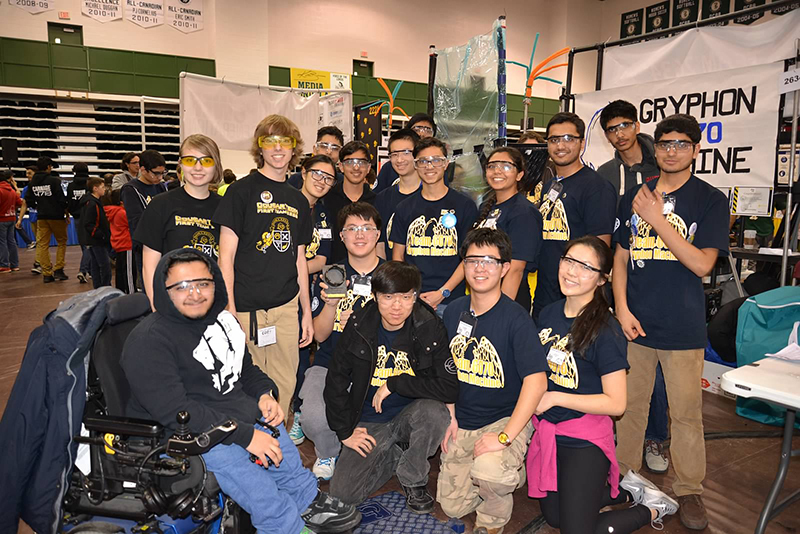 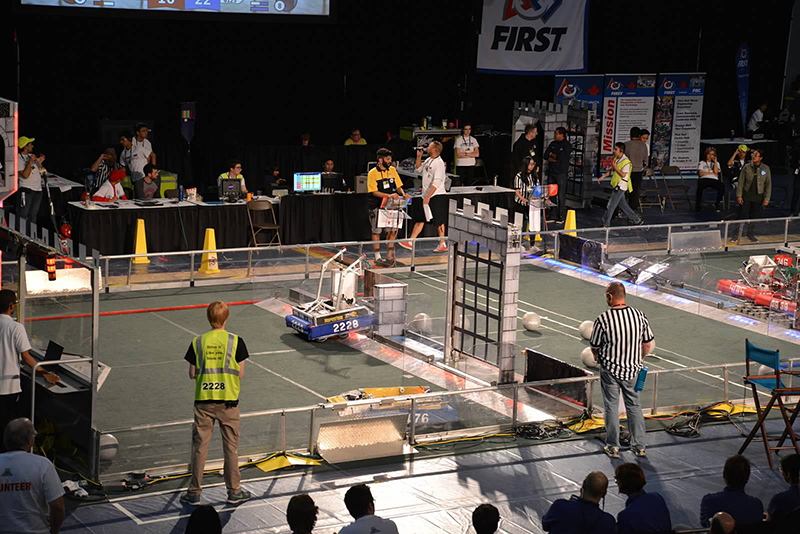 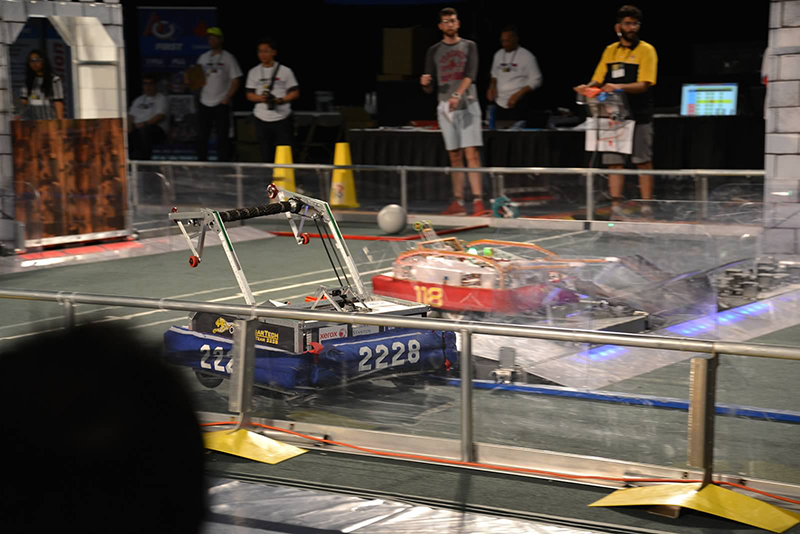 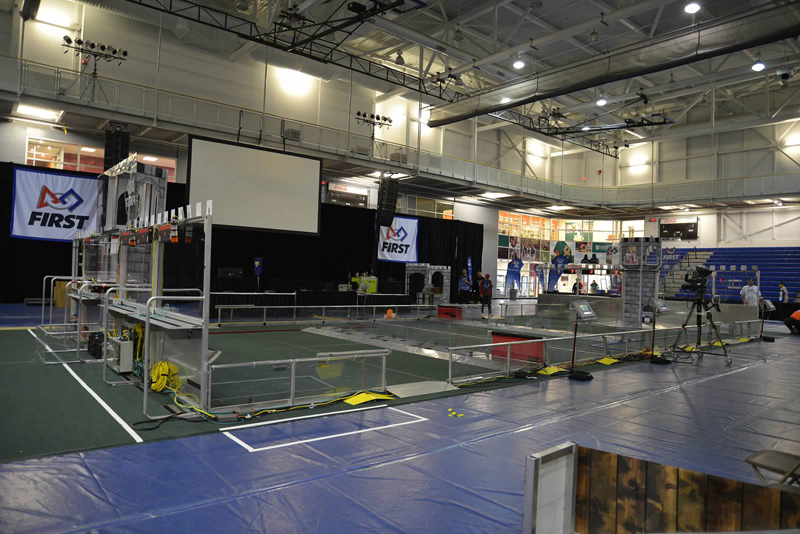 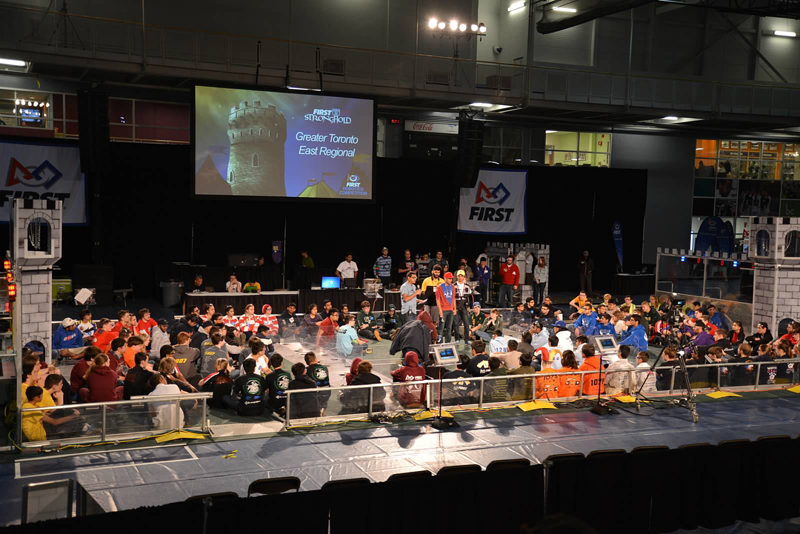 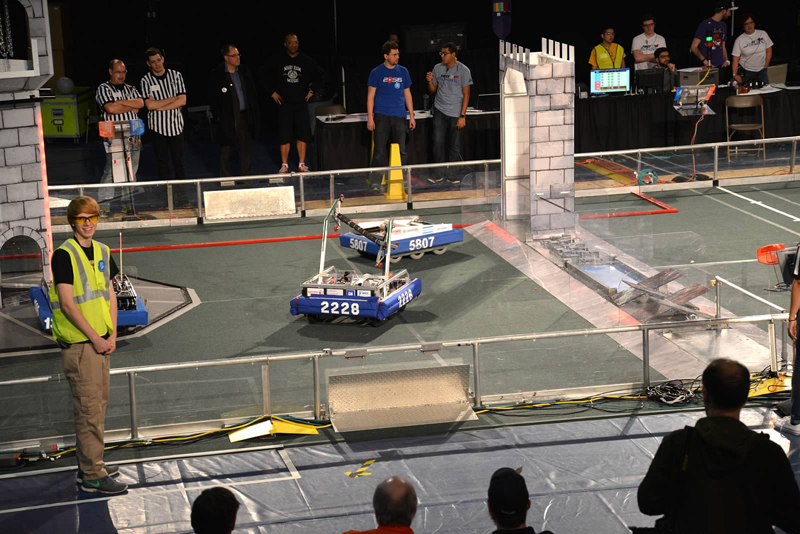 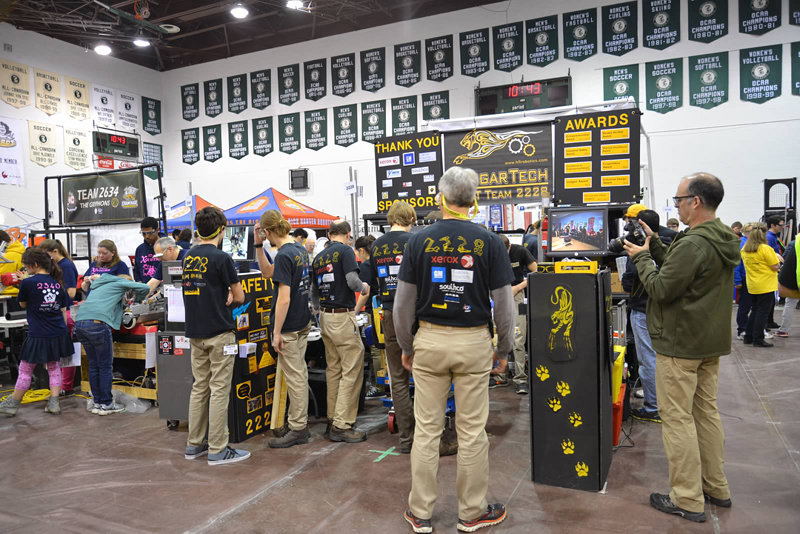 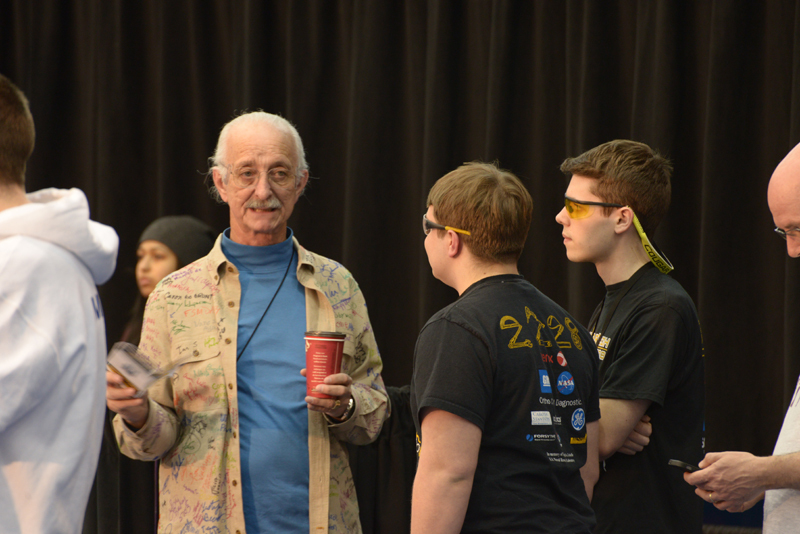 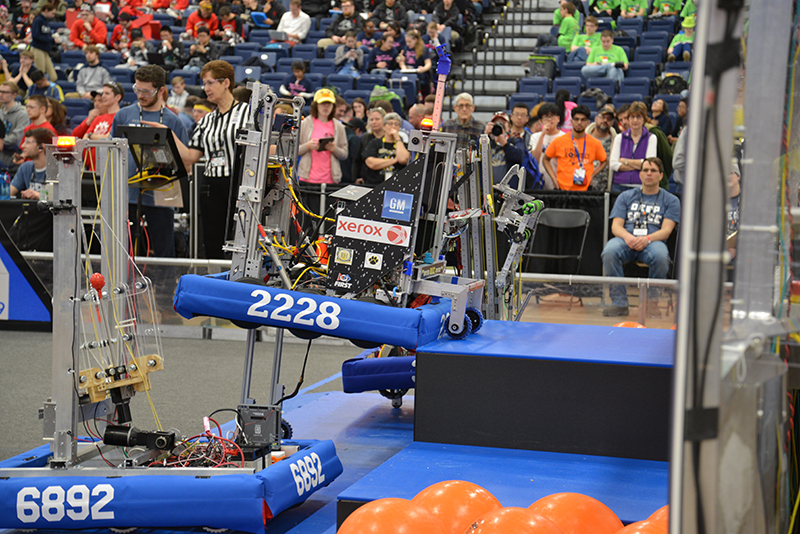 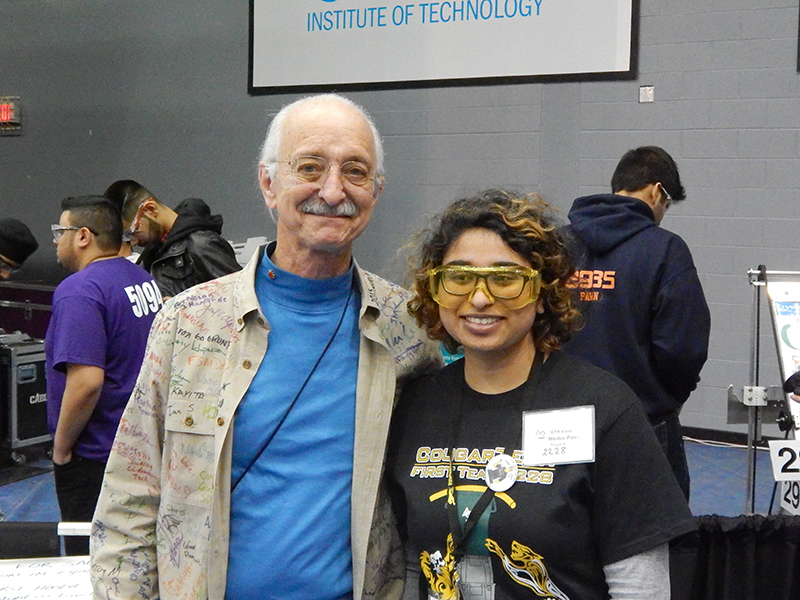 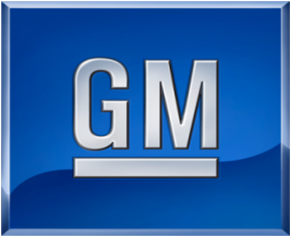 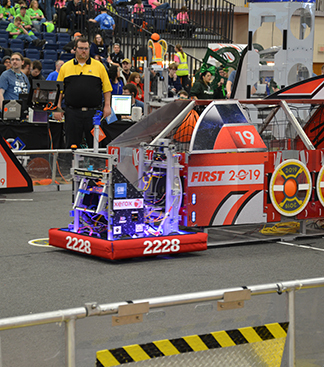 This year's Toronto East Regional in Toronto, Canada was an exciting three days for everyone which ended in a third place finish out of 47 teams. 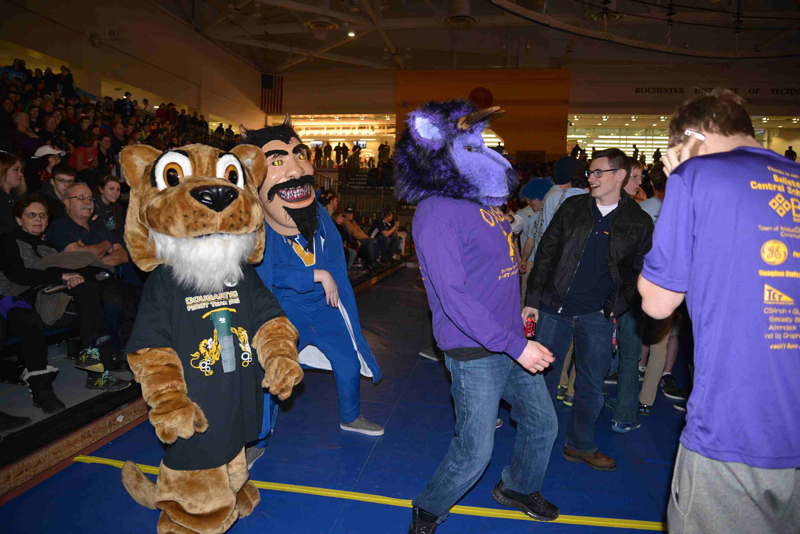 The most important six weeks of the year, all displayed in one photo gallery for your viewing pleasure.